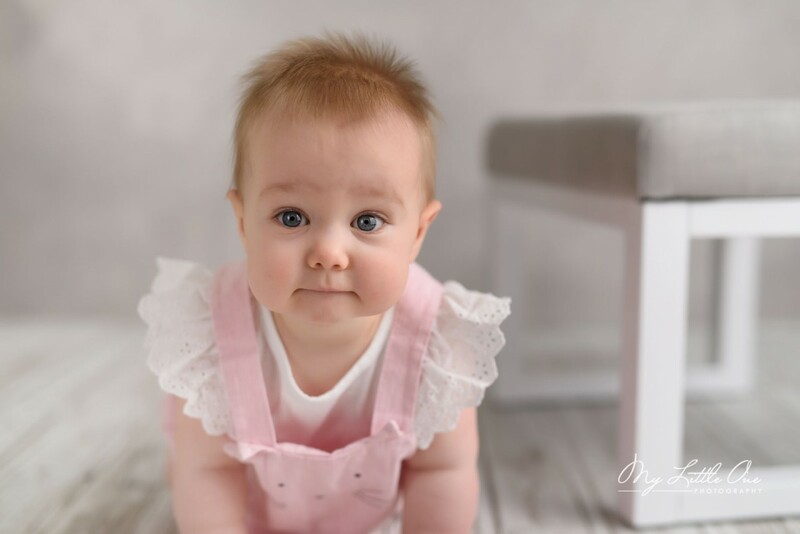 When your baby is 3-5 months old, new problems keep coming out. 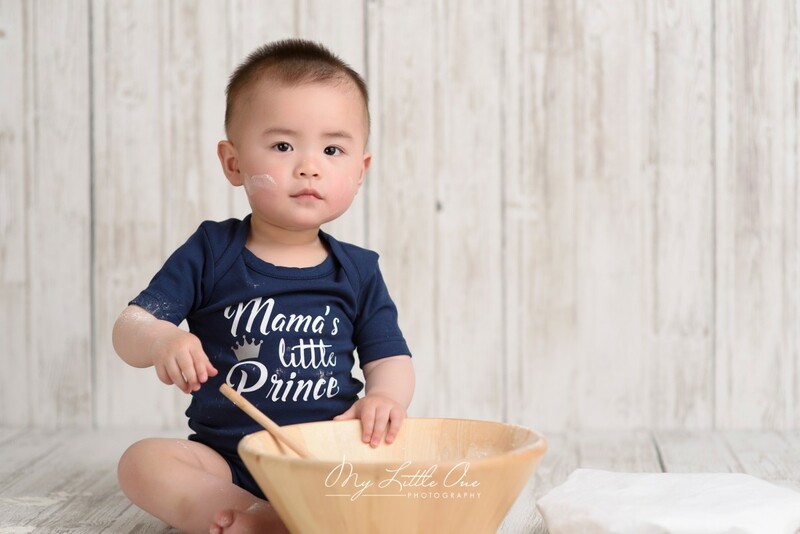 How could I help my infant when he/she is vomiting milk? 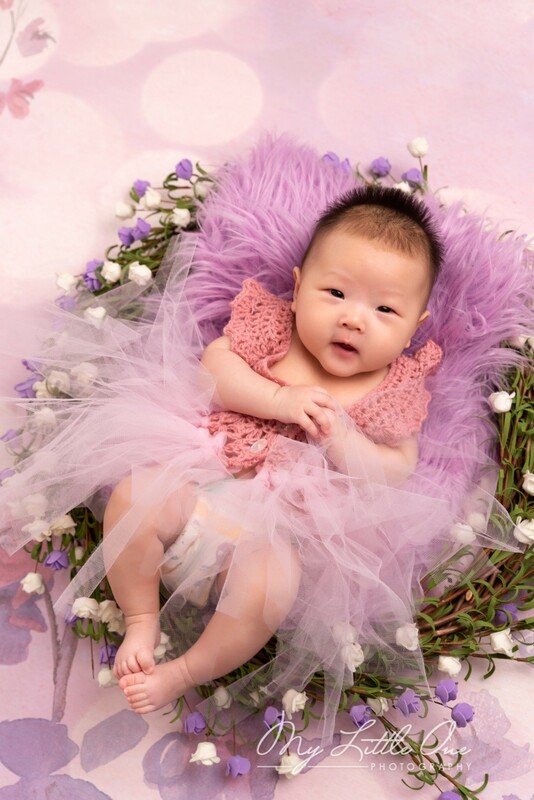 Why he/she has a bit rash on his/her face? 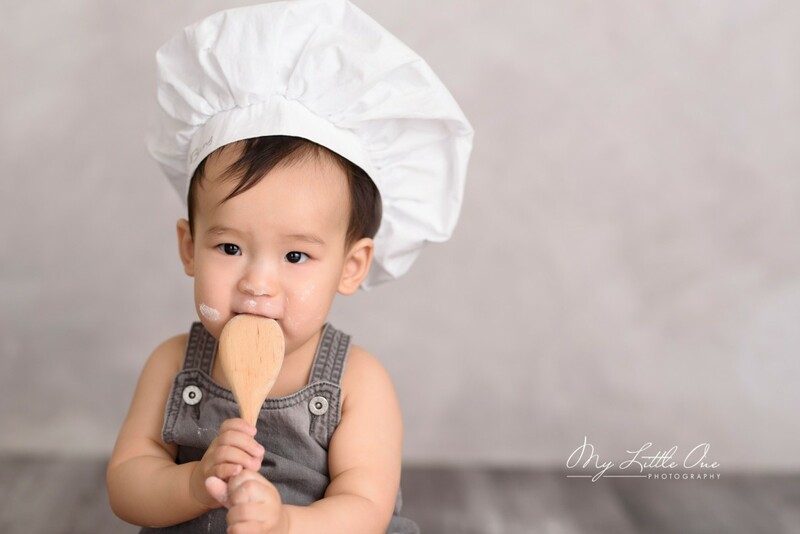 When should I add solid food to my newborn? 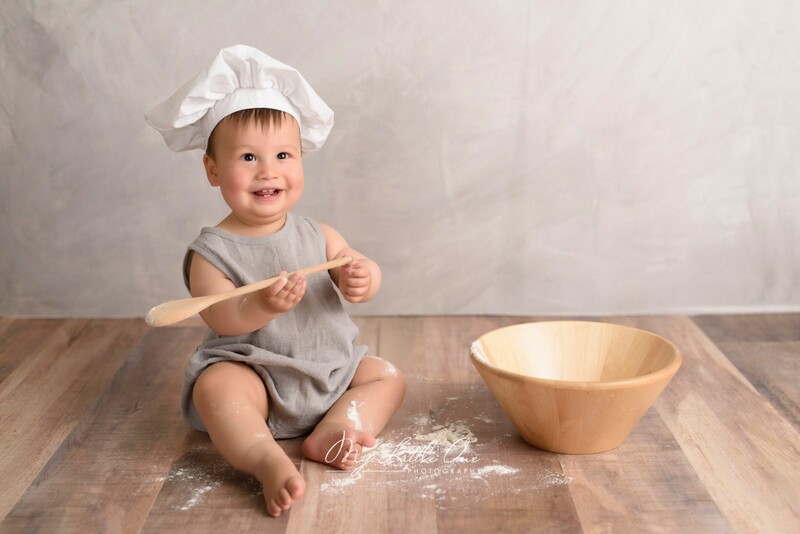 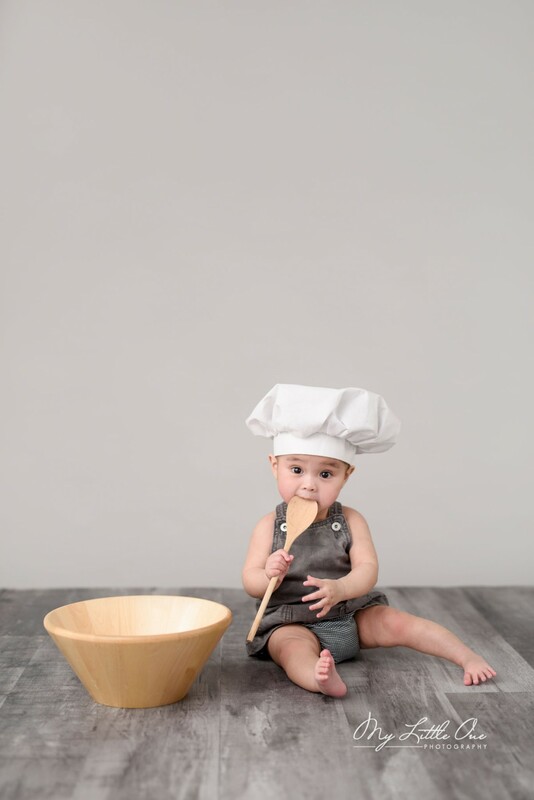 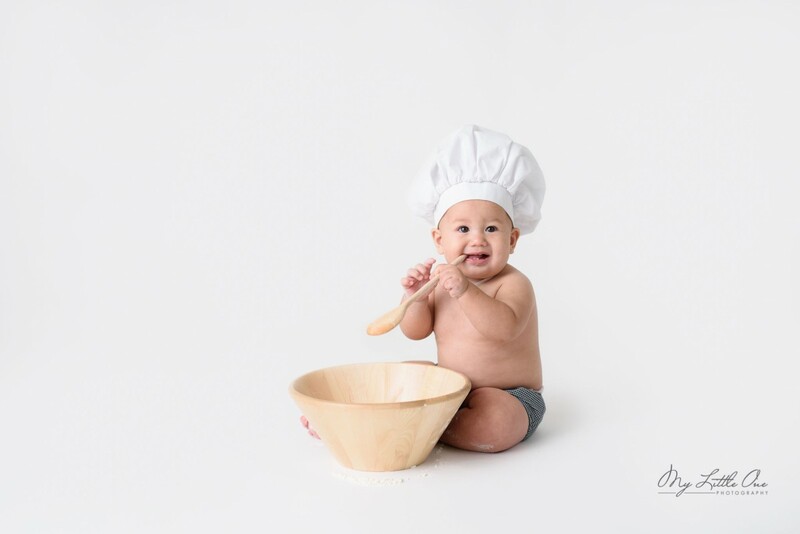 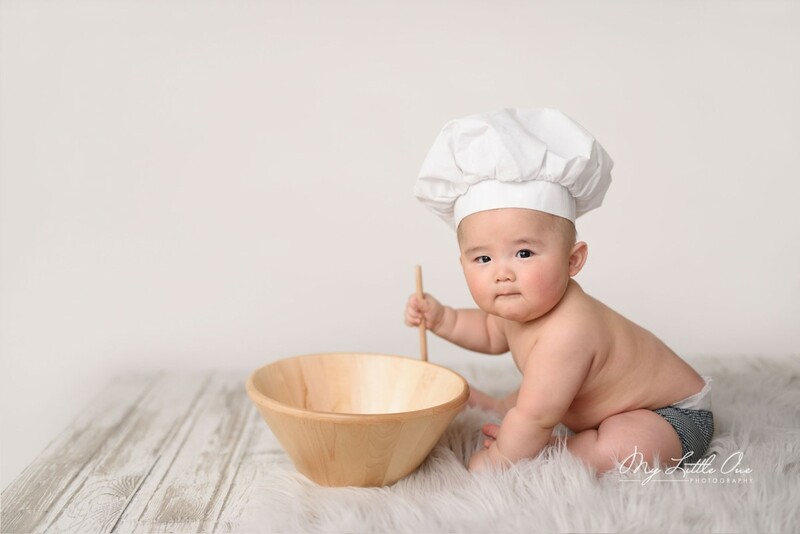 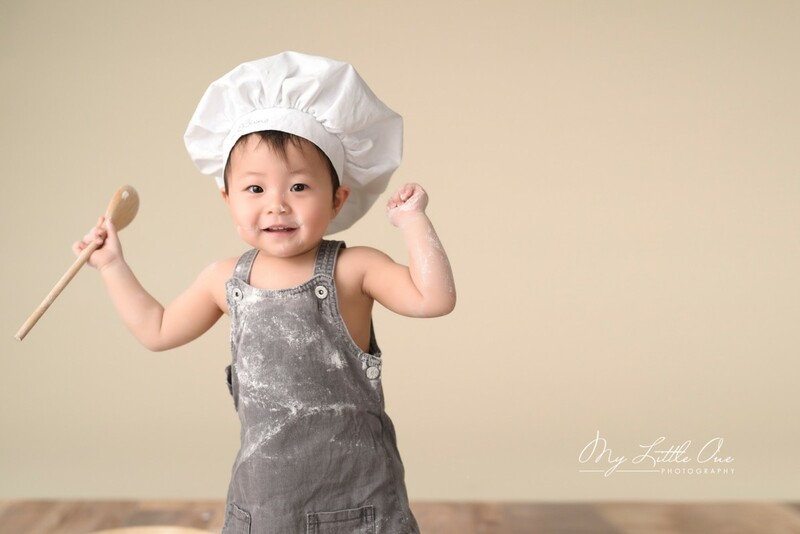 What kind of food should I give my baby as the first try? 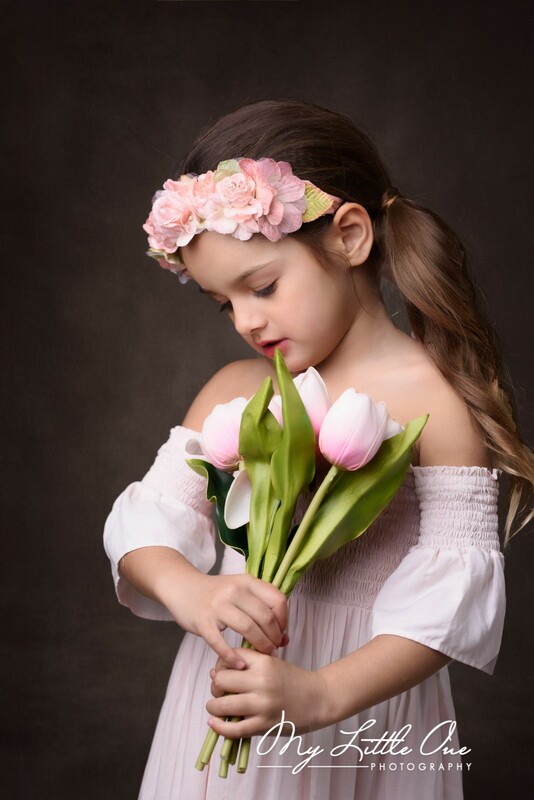 These doubts drive your anxiety. 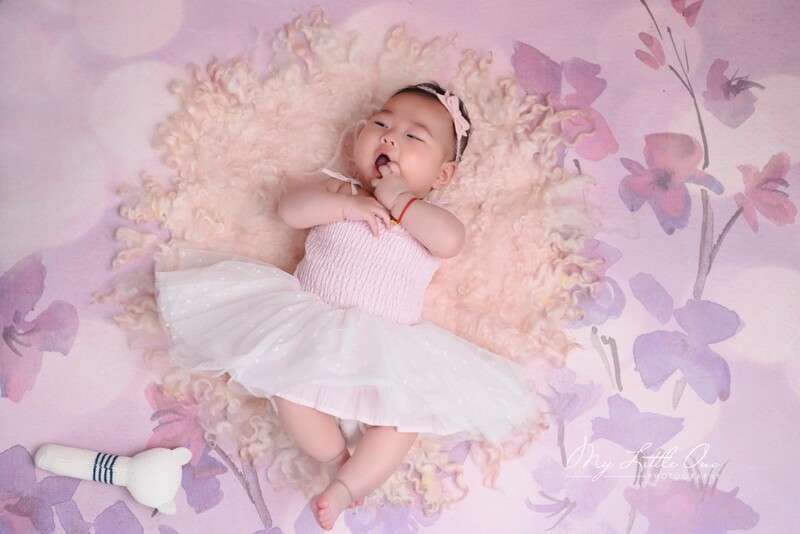 However, there is still some good news happened when your newborn is three months old. 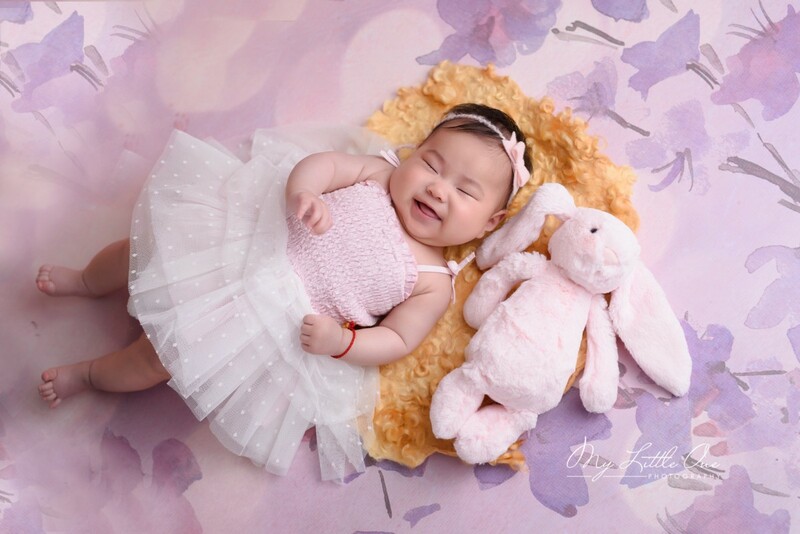 At three months, your baby is now smiling! 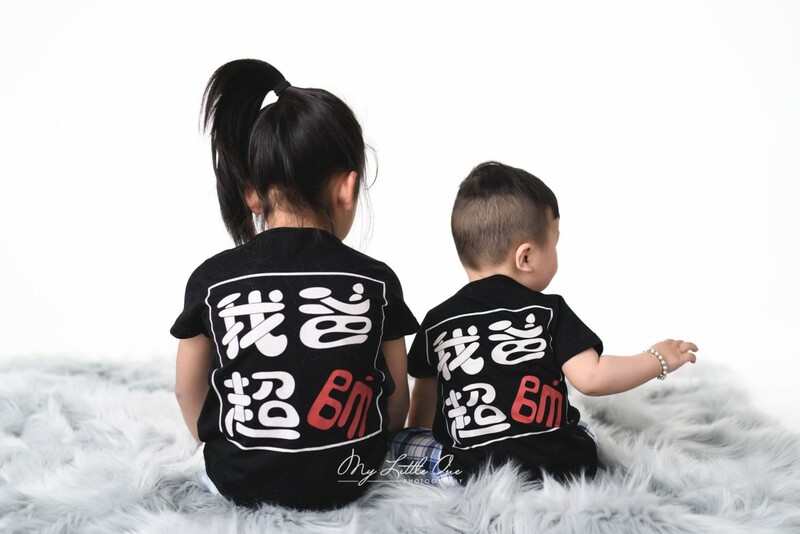 They know who you are! 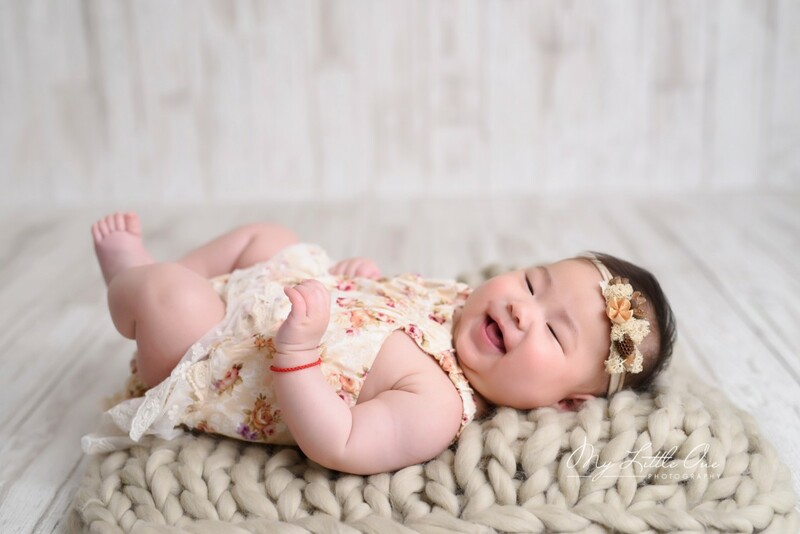 Babies at this age will smile and interact a lot. 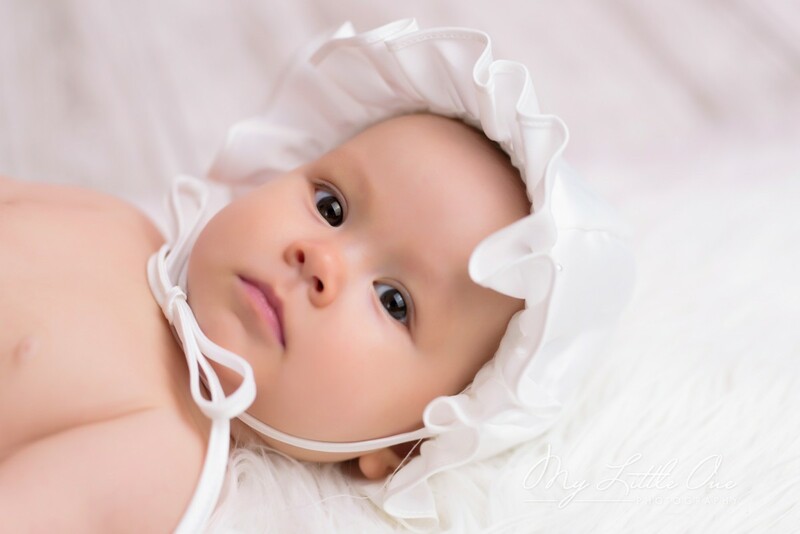 These behaviours are something that they did not do as a newborn. 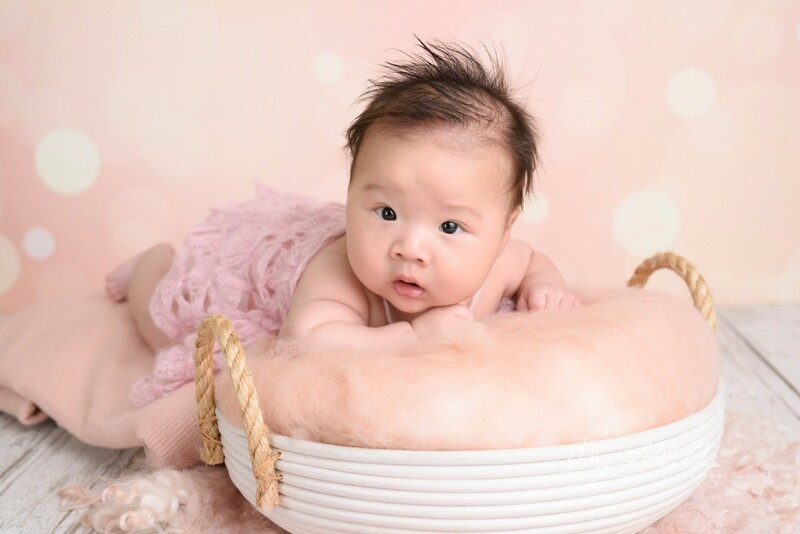 Some babies will also be able to have some tummy time. 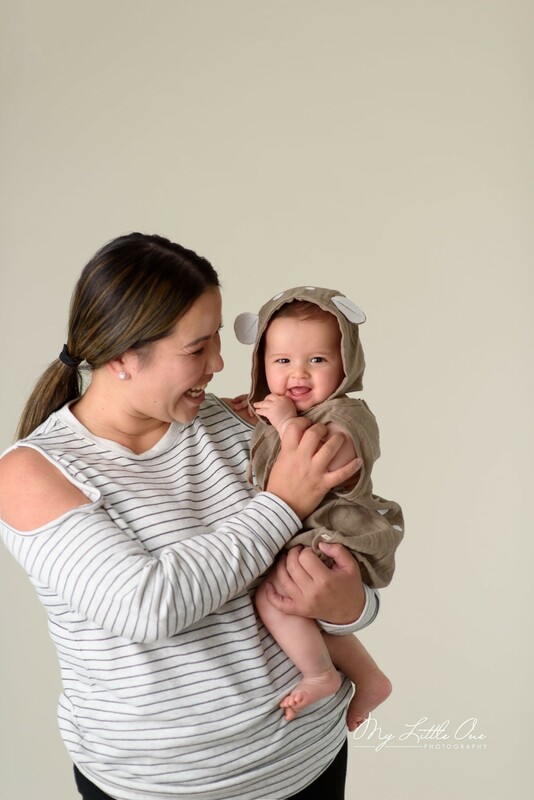 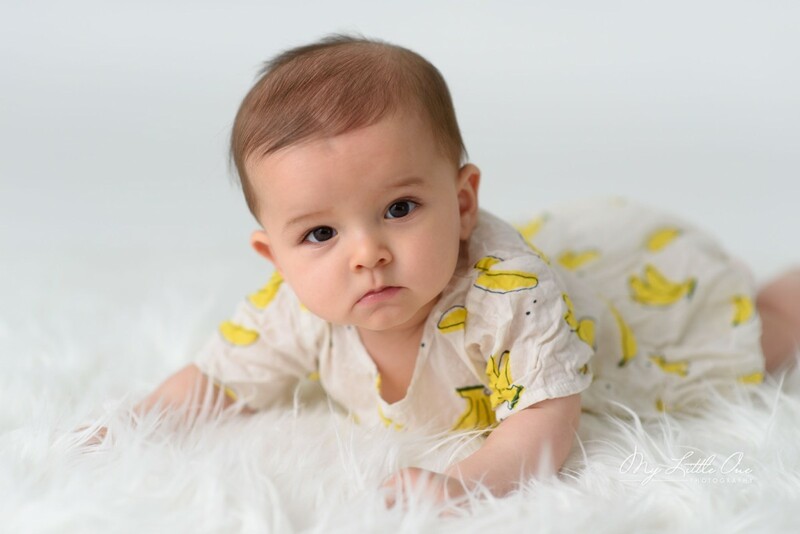 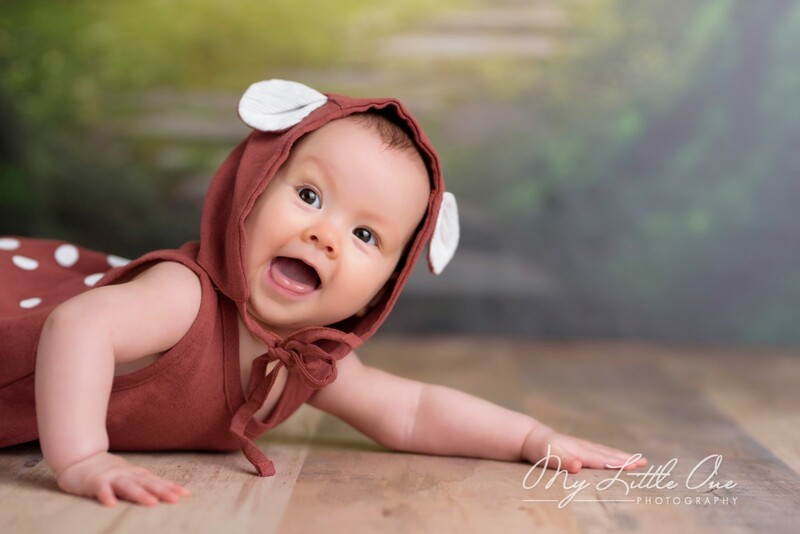 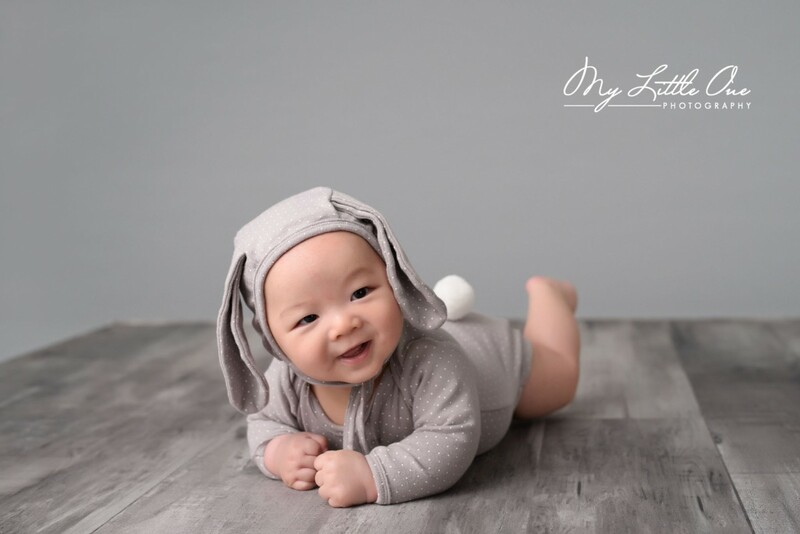 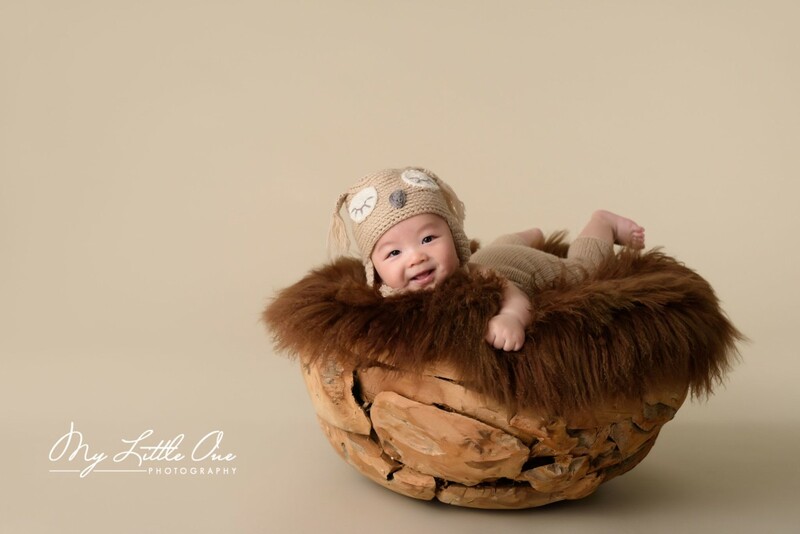 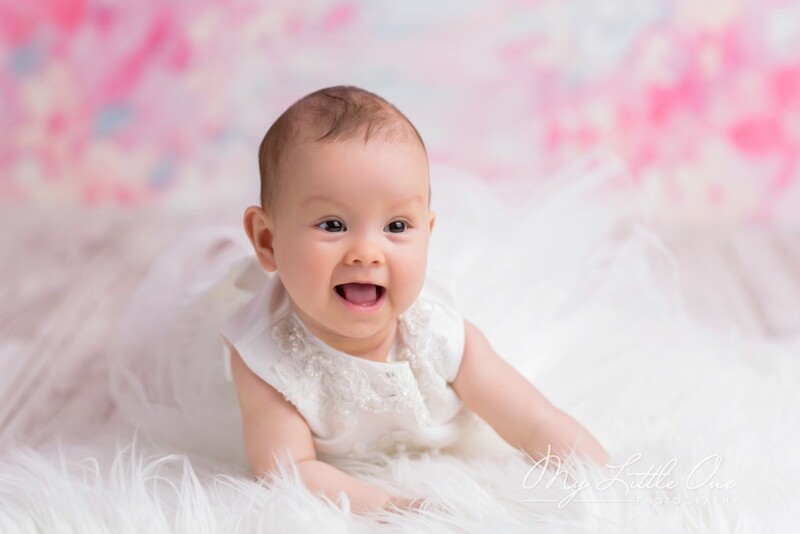 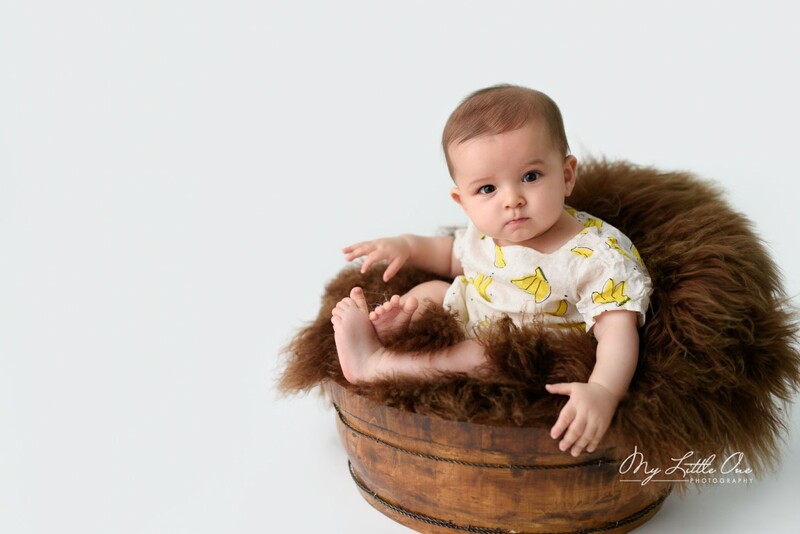 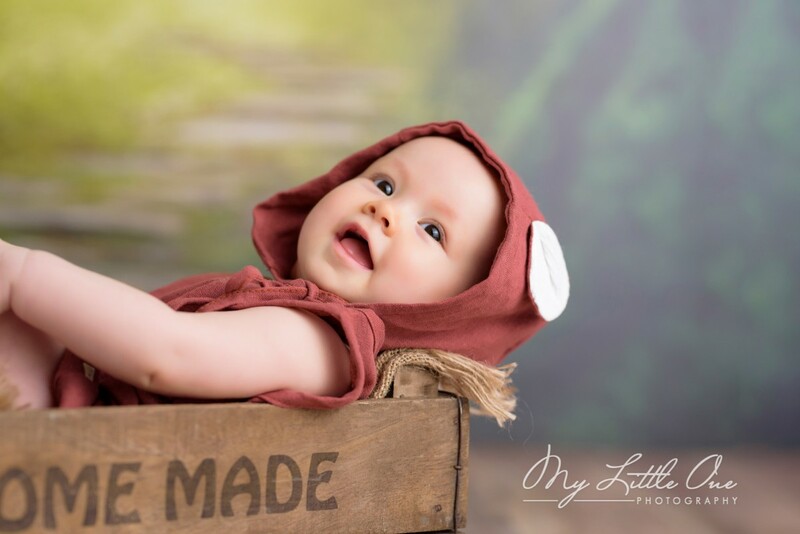 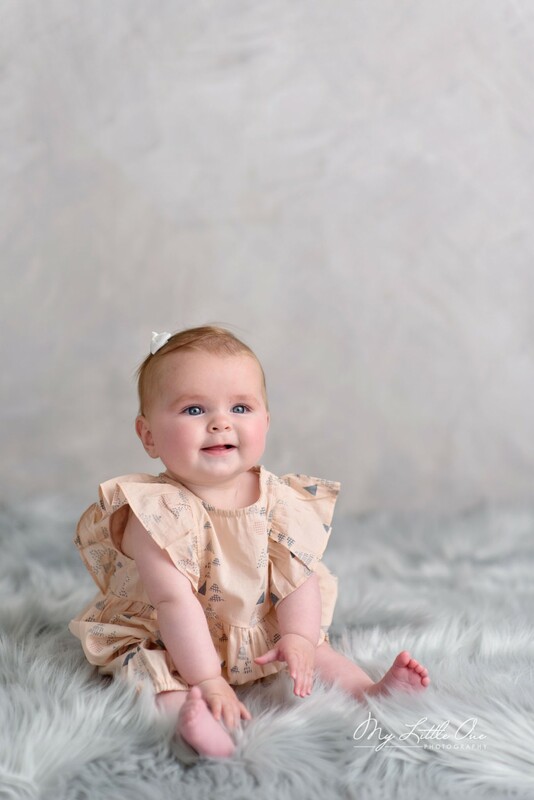 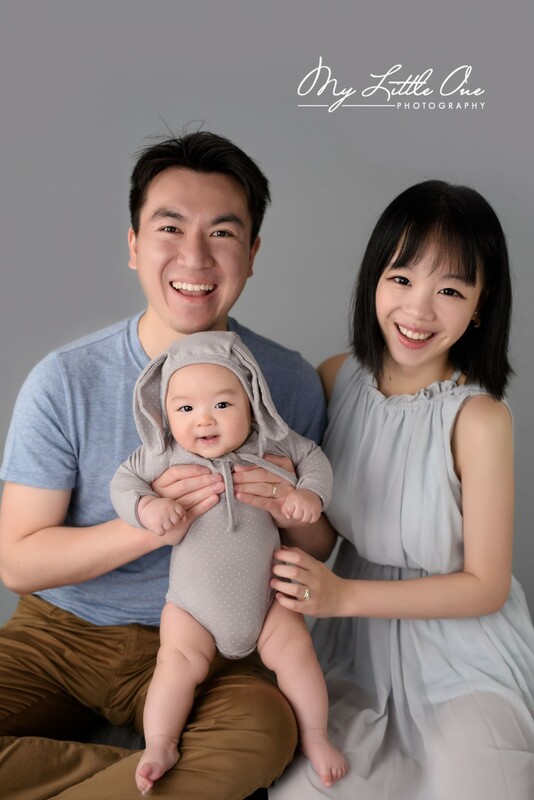 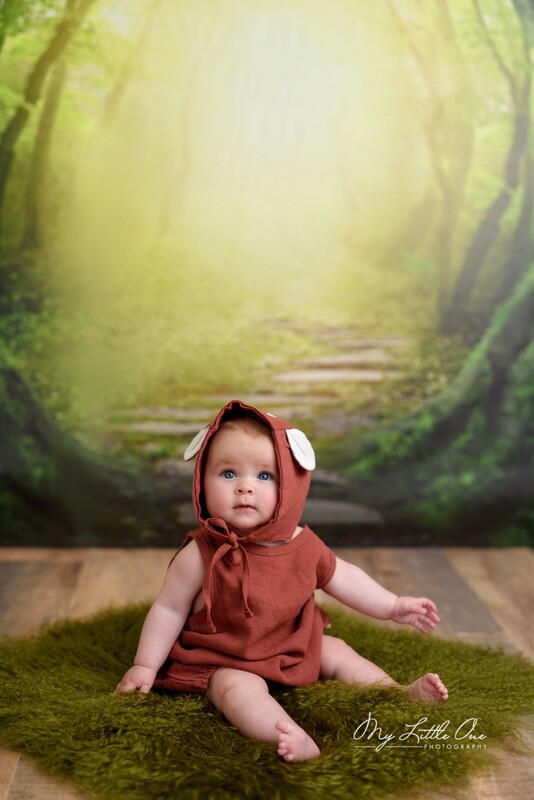 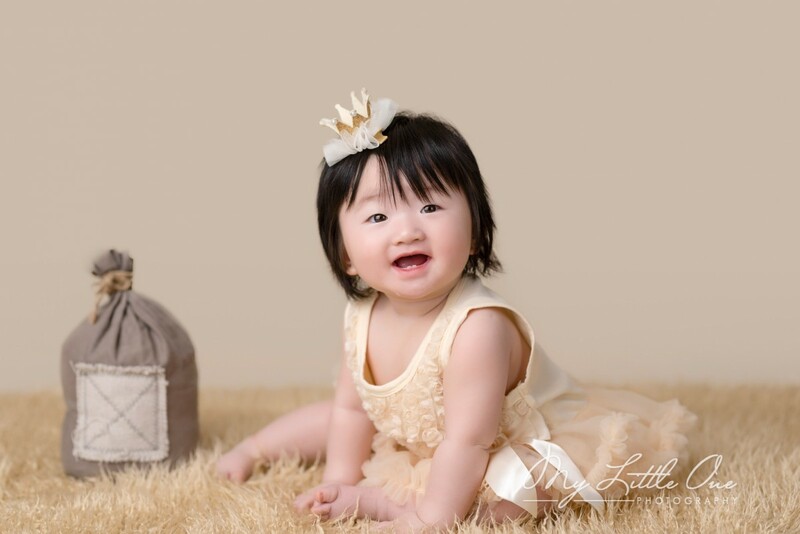 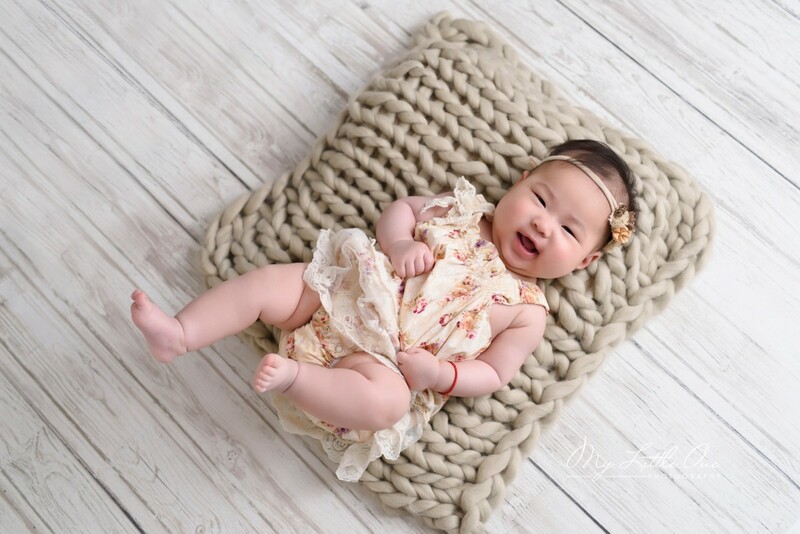 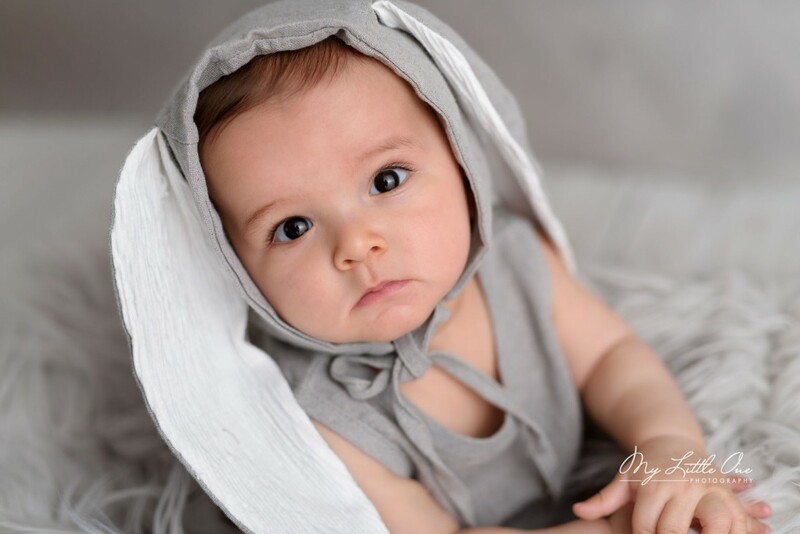 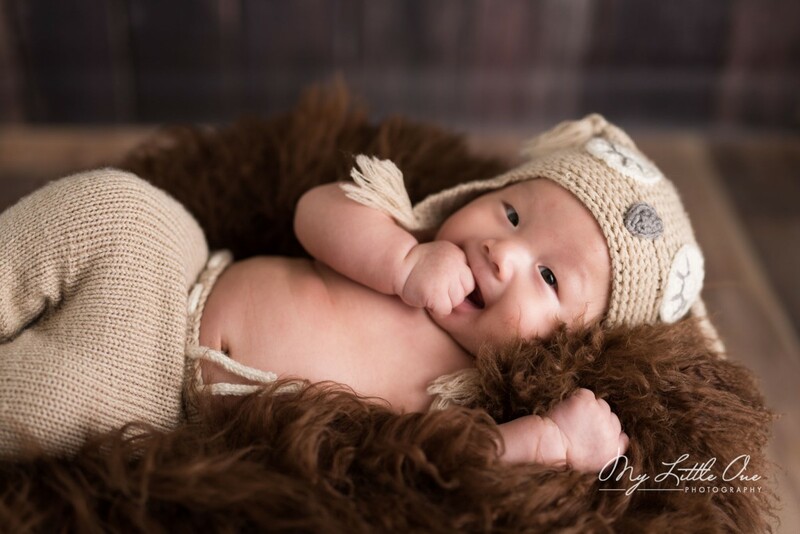 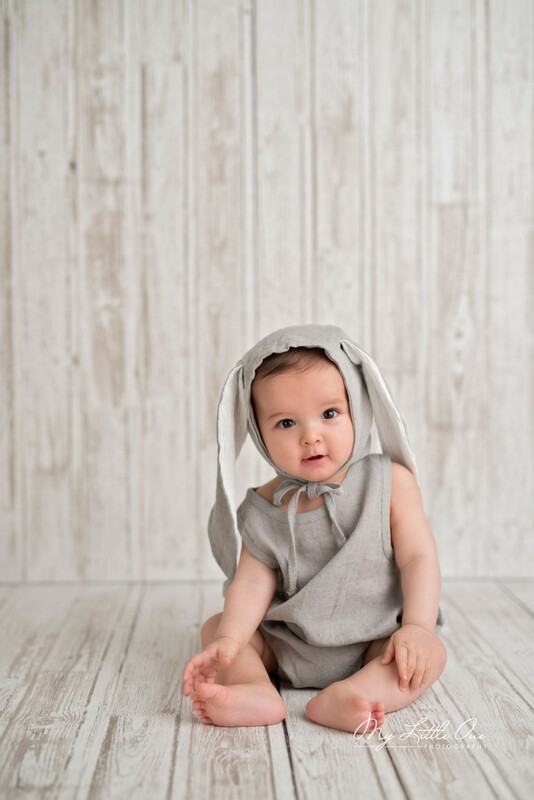 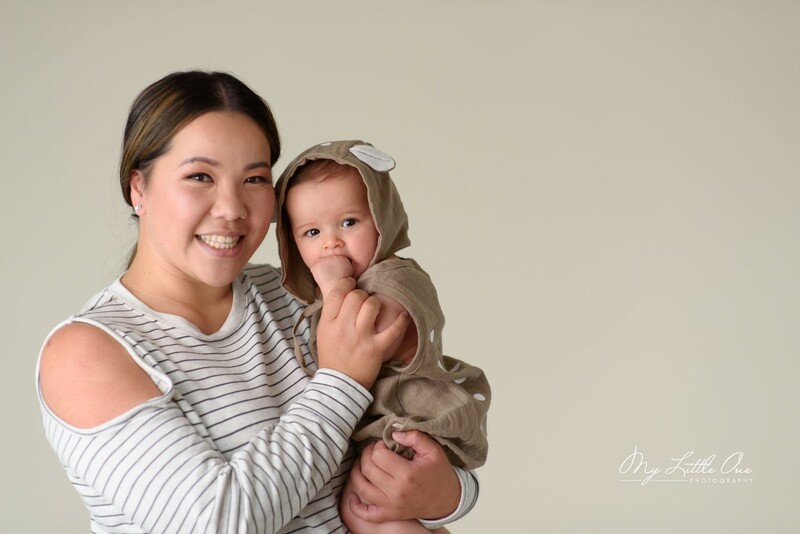 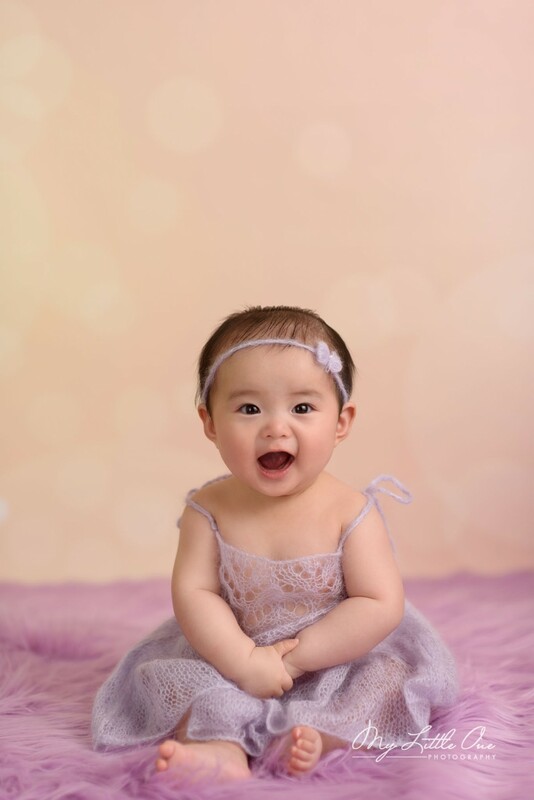 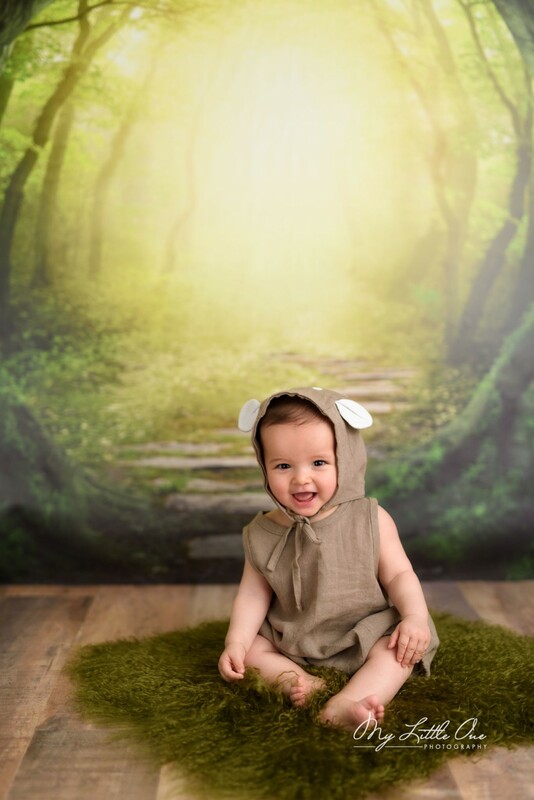 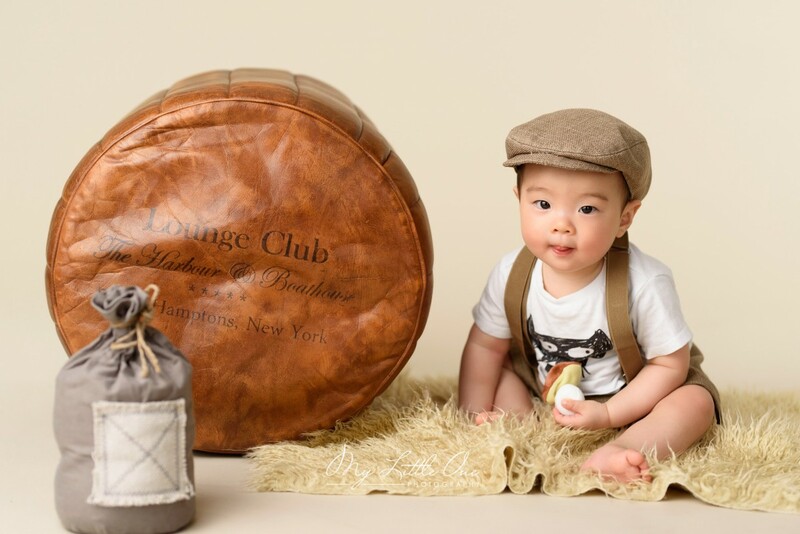 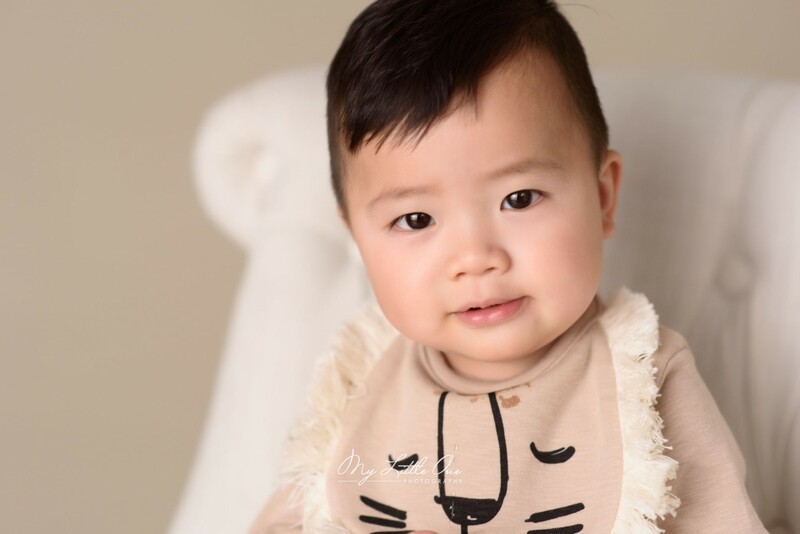 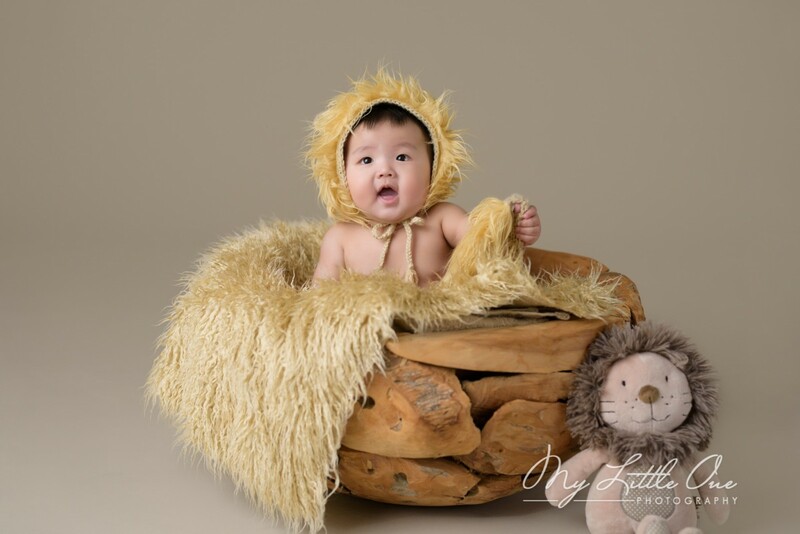 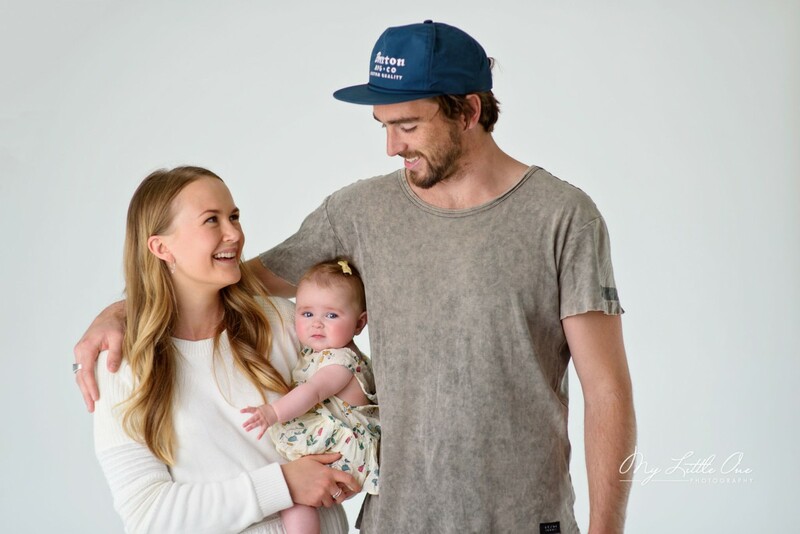 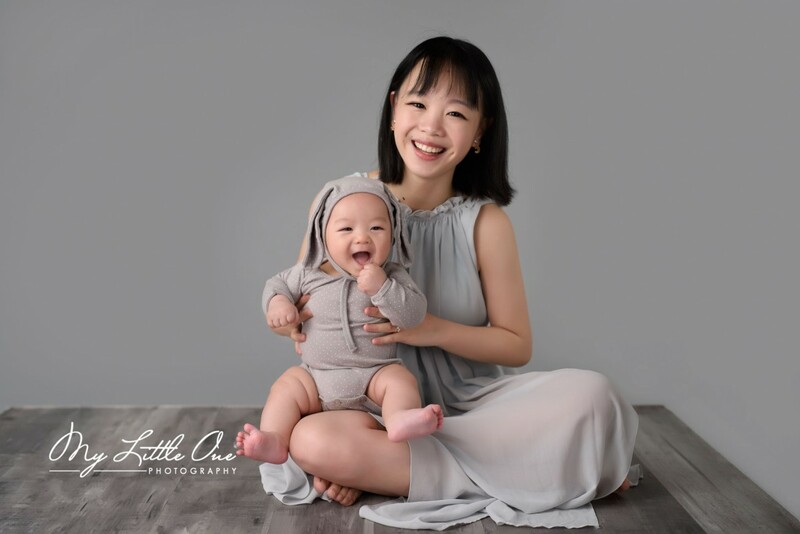 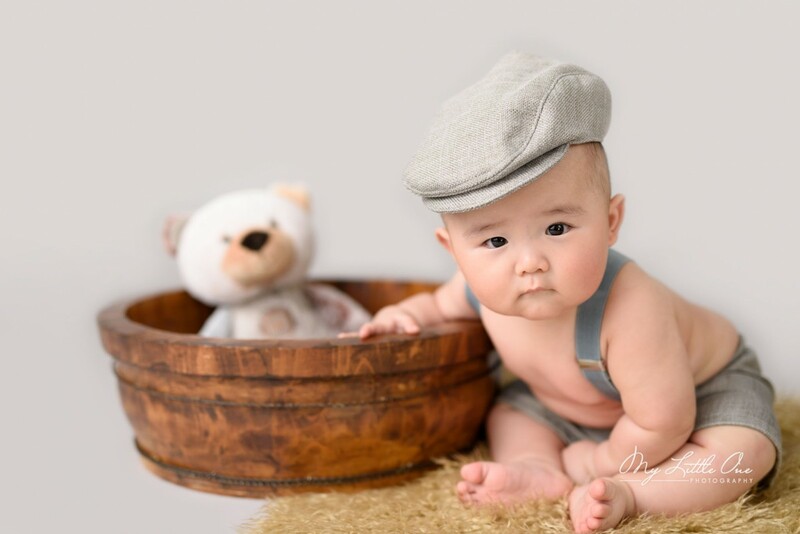 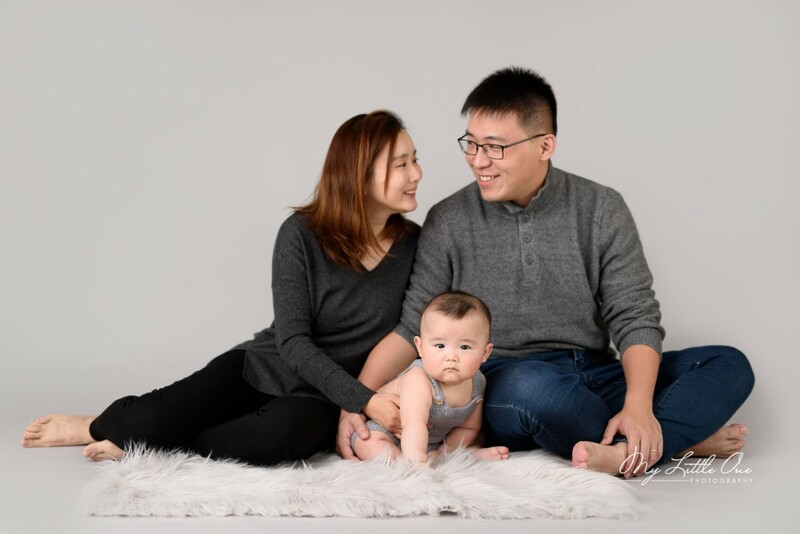 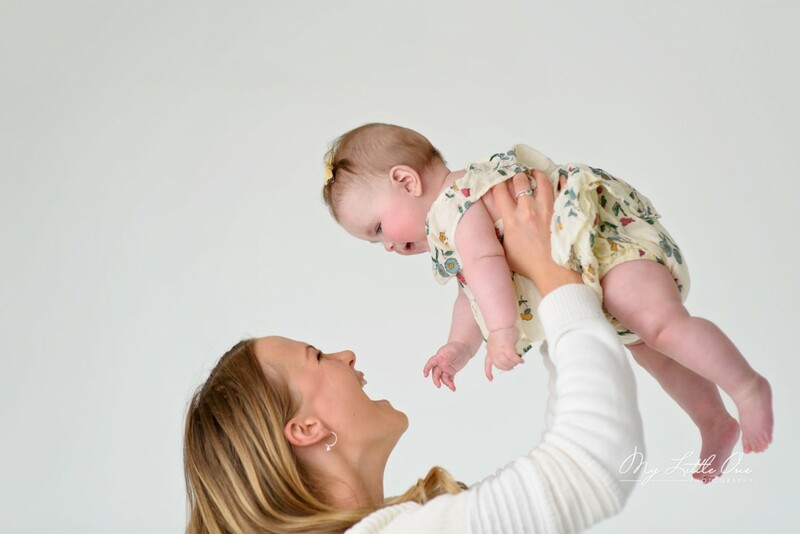 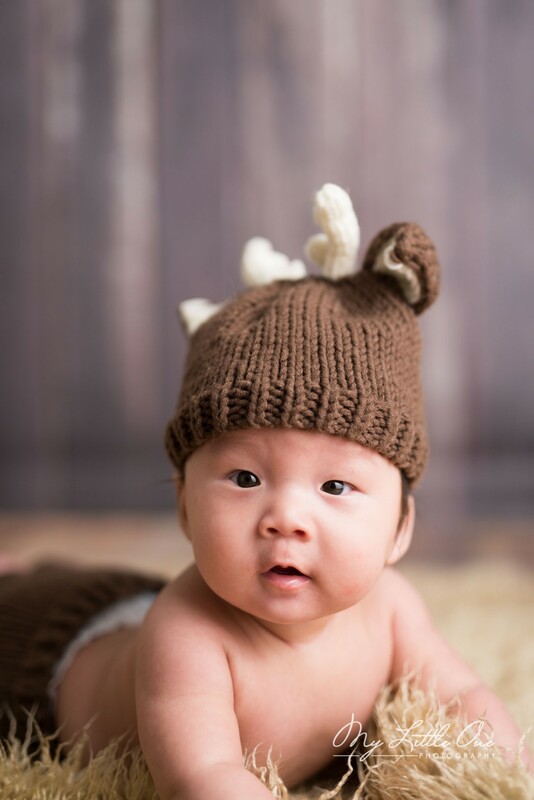 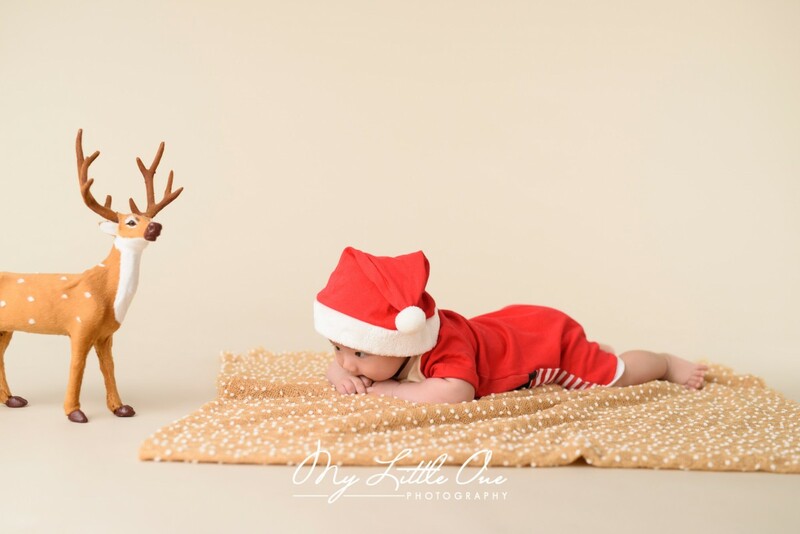 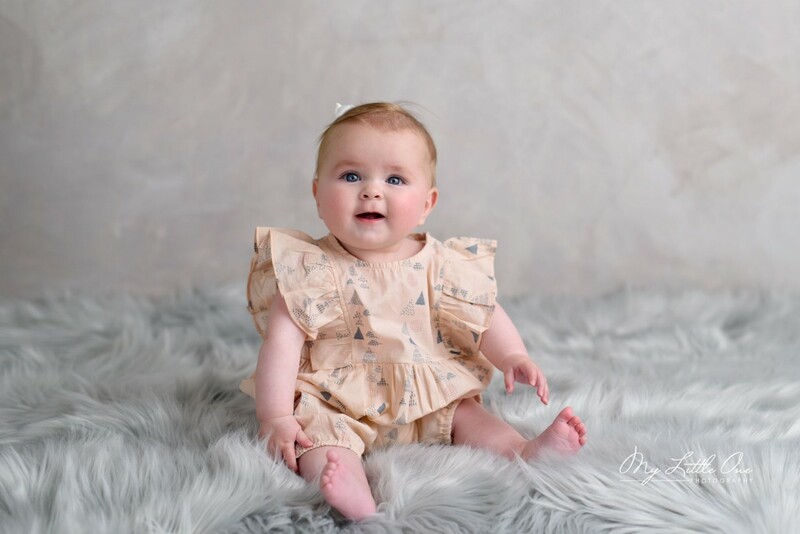 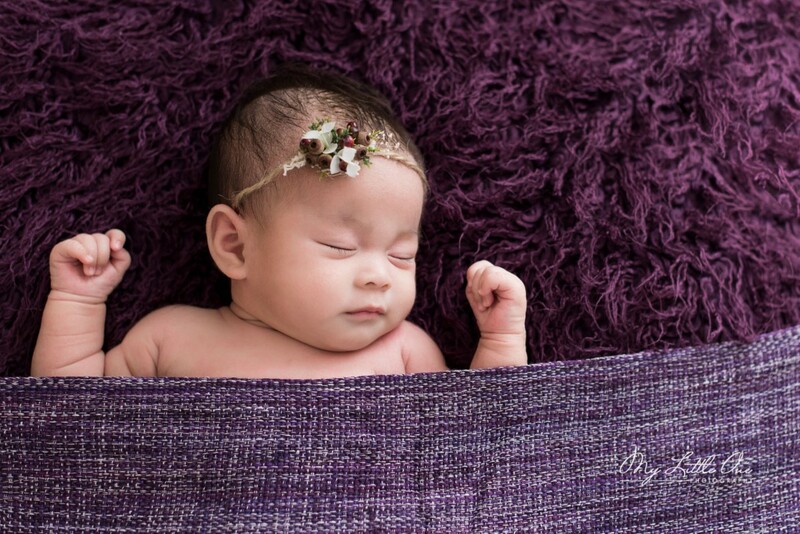 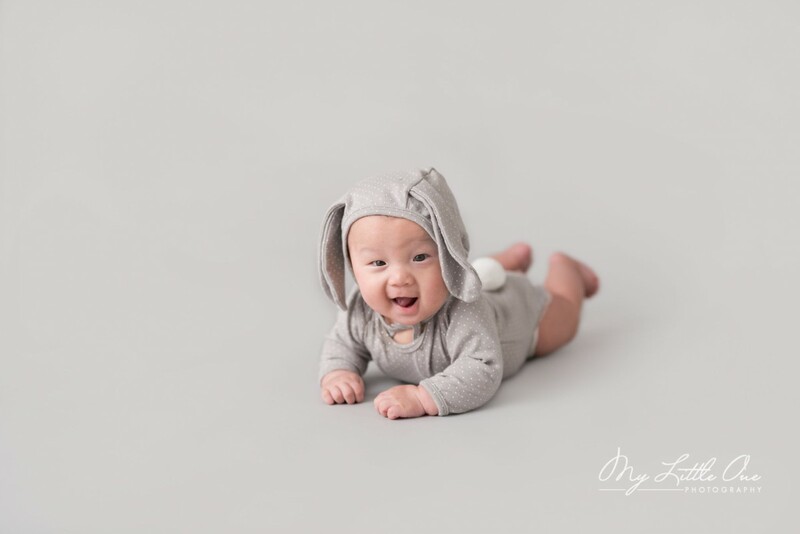 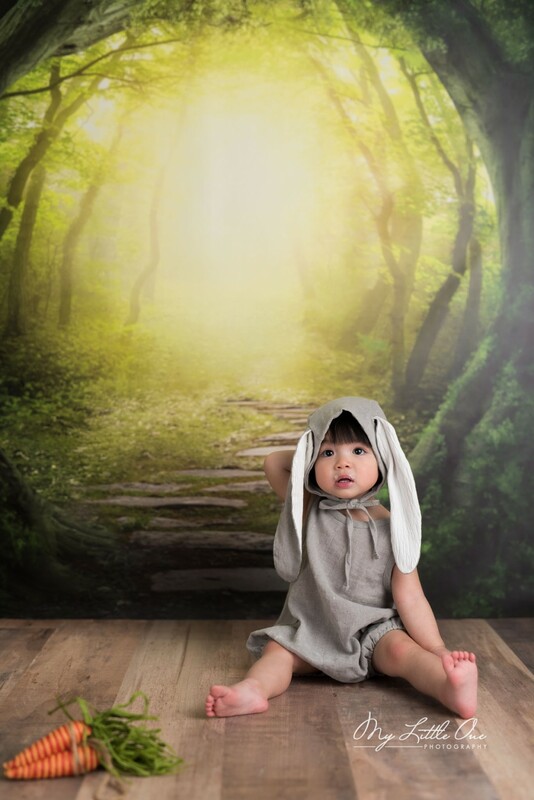 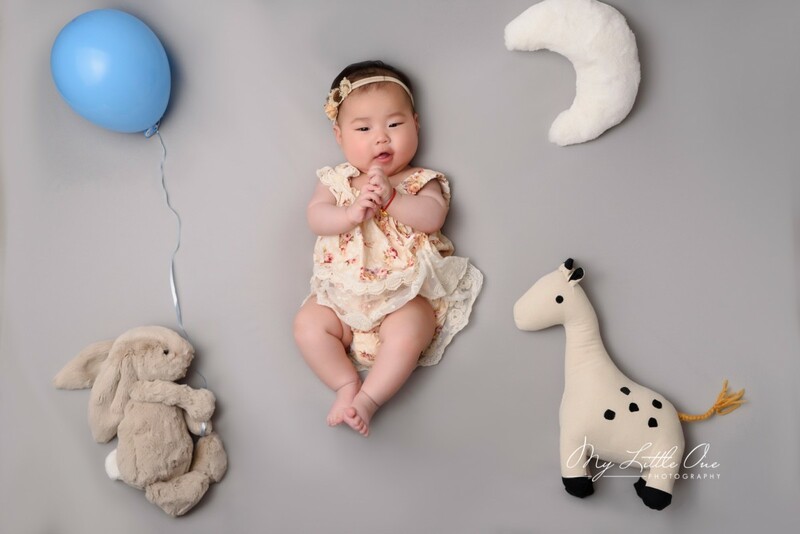 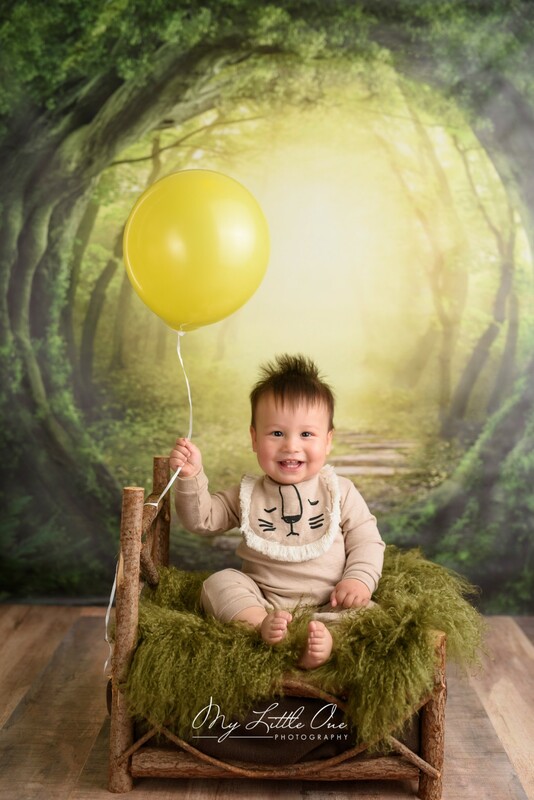 When positioned on a pillow or props, 3-5 months old baby can place their head up and perhaps peak a smile just long enough for that quick capture! 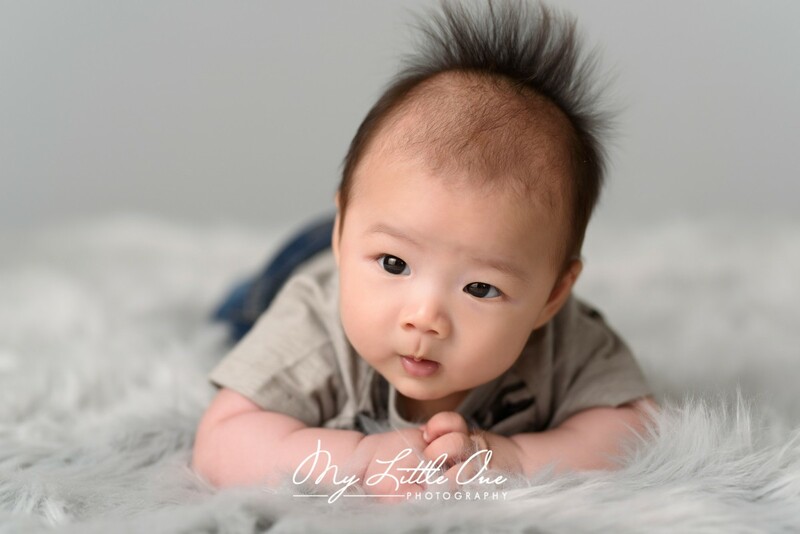 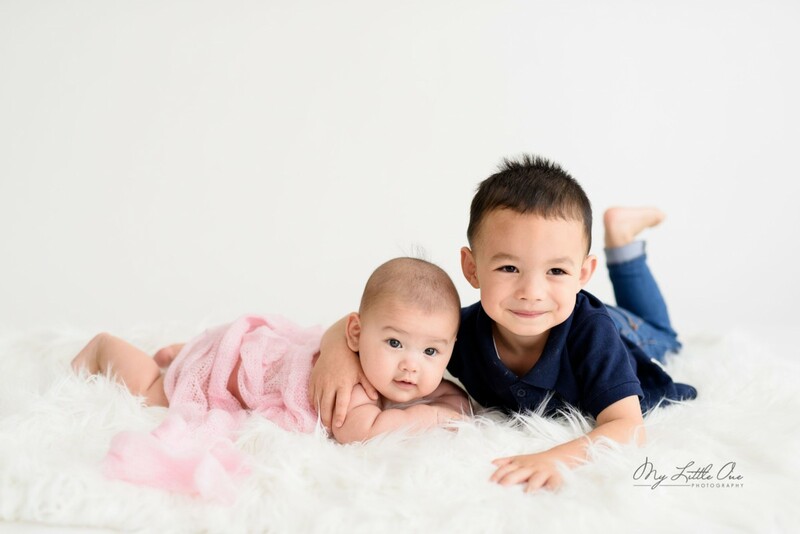 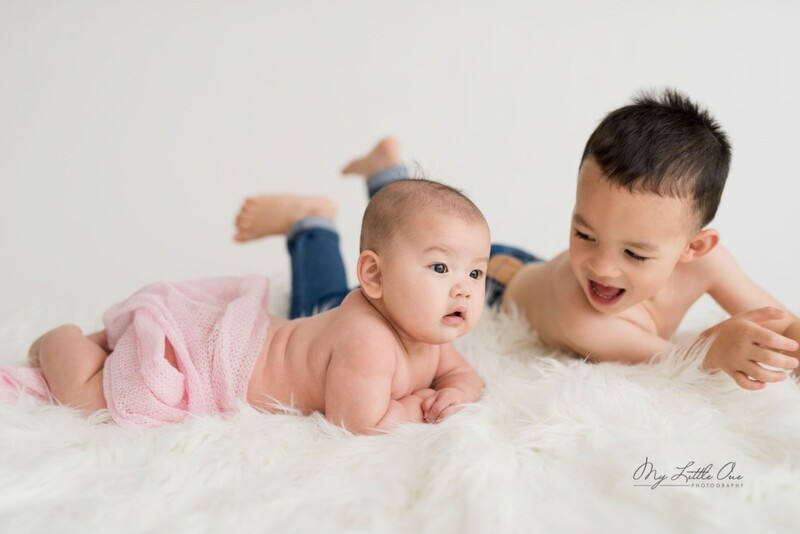 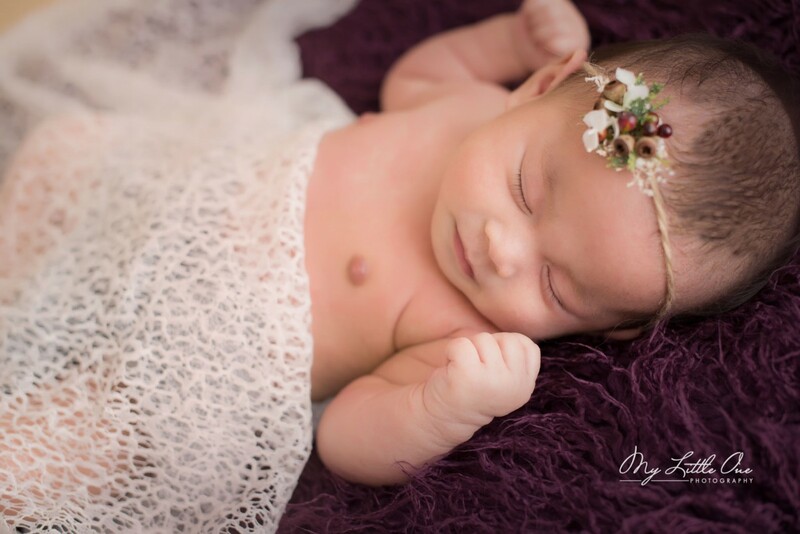 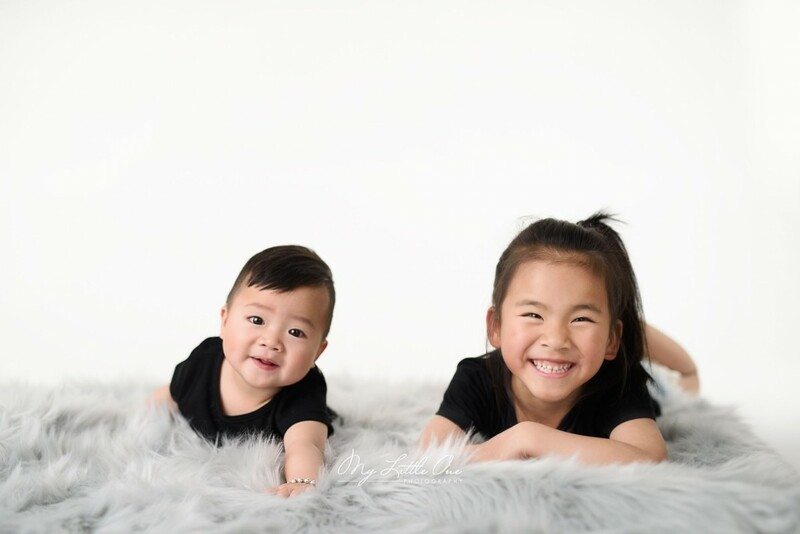 The tips for tummy time photo session is here. 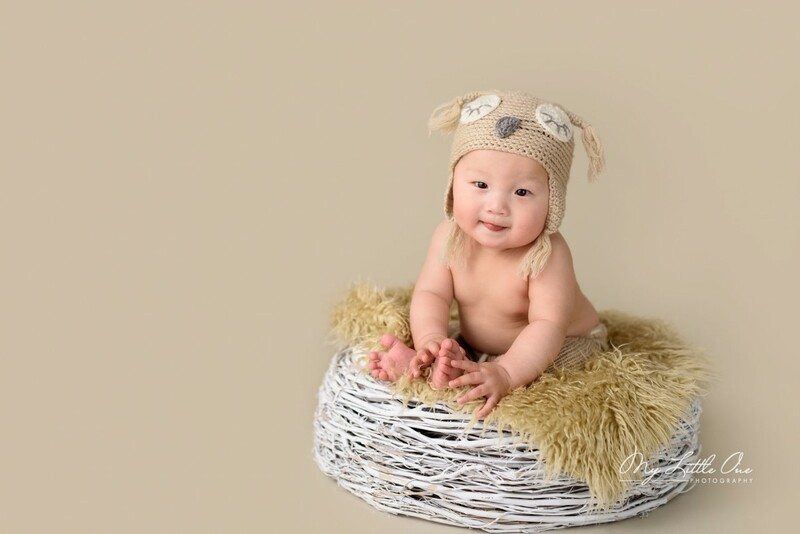 Everything is so exciting and attractive for your baby this month. 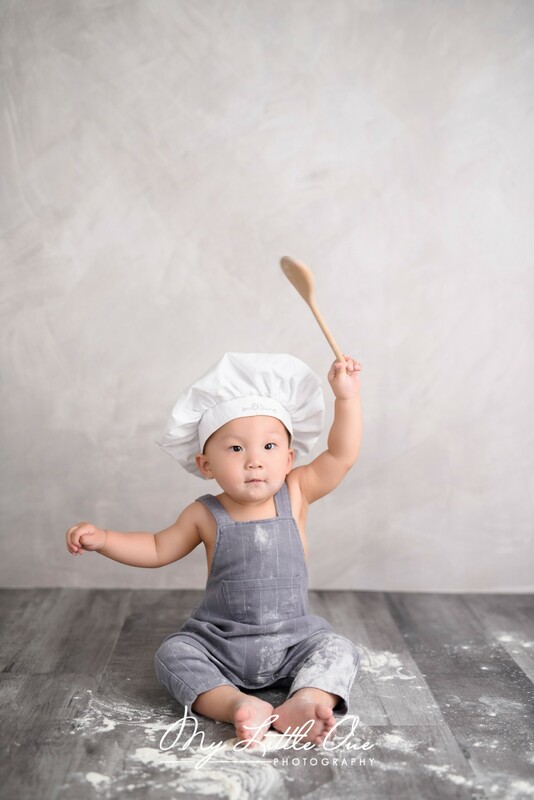 Your baby wants to explore the world with their eyes, hands and mouth! 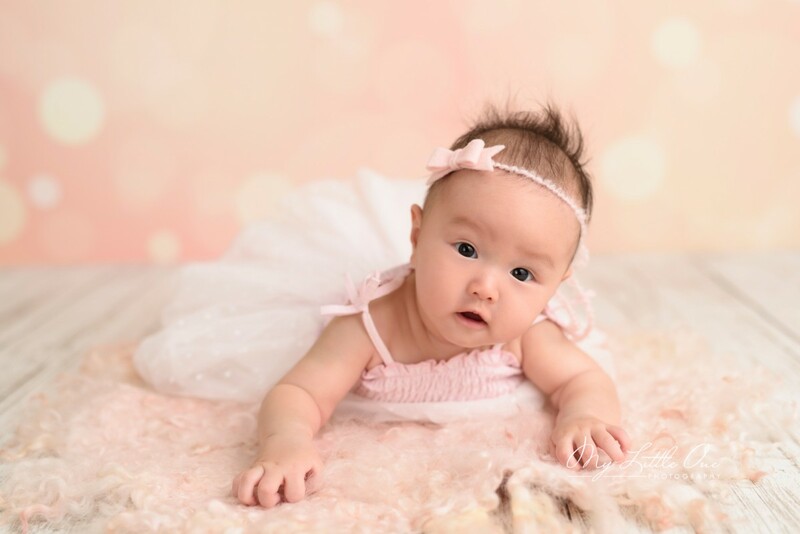 As your infant’s vision is as good as an adult’s now, they can look at the particular item or even point at it or try to crawl toward it. 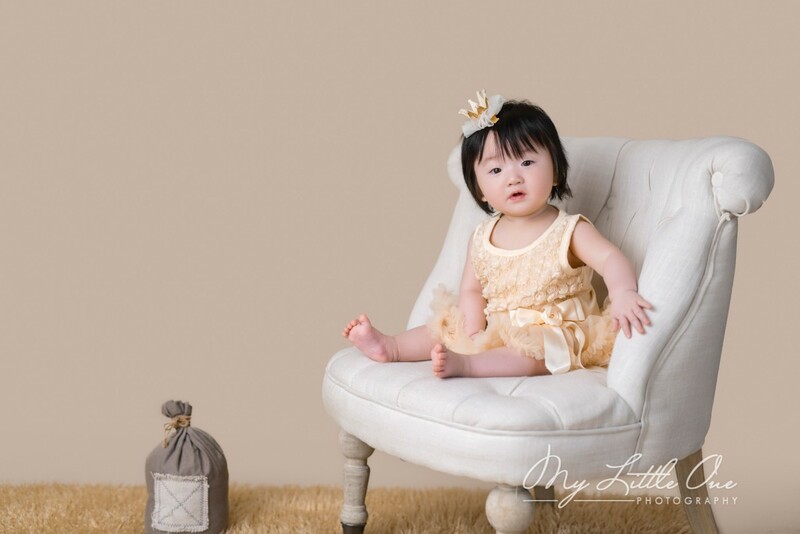 You will find your baby start to do baby-babbling as well. 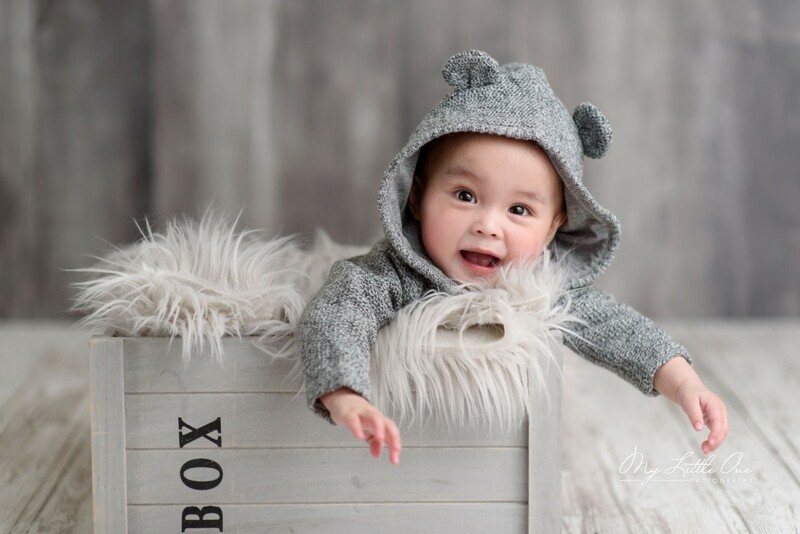 In a word, every day is a surprise. 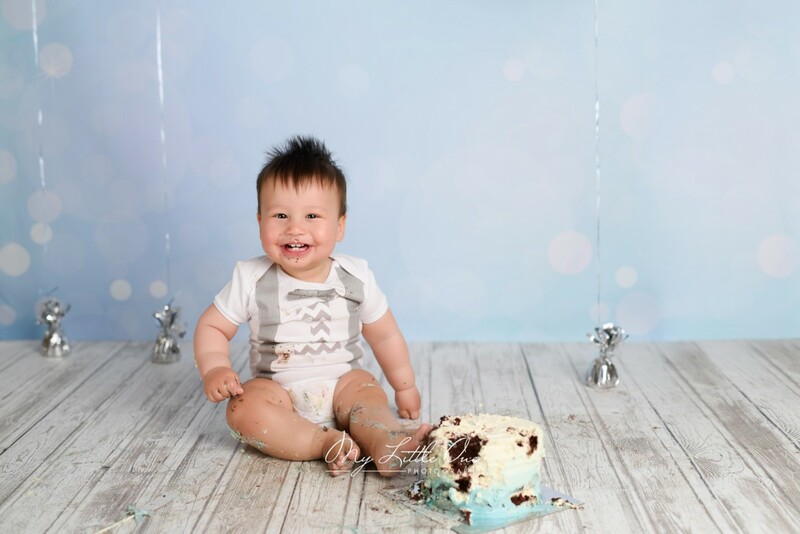 About this age, there is another milestone. 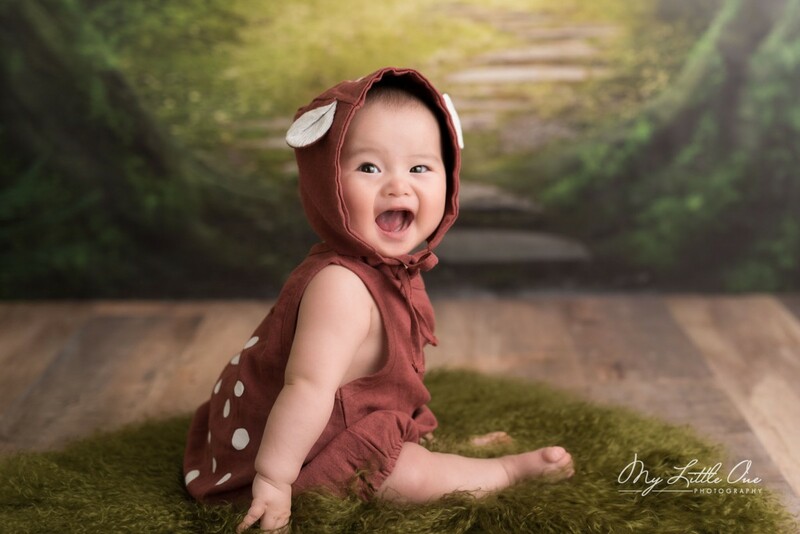 Your baby will be grabbing for toys, laughing, and even sitting up! 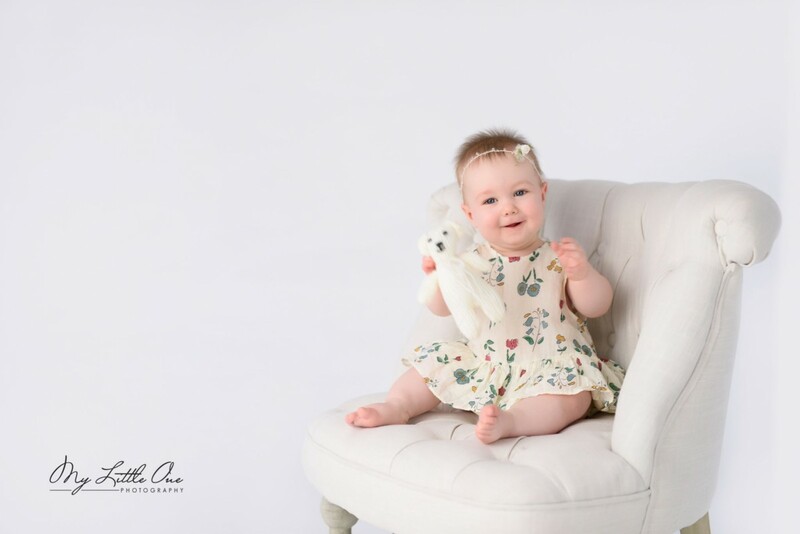 Six months old is a great age and one of our favourites to photograph. 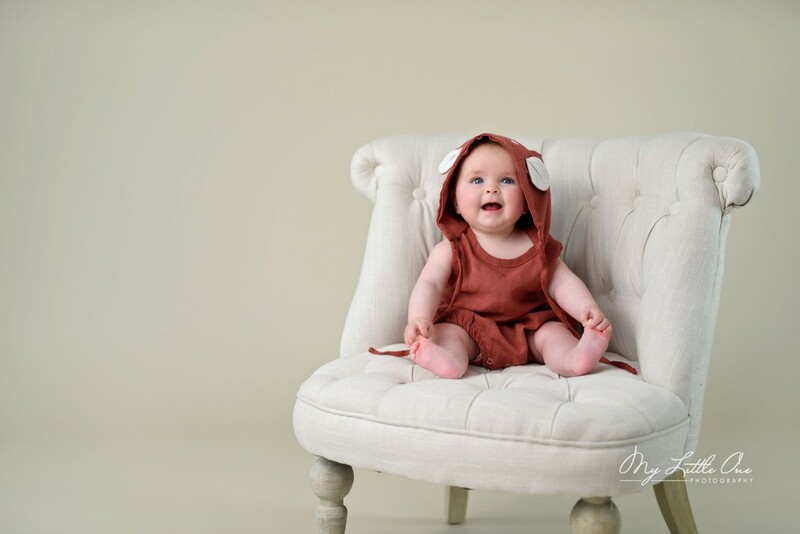 Again, if your baby is not yet sitting up, wait a few weeks until that is possible. 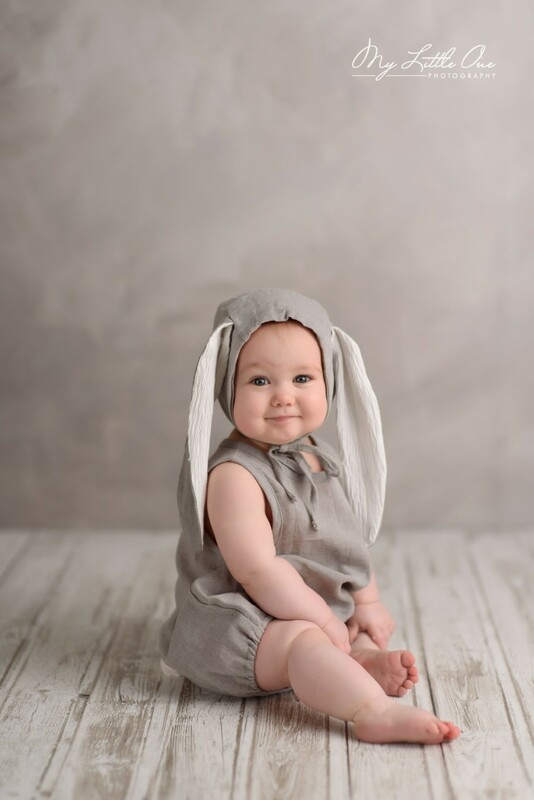 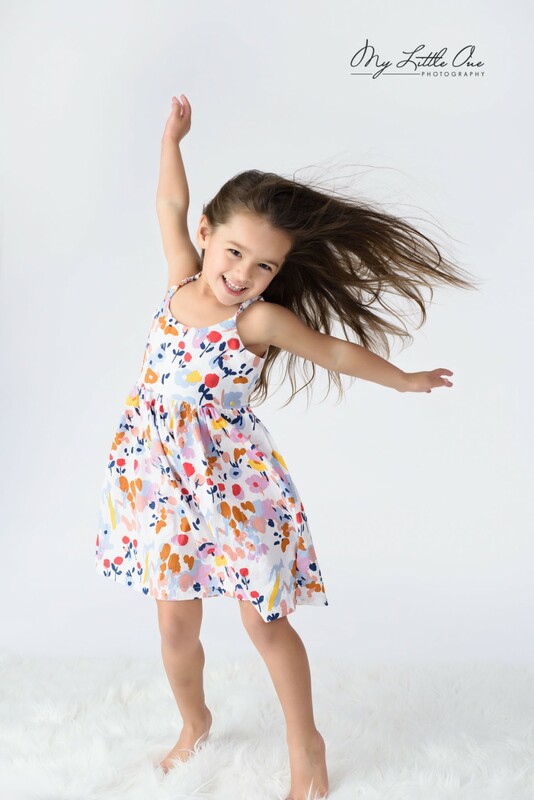 Little ones may also enjoy some added clothing for this age. 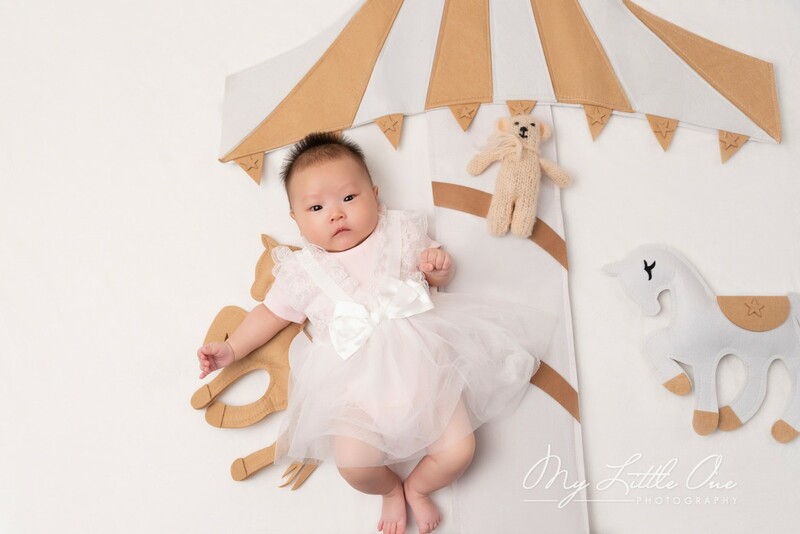 As they are more mature than before, adding cute props can be fun and story making. 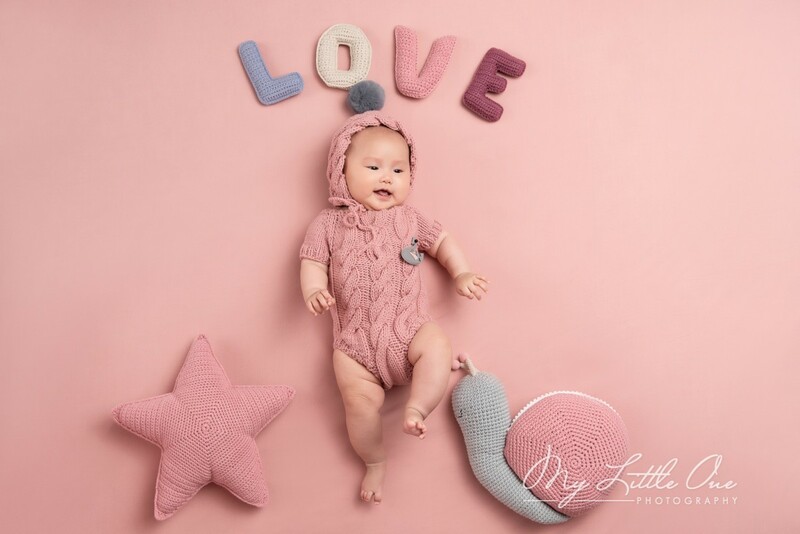 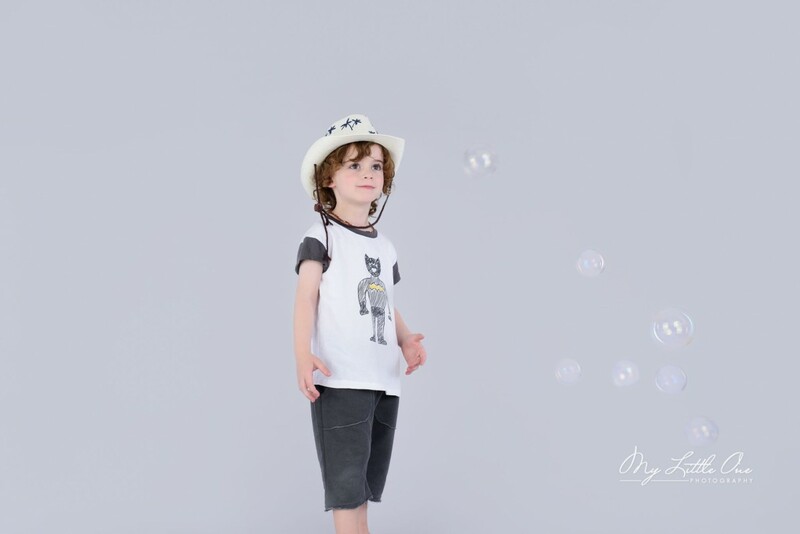 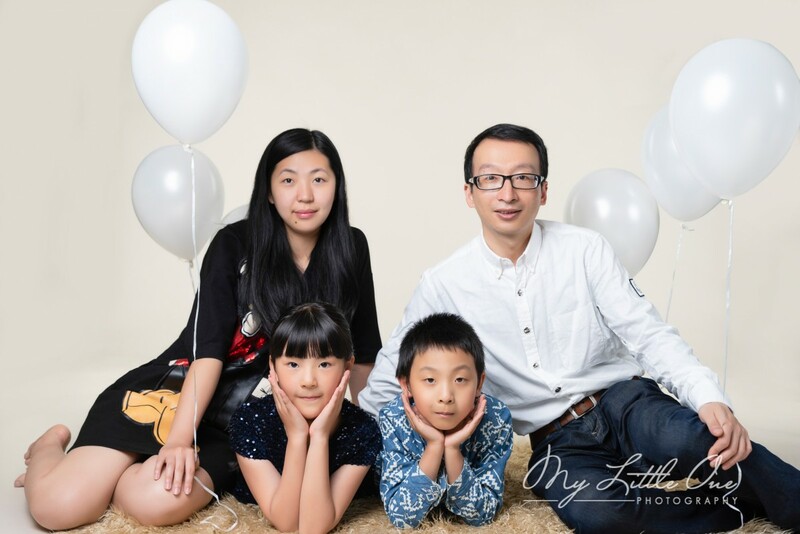 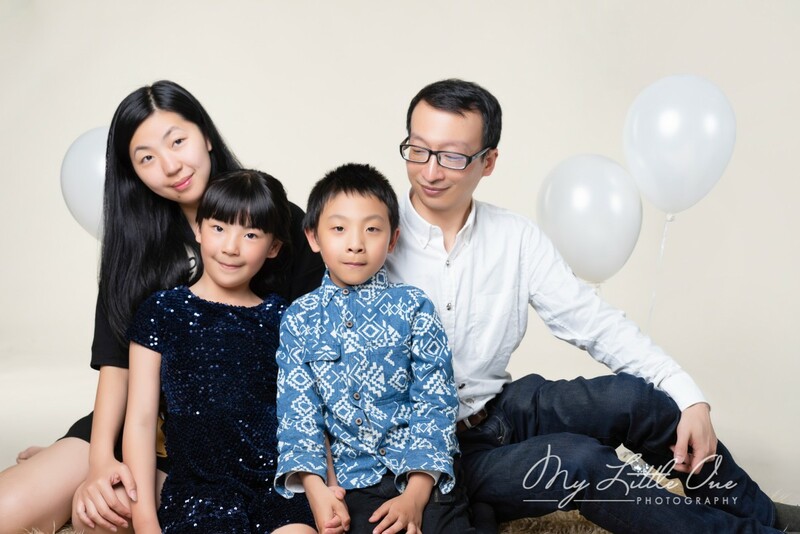 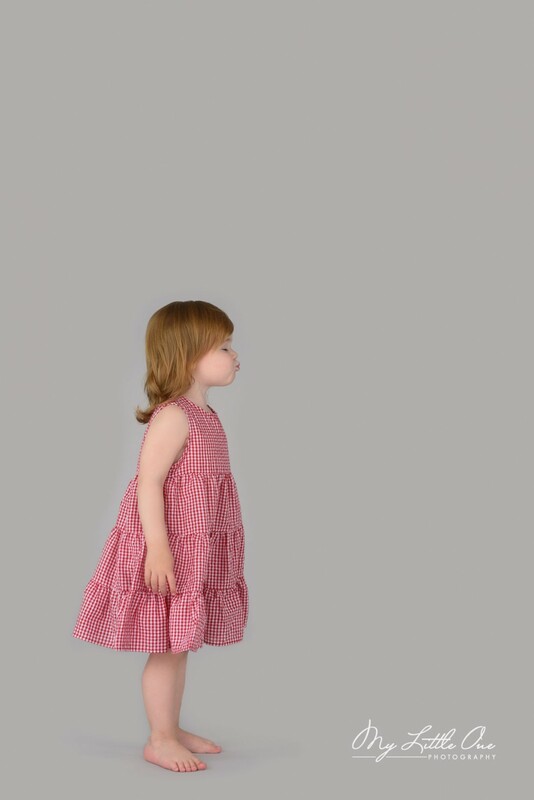 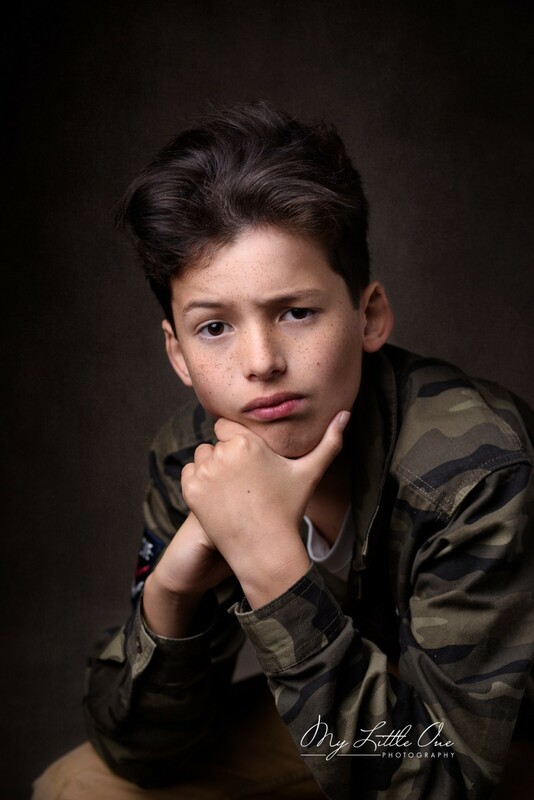 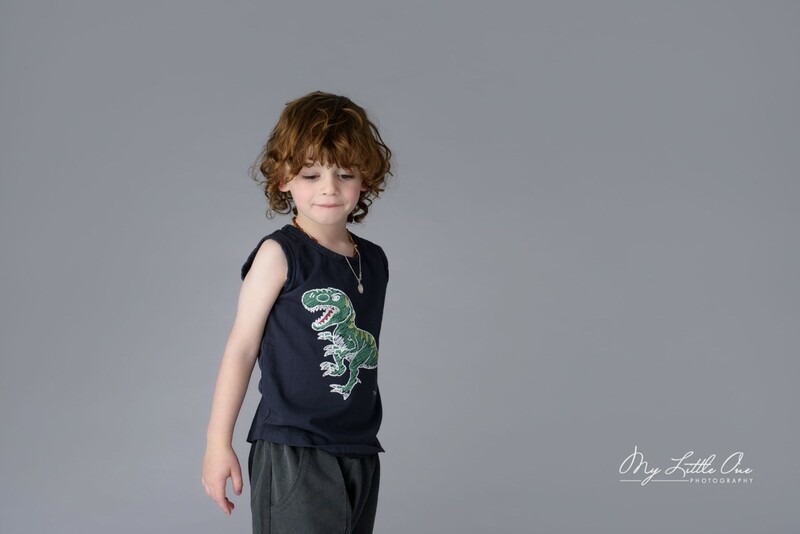 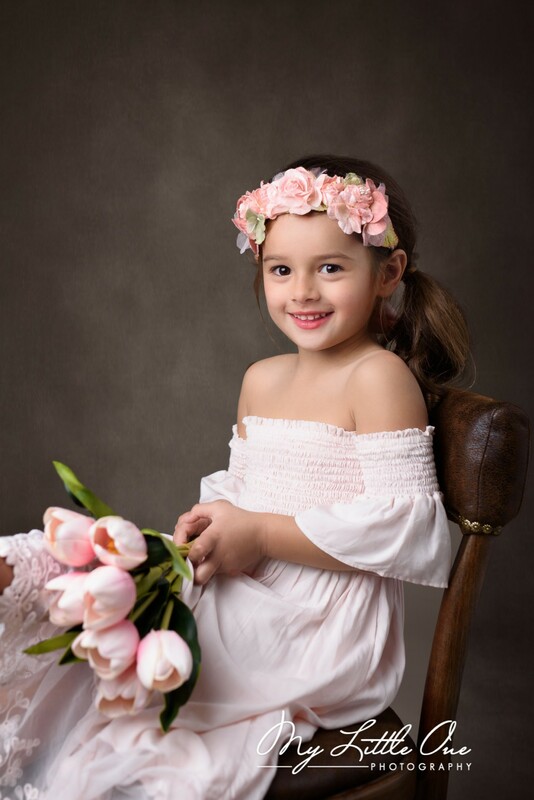 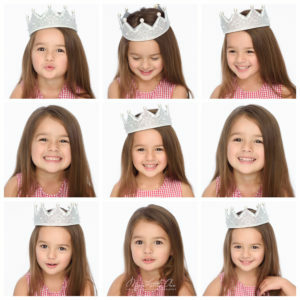 We have a lot of collection of clothing and accessories for them to use and adding different characters to their cherish-able photos. 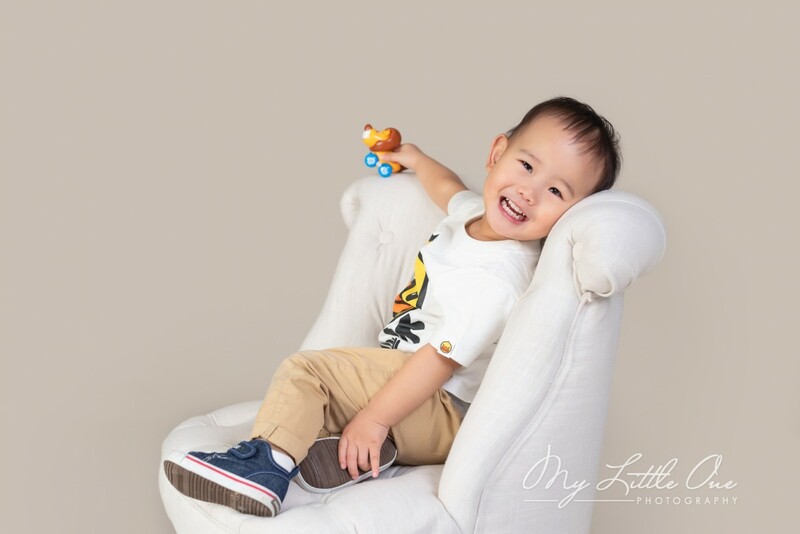 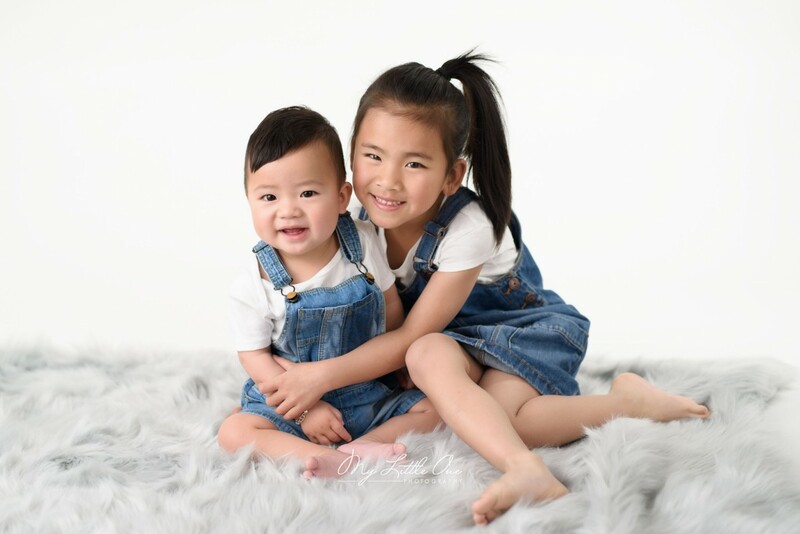 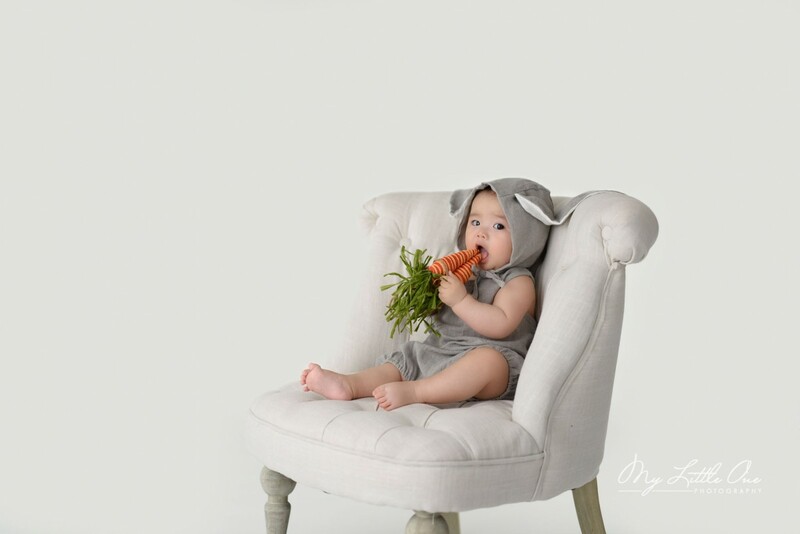 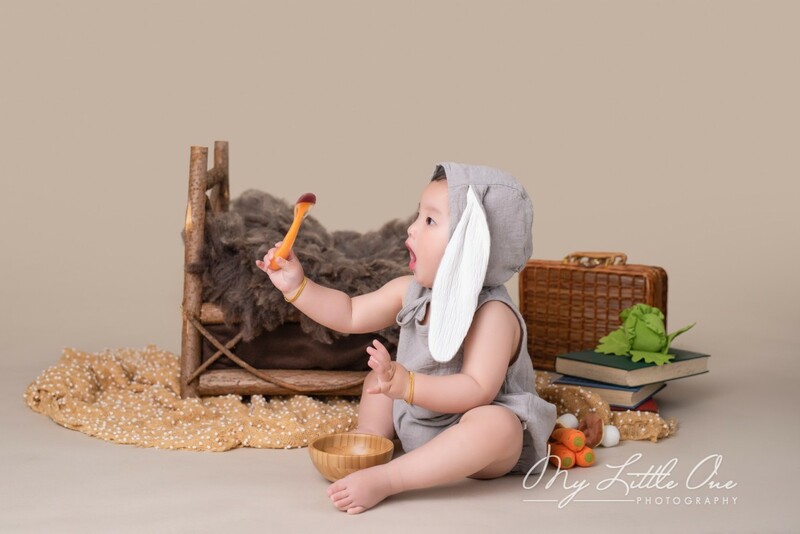 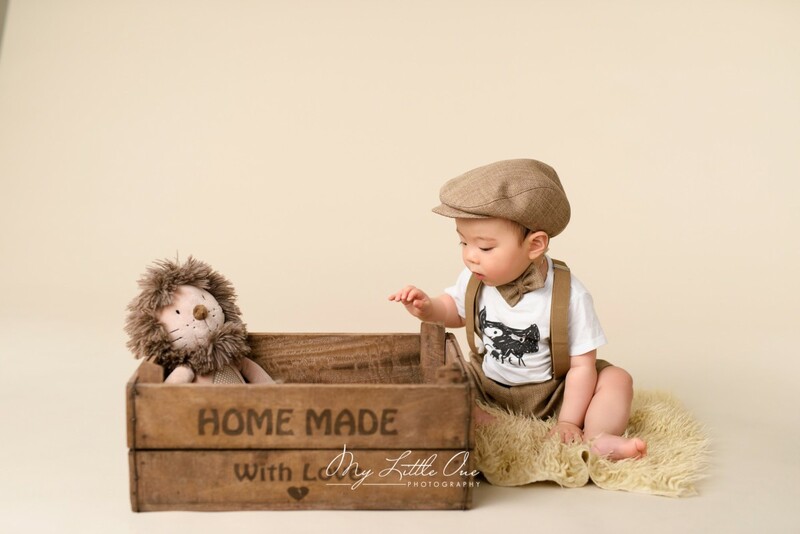 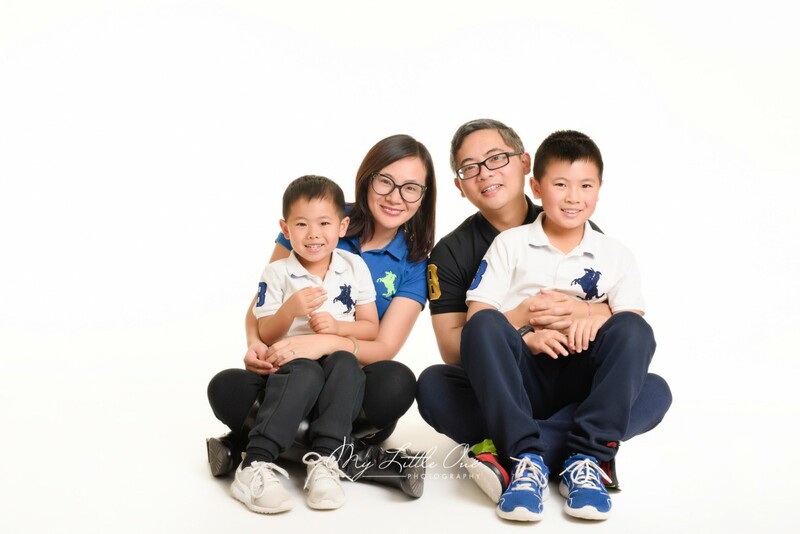 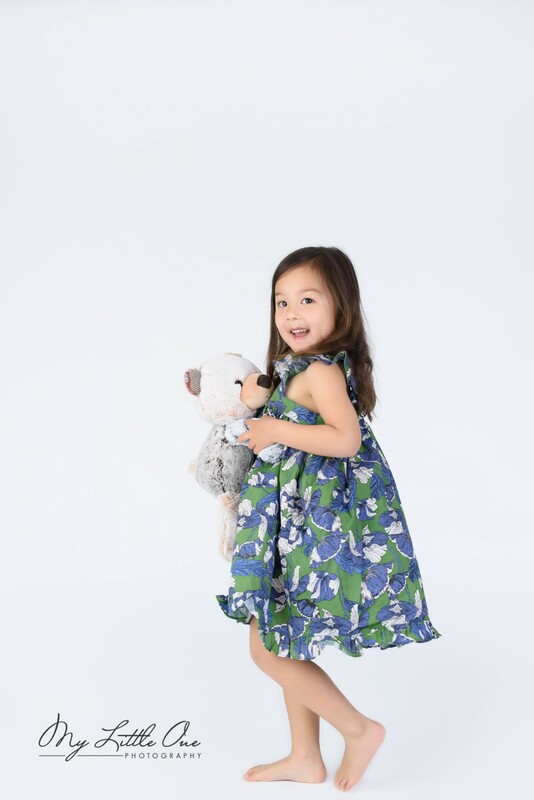 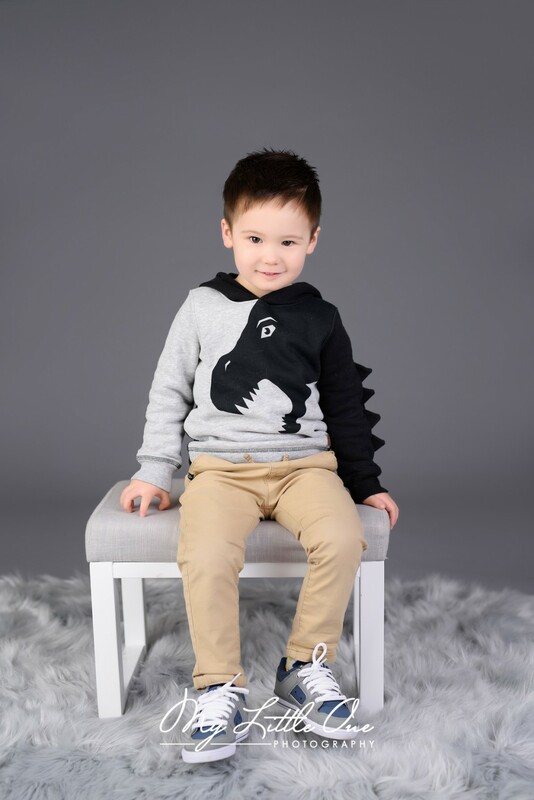 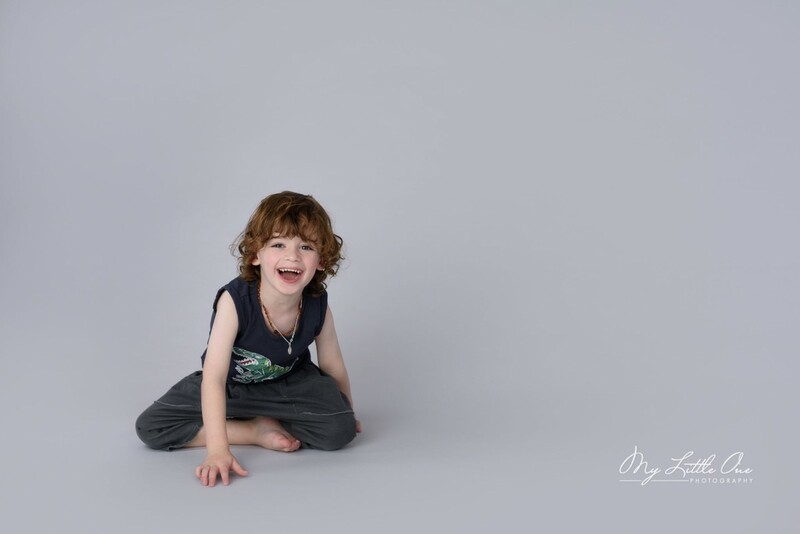 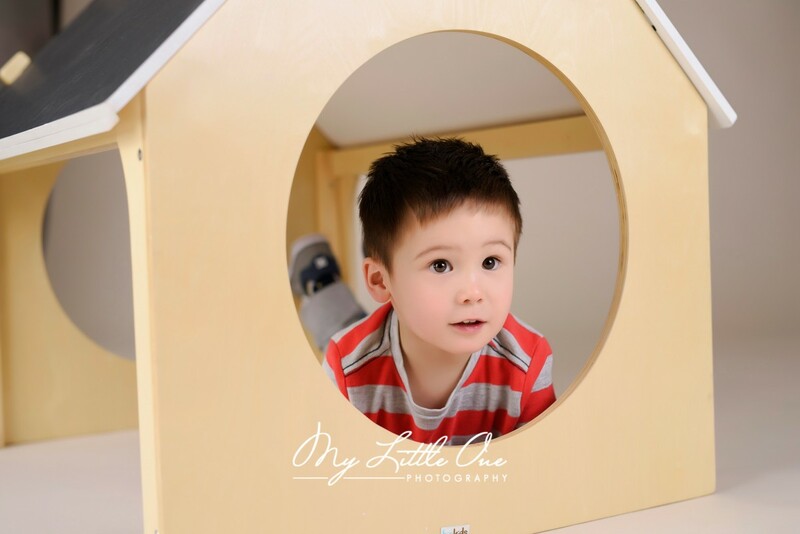 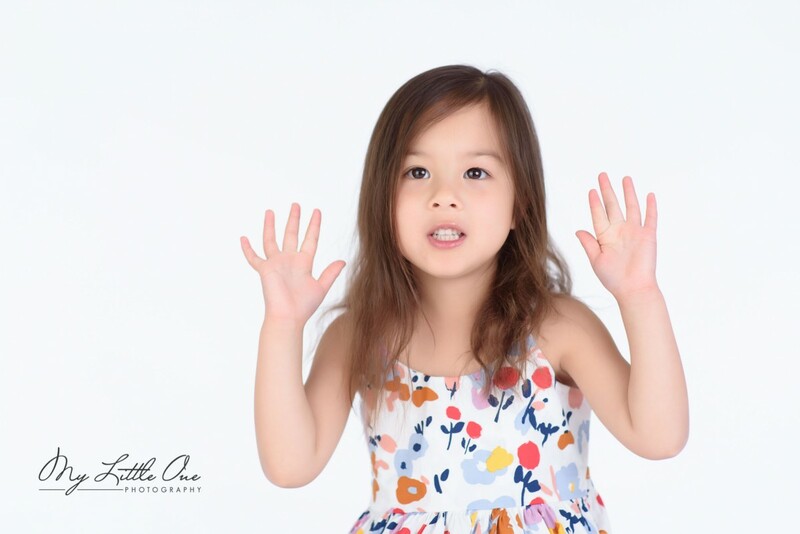 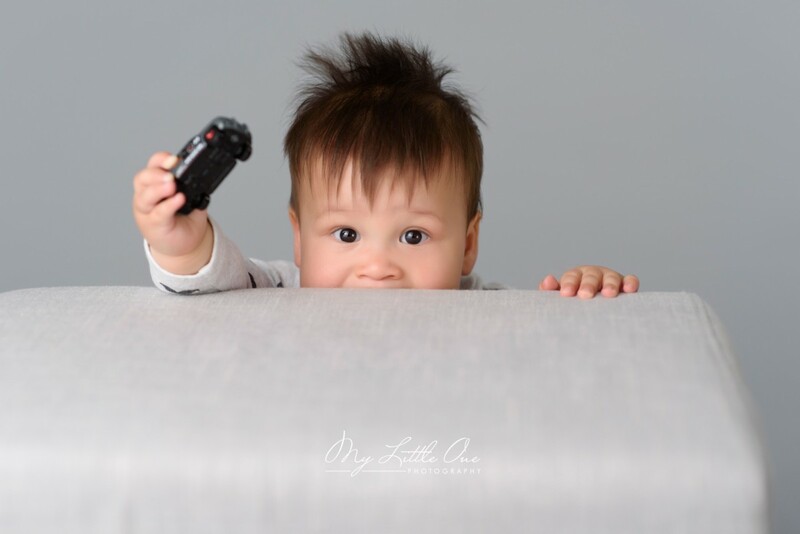 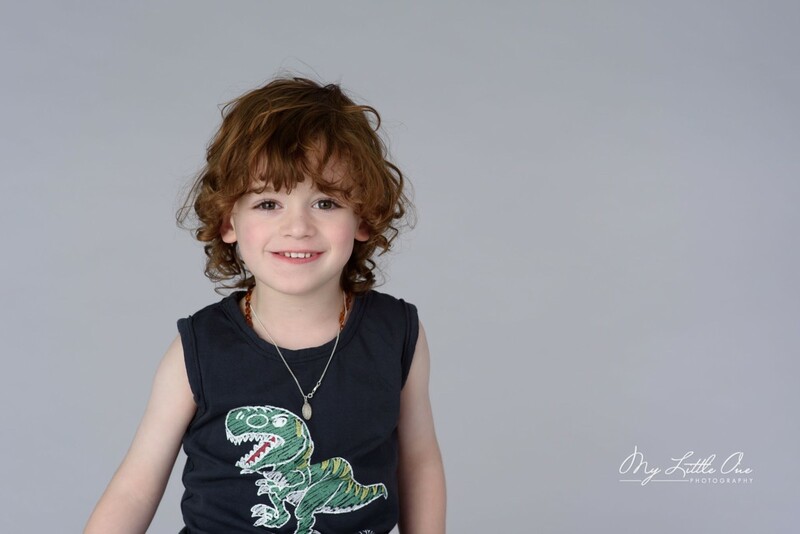 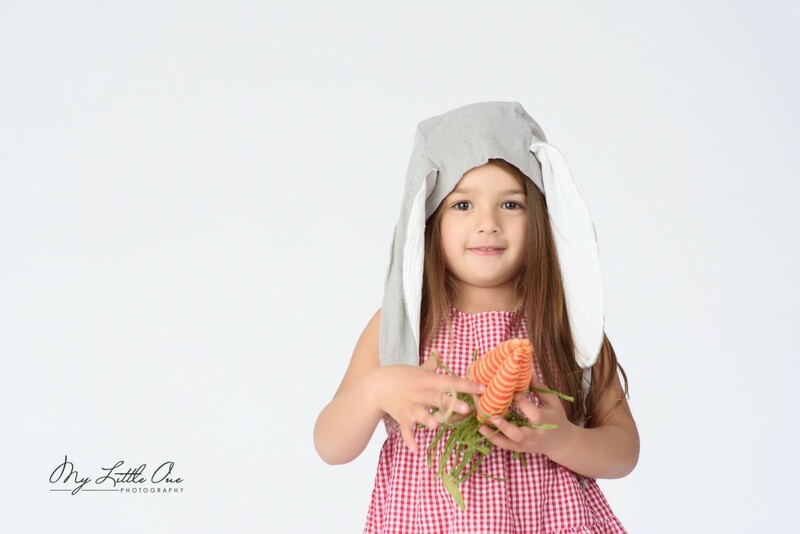 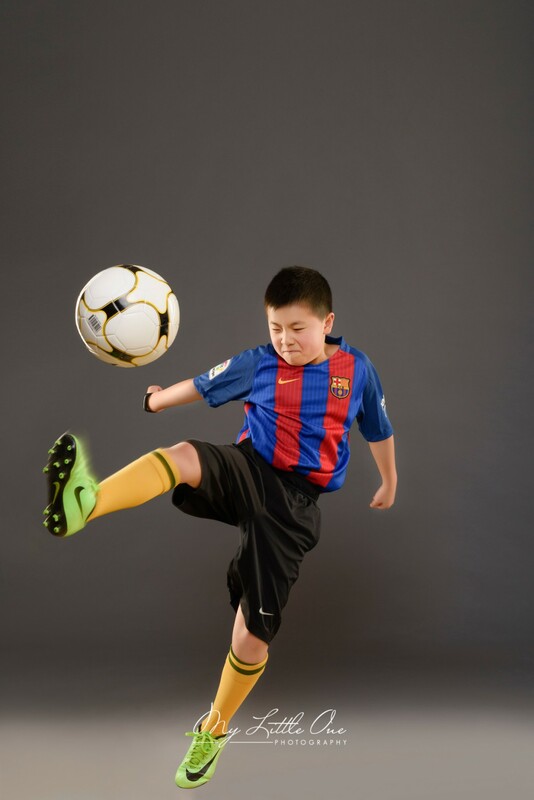 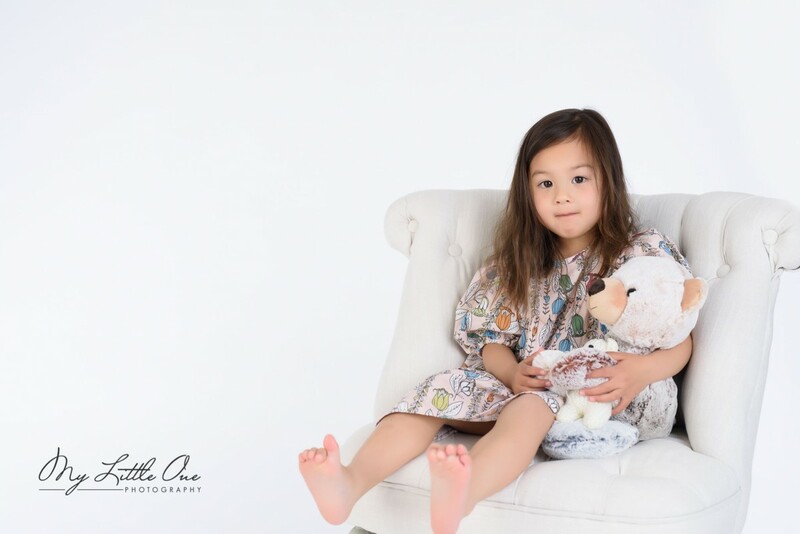 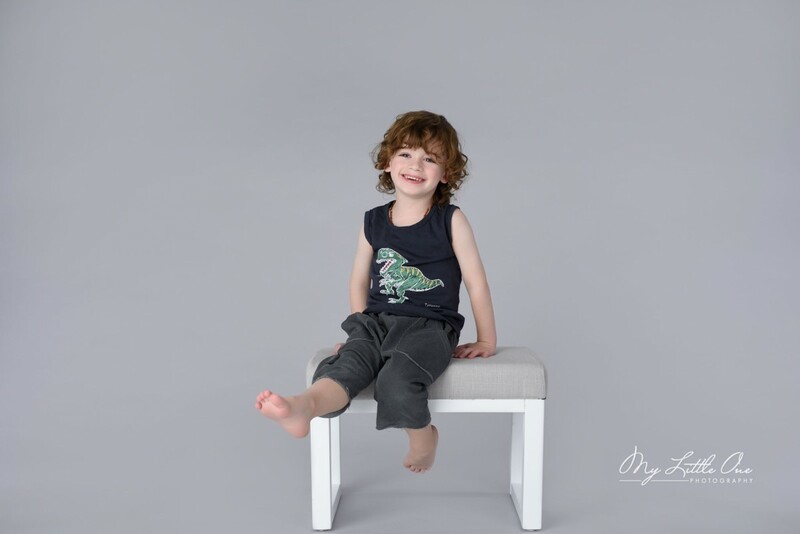 The tips for sitter time photo session is here. 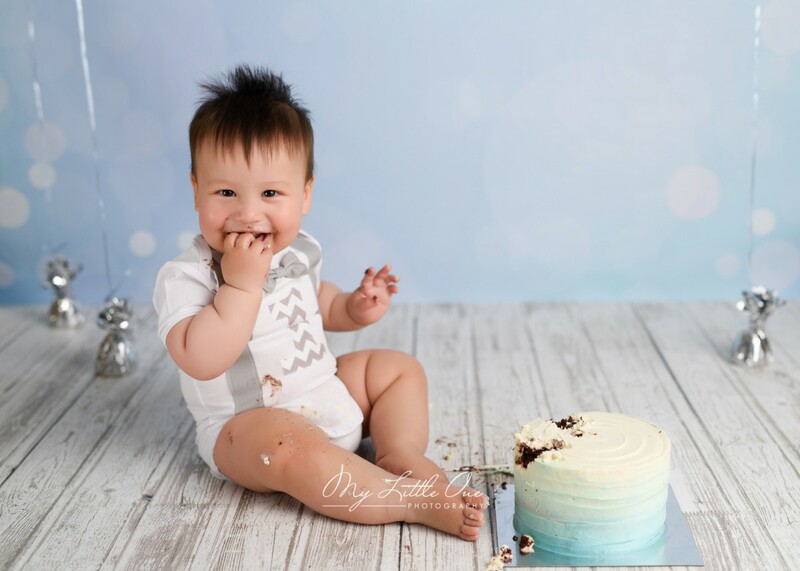 One year old is a special milestone during your baby’s life. 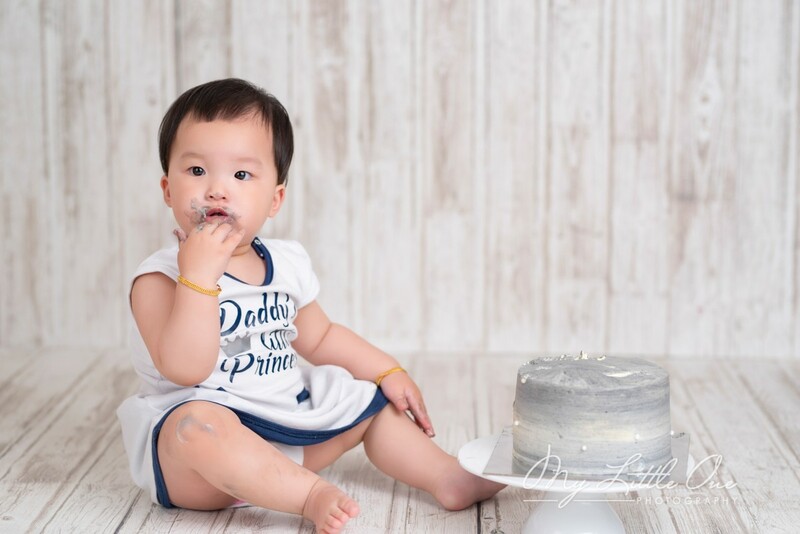 His first birthday is coming, and his first step is coming as well. 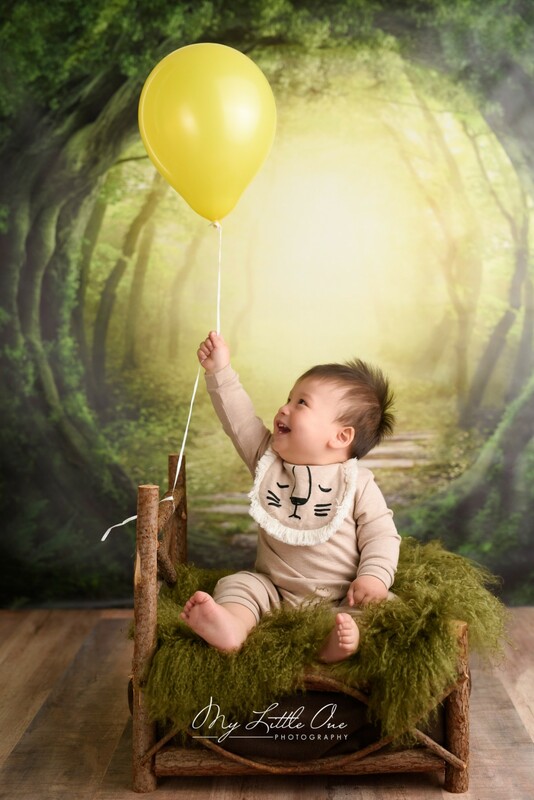 Most babies can take his first steps alone now. 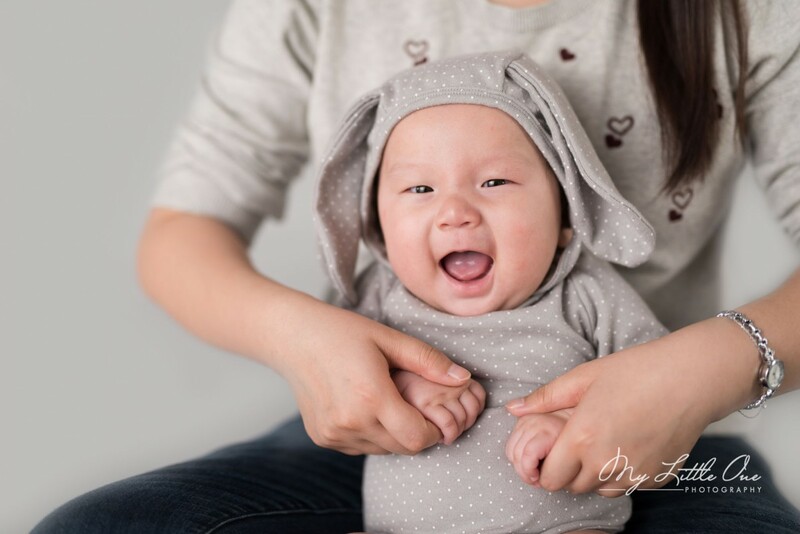 It’s a significant development for your baby. 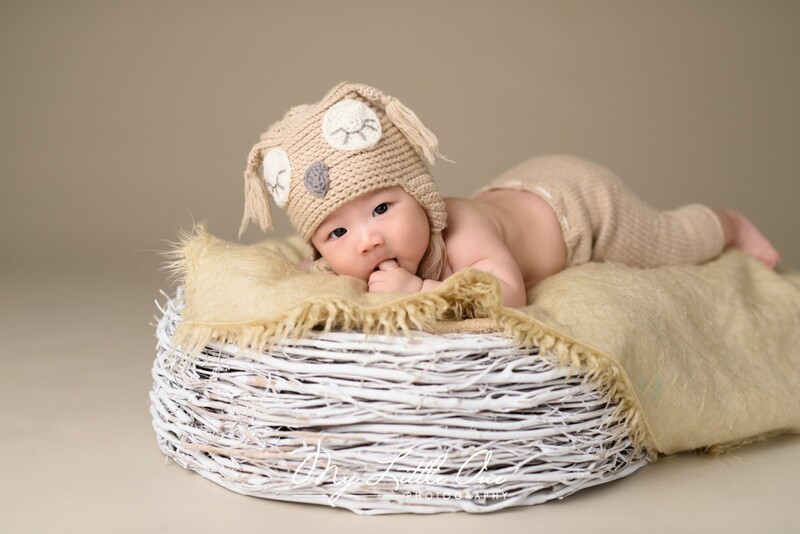 Also, the bedtime is getting easier for you to organise. 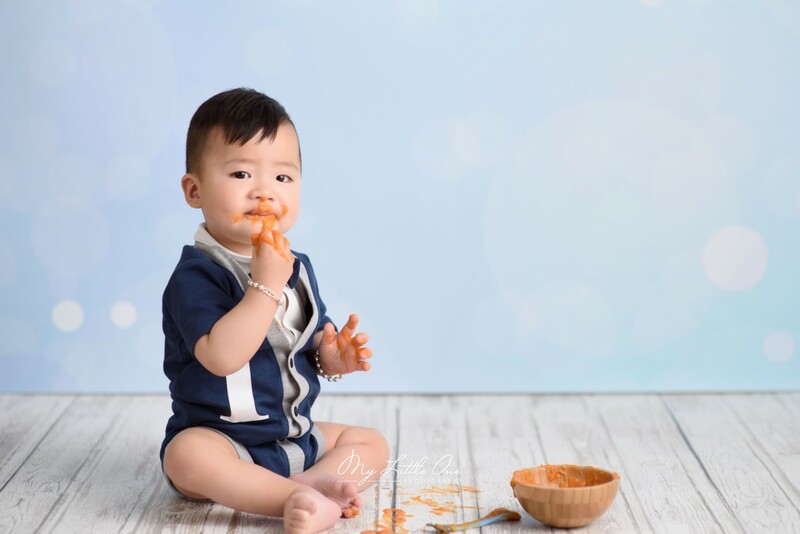 Your baby can feed himself/herself better. 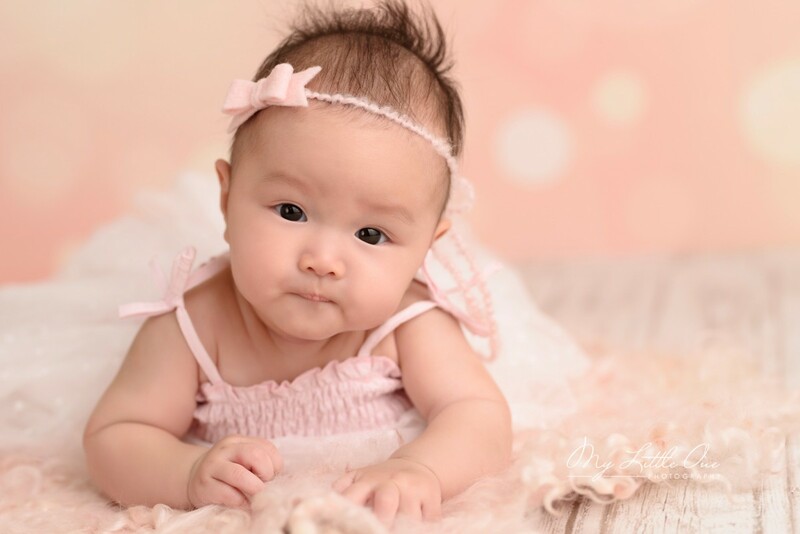 Your baby can learn more about language. 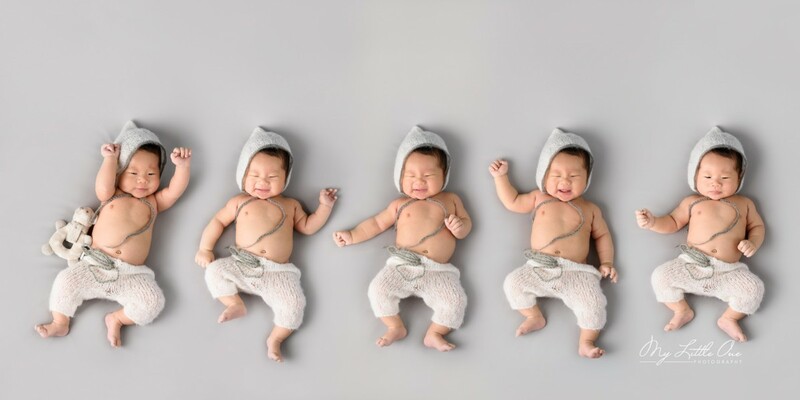 These are all good news. 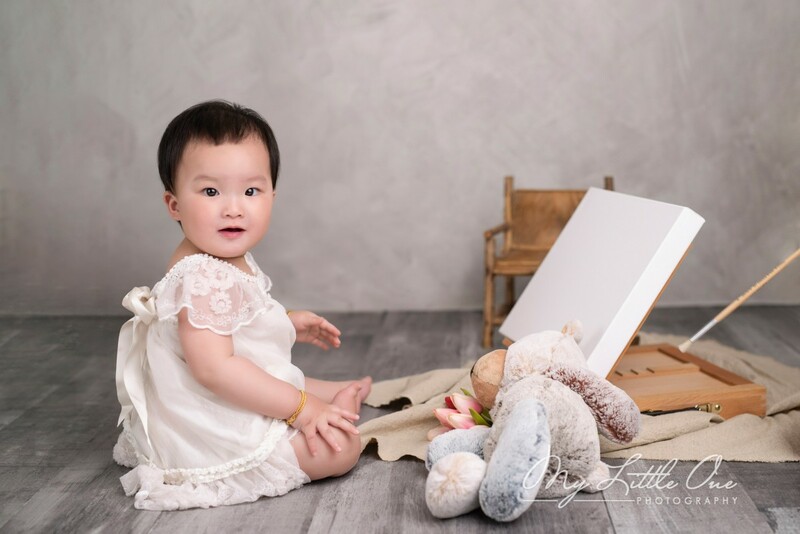 But, the biggest problem for you is that it’s so hard to say ‘goodbye’ to your little one! 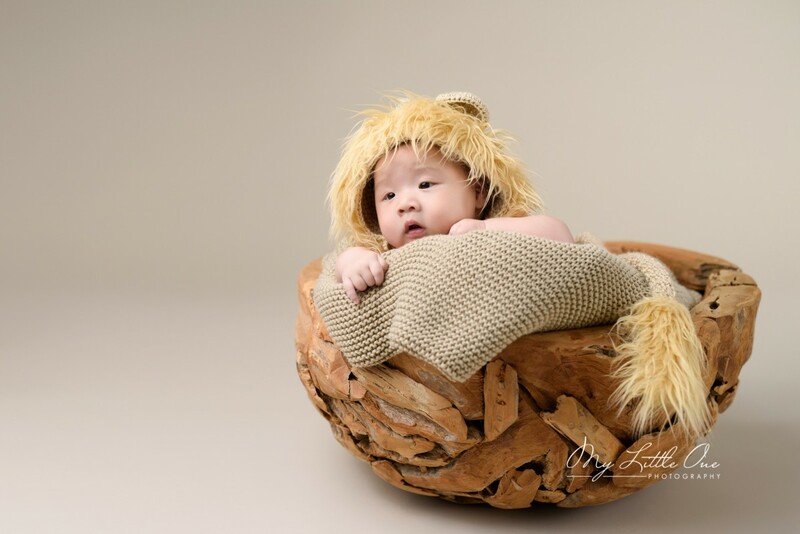 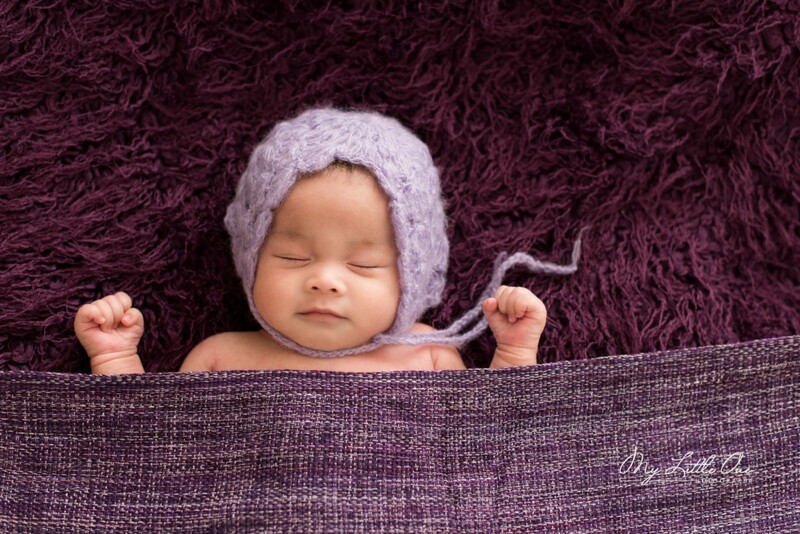 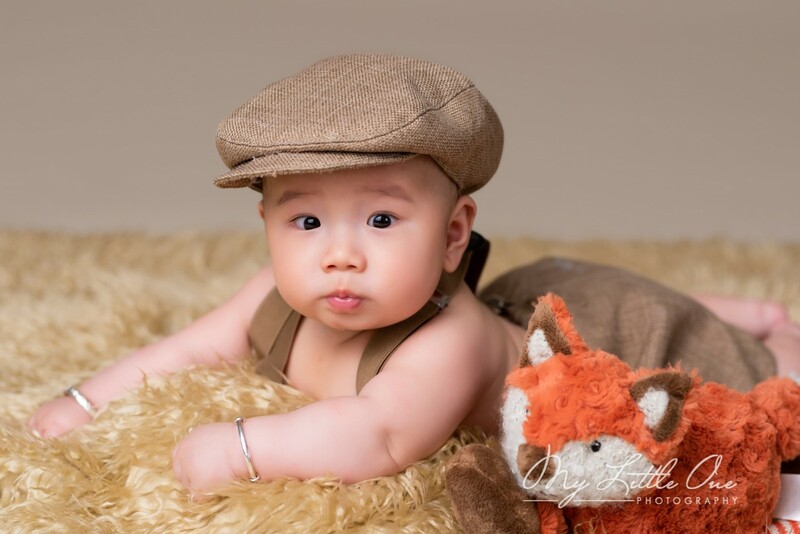 We encourage to photograph your baby every six months after they are 1. 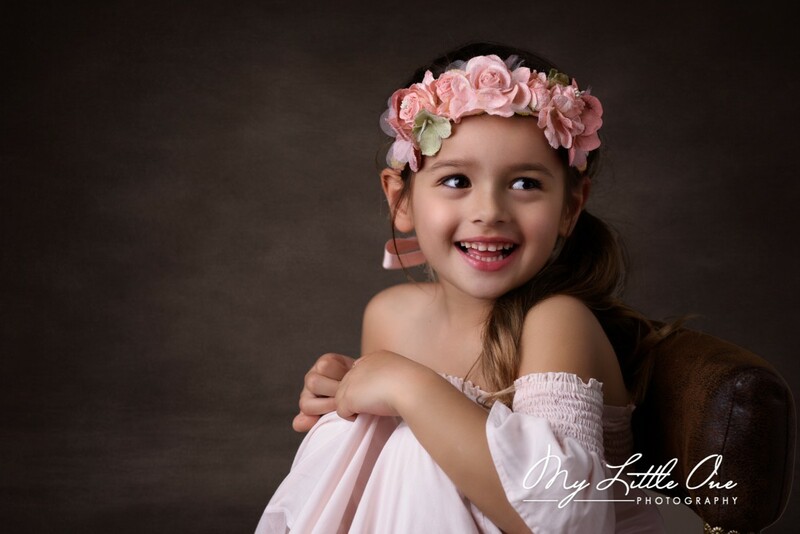 Once they are 3, time appears to slow down a bit, and most of my clients intend to shoot once a year, some remain on the 6-month time frame. 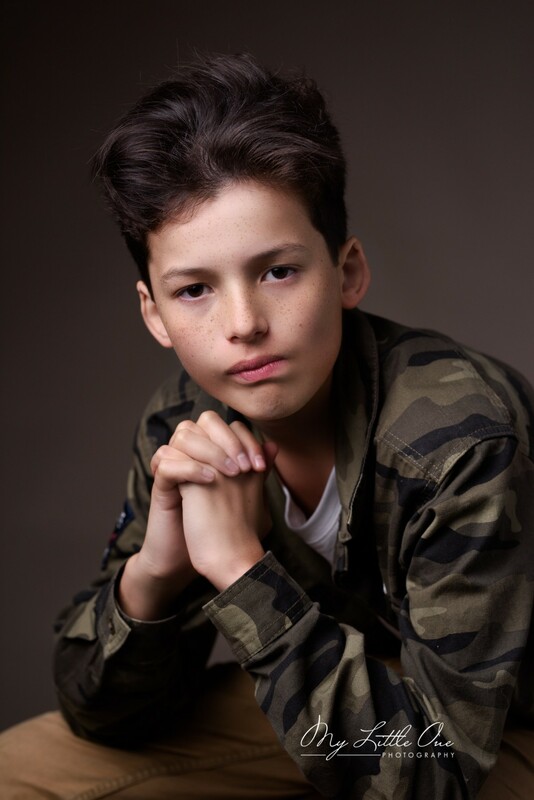 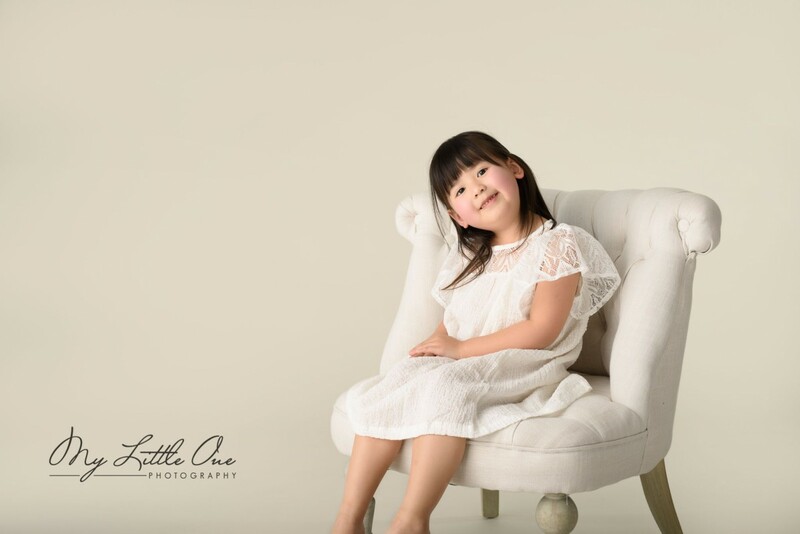 As a professional myself, I have the luxury of shooting my kids many times a year. 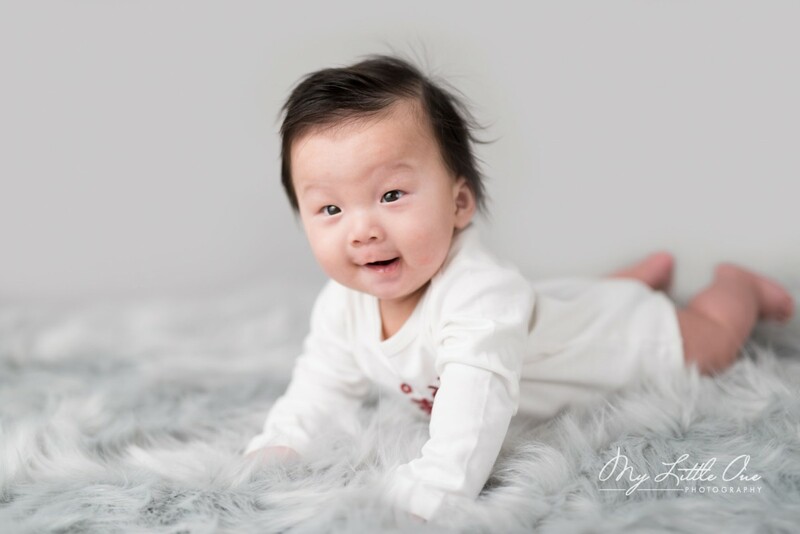 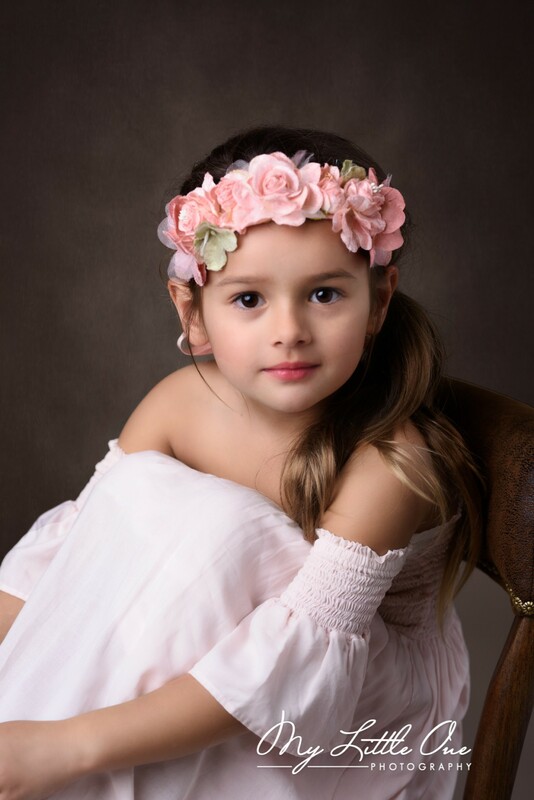 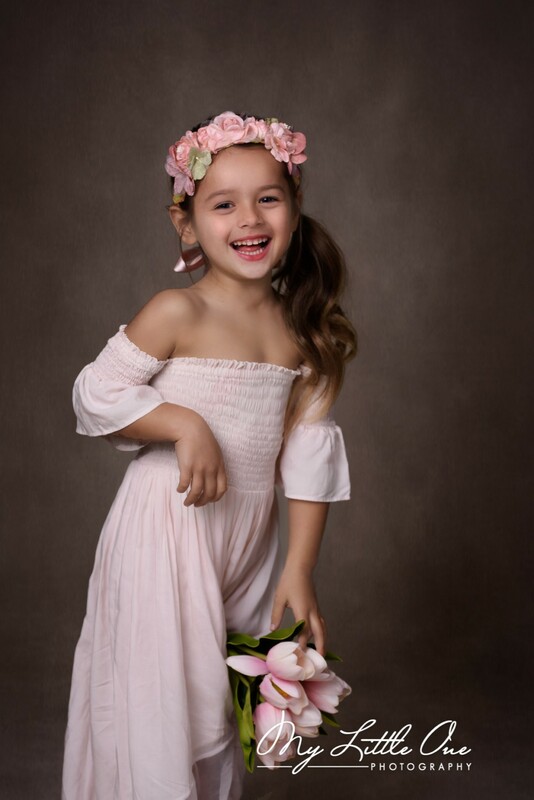 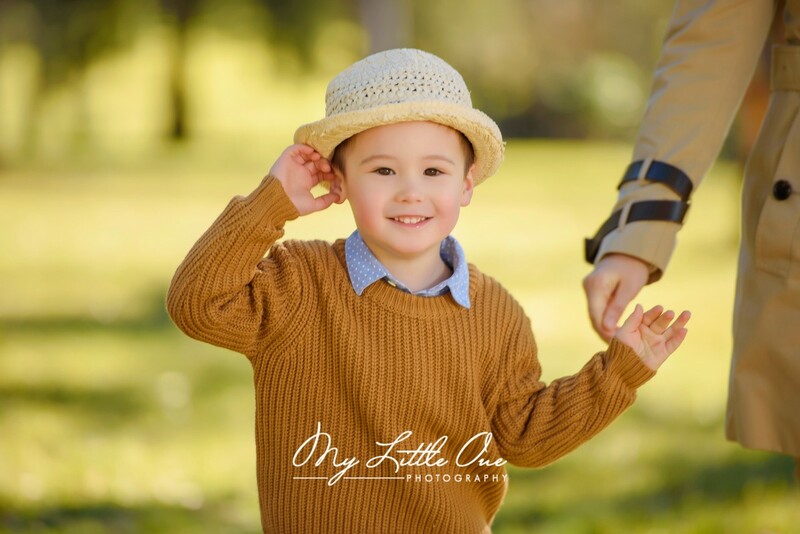 Like most, I offer incentives at different times of the year to encourage more priceless moments for my clients, take advantage of all those opportunities as I have NEVER heard a parent complain that they have too many pictures of their child! 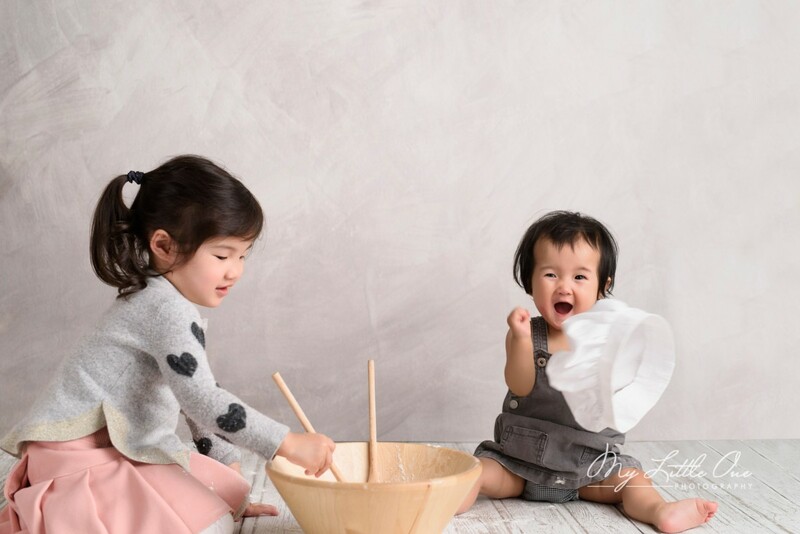 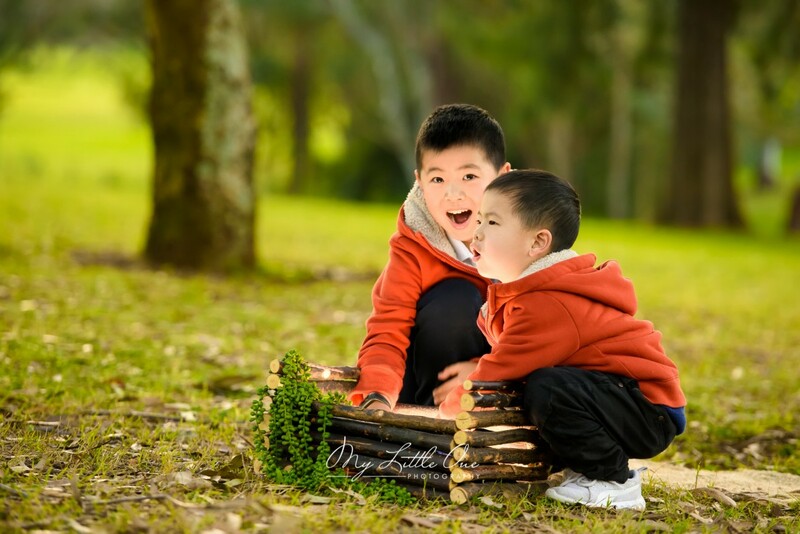 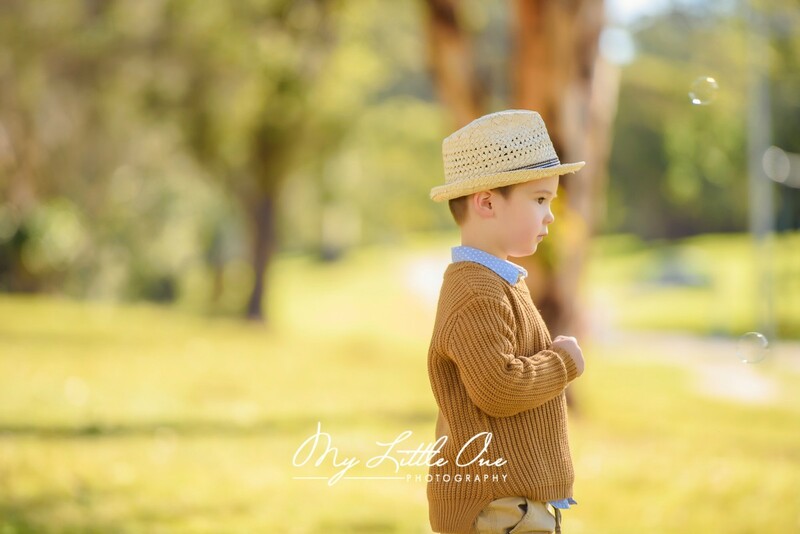 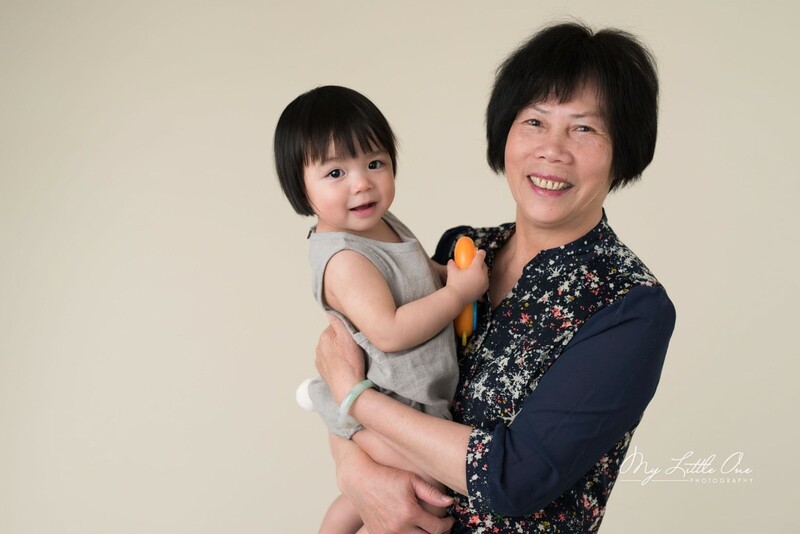 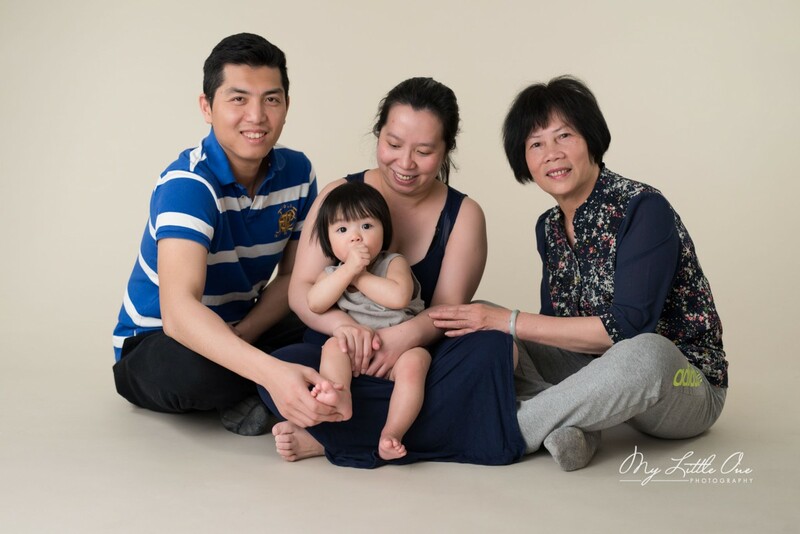 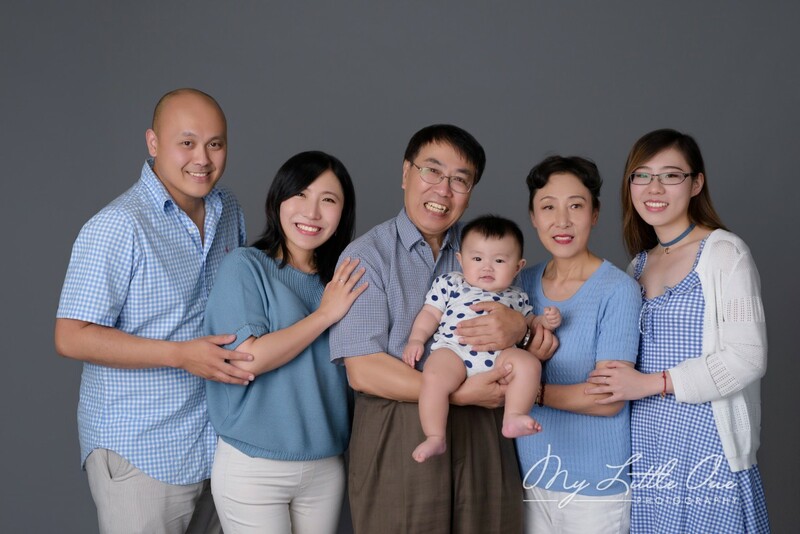 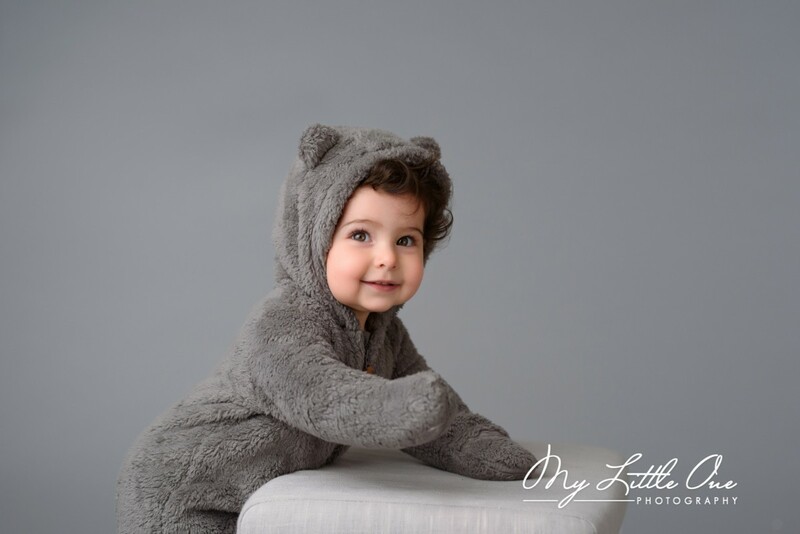 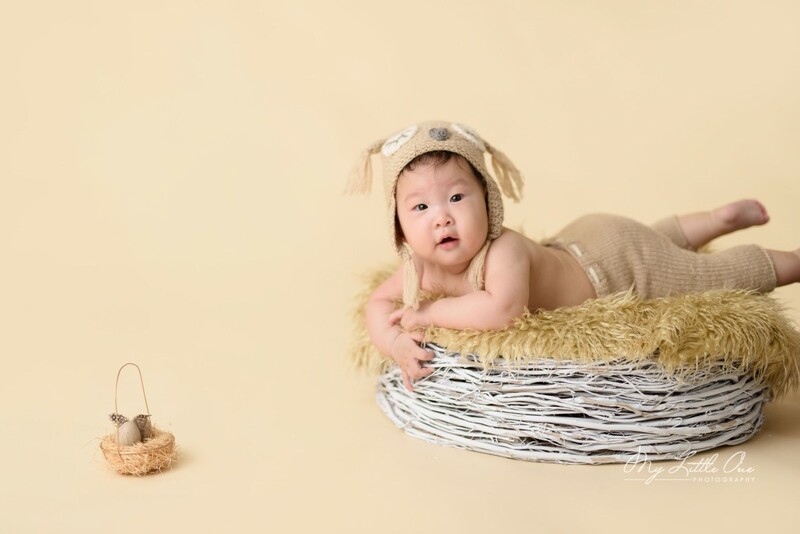 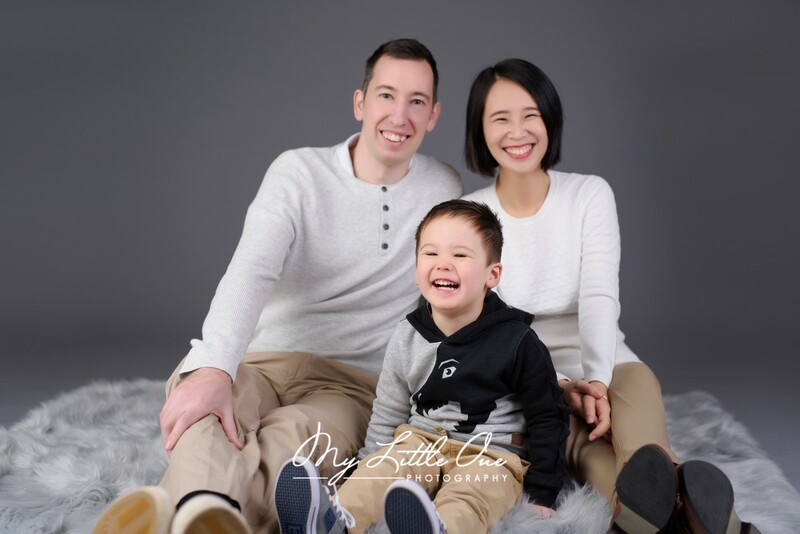 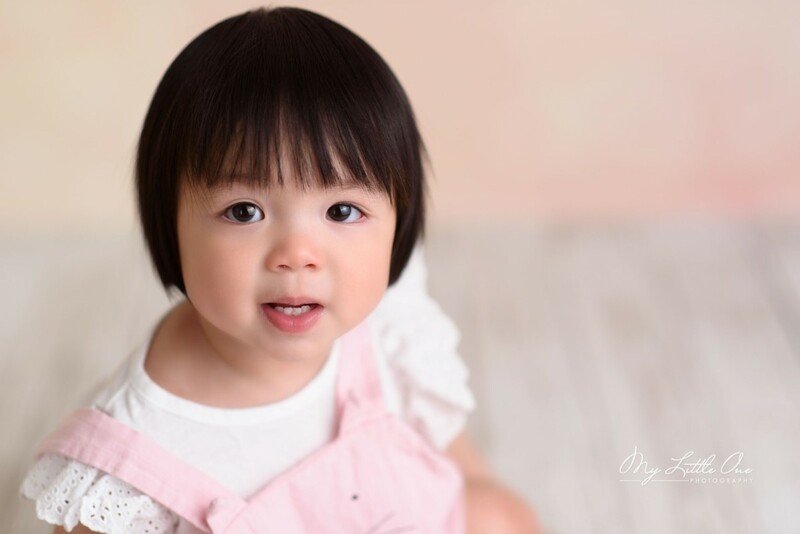 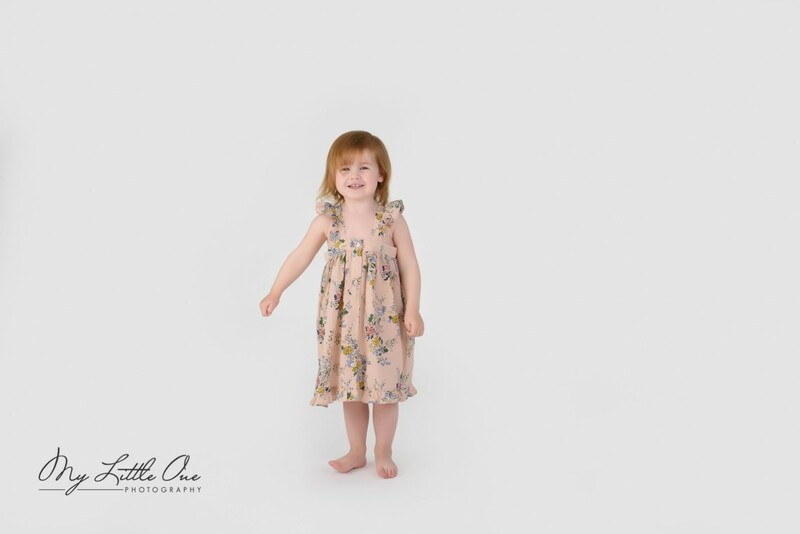 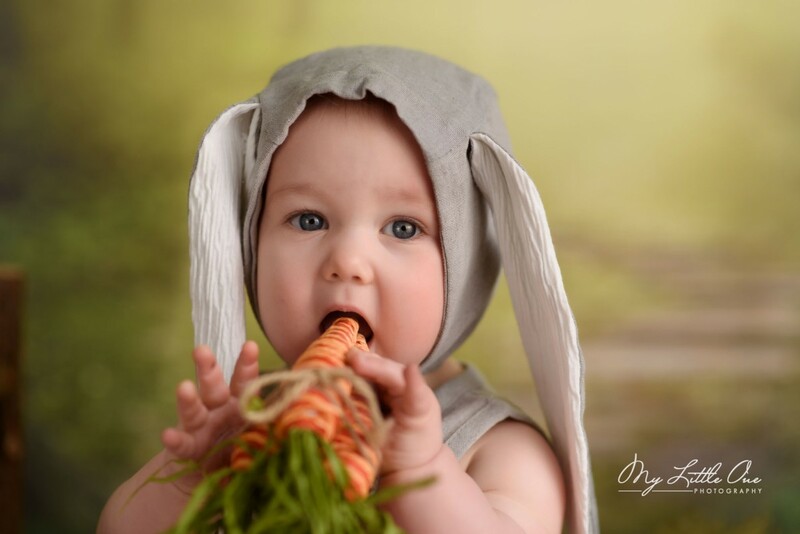 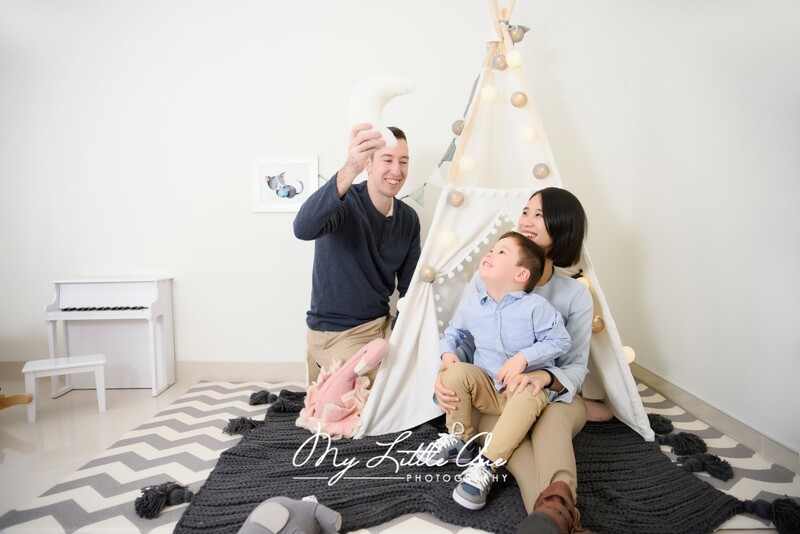 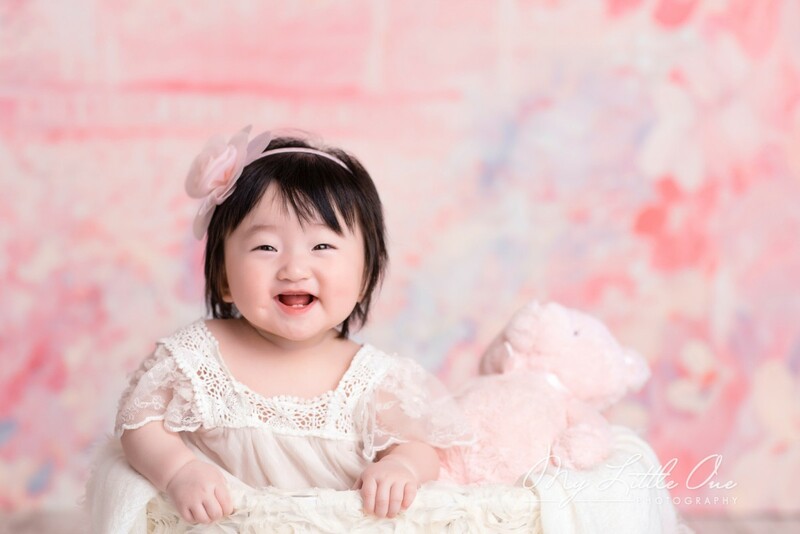 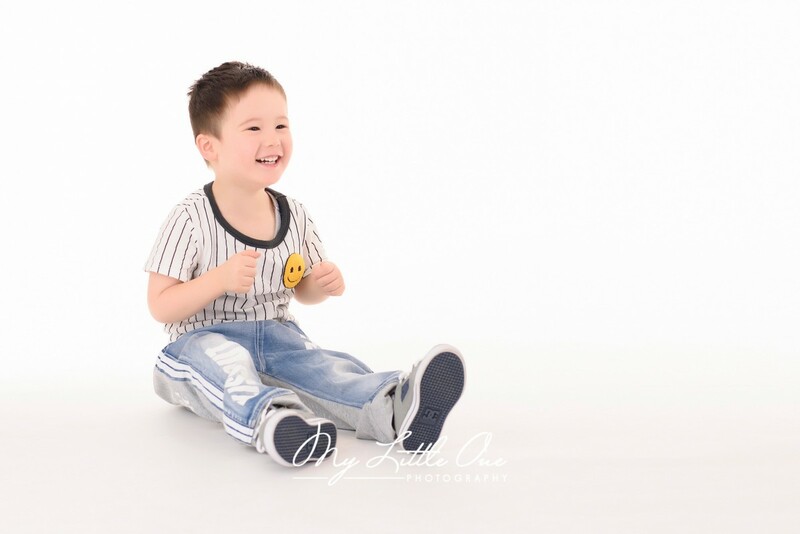 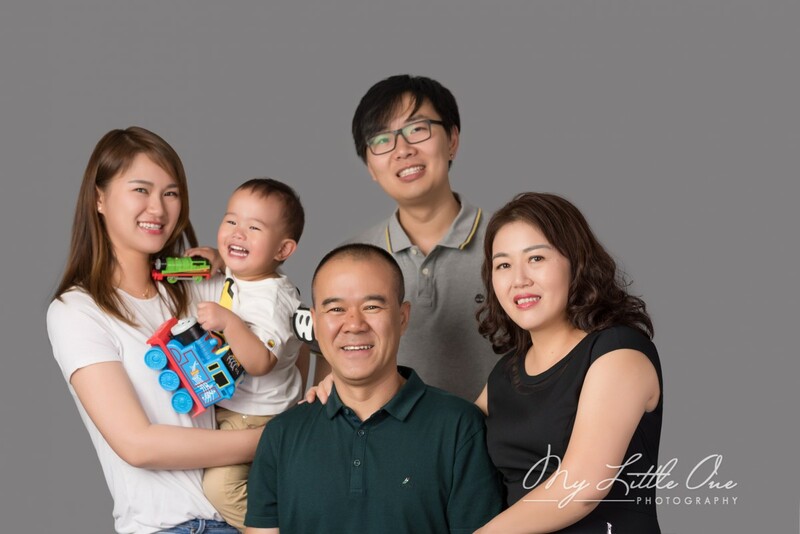 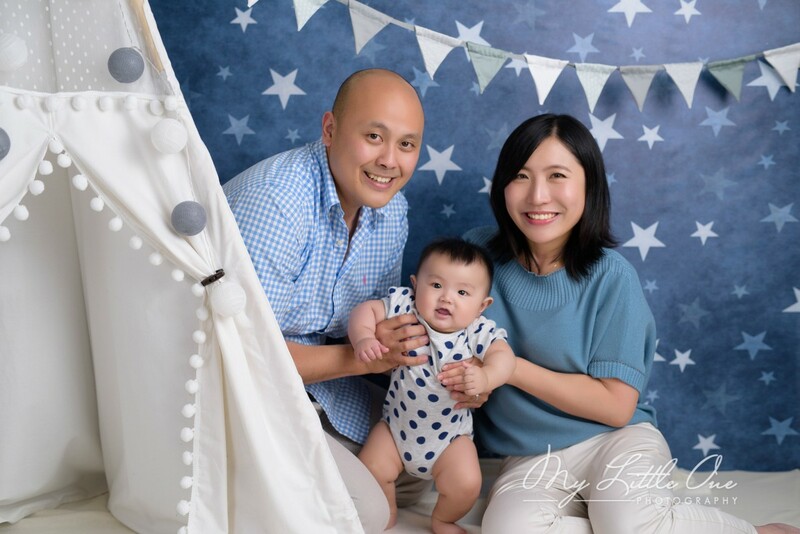 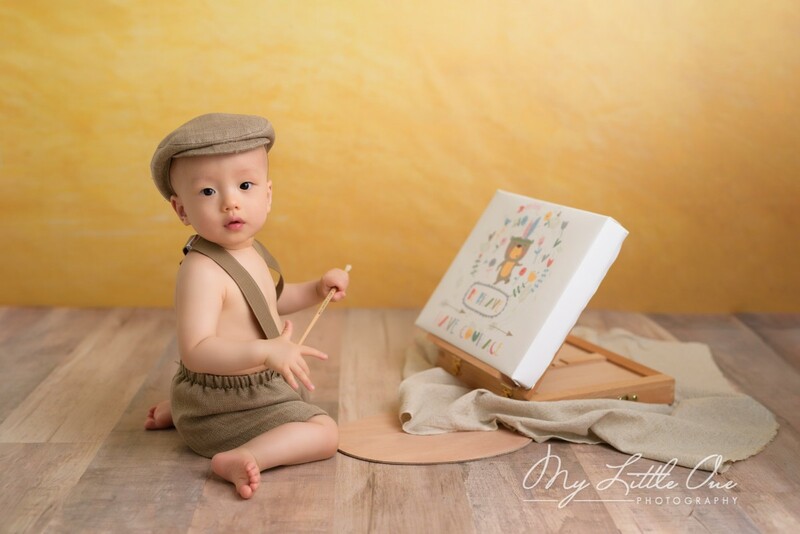 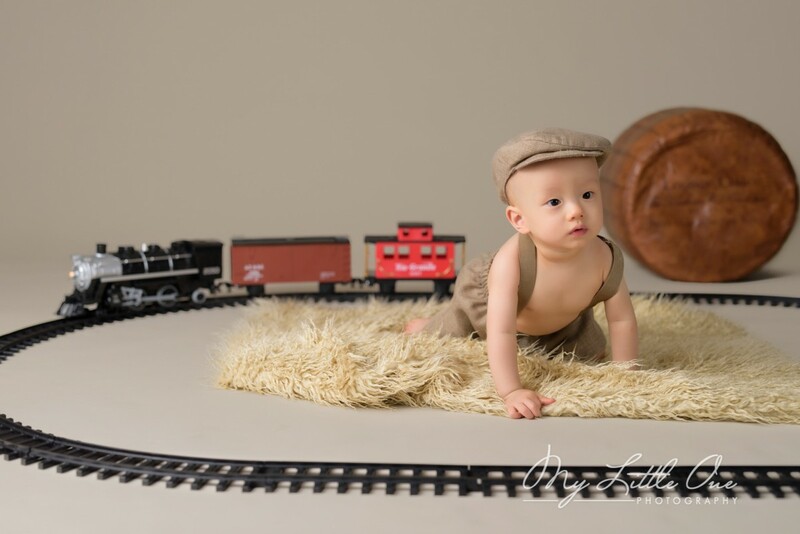 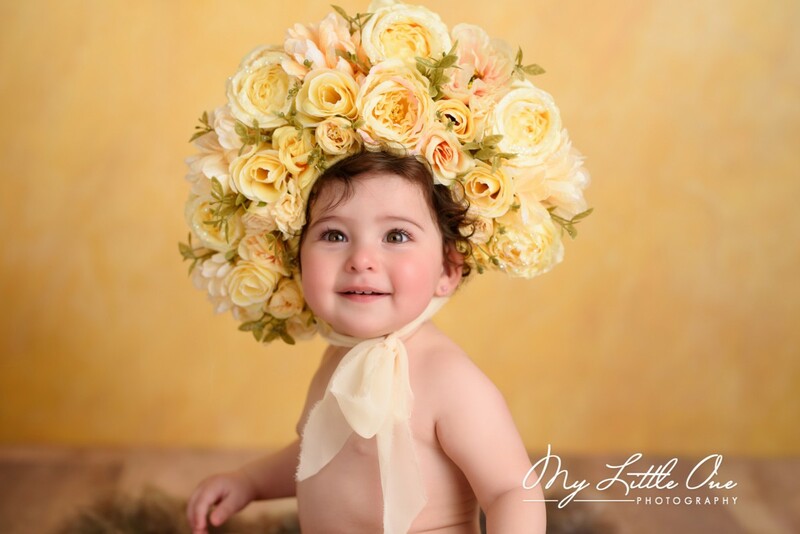 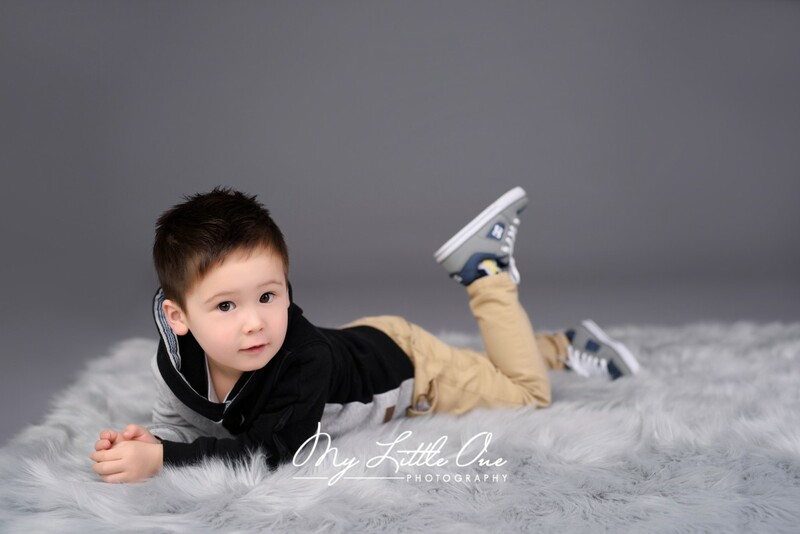 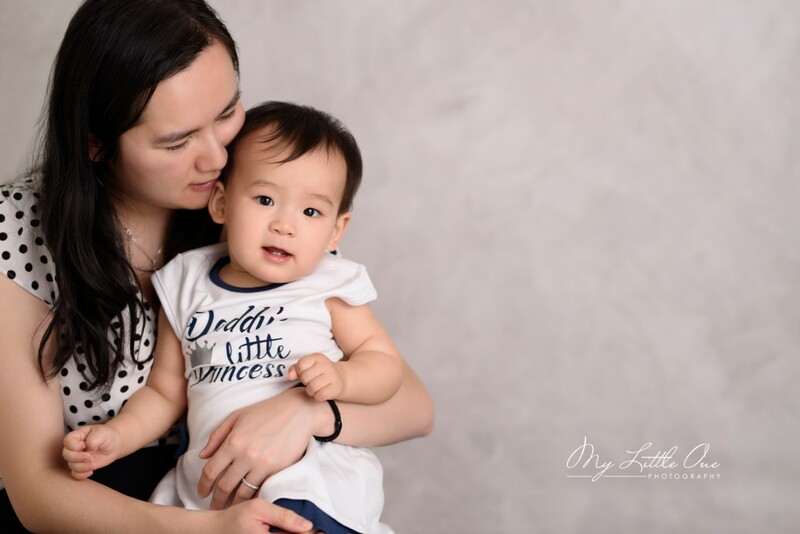 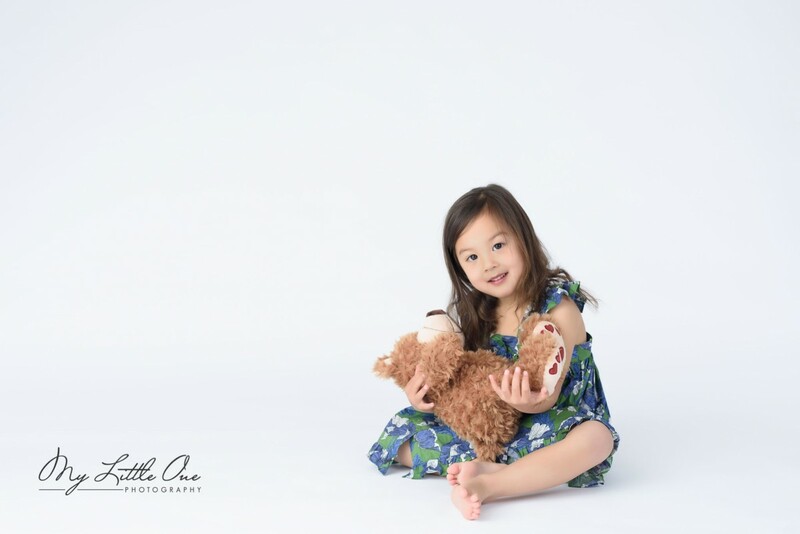 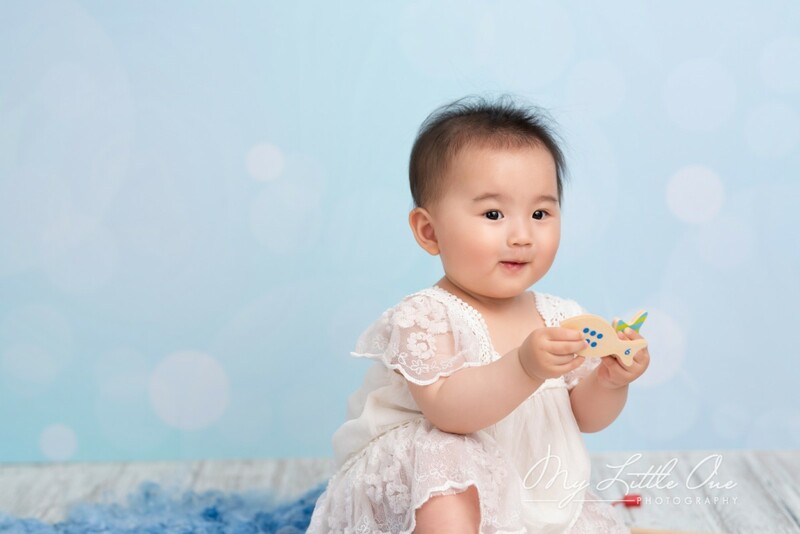 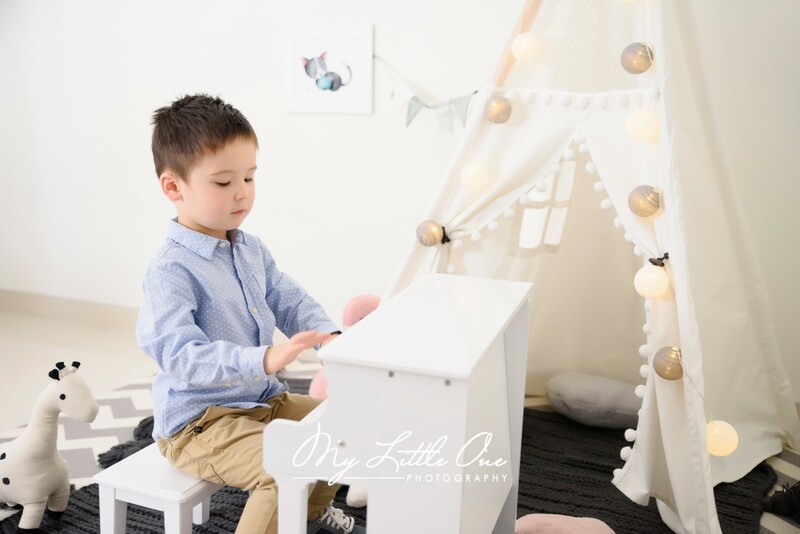 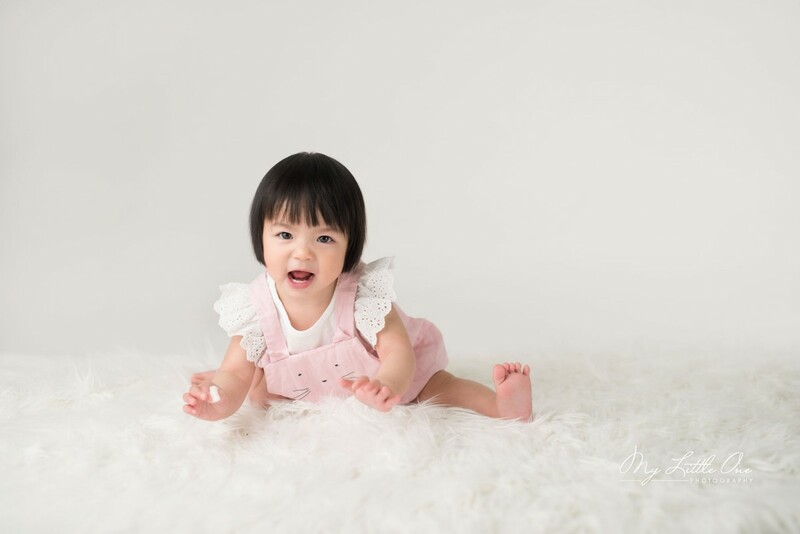 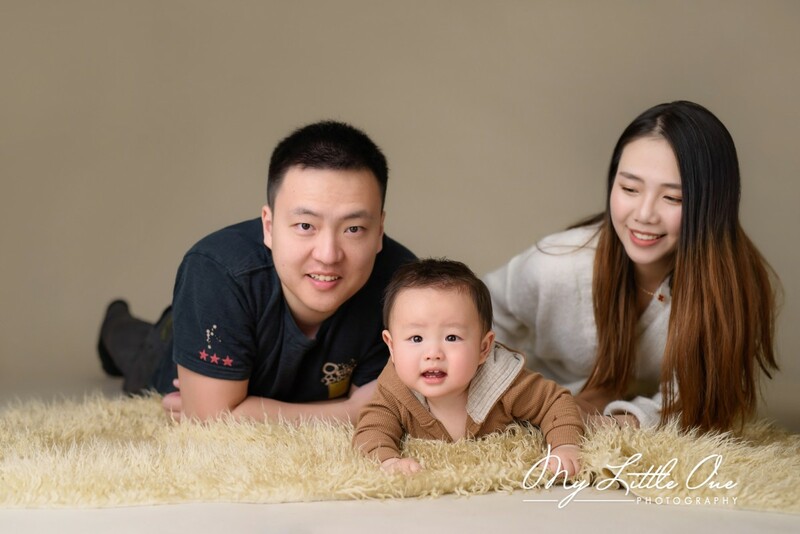 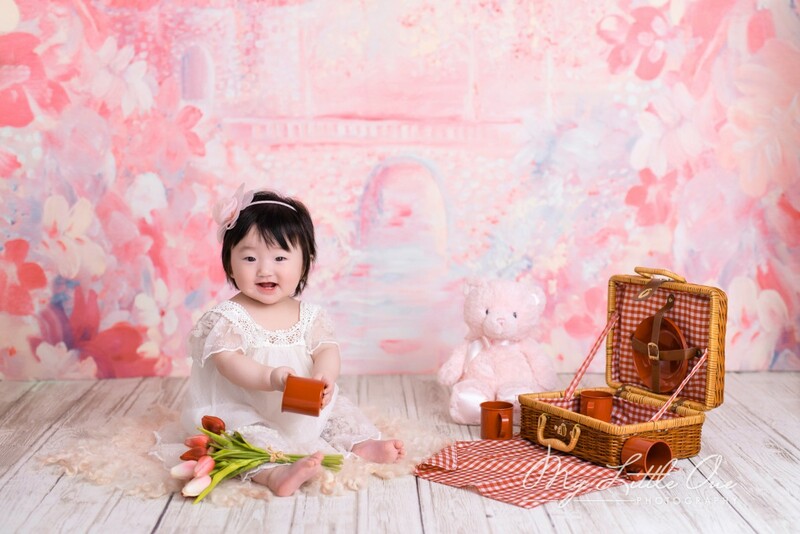 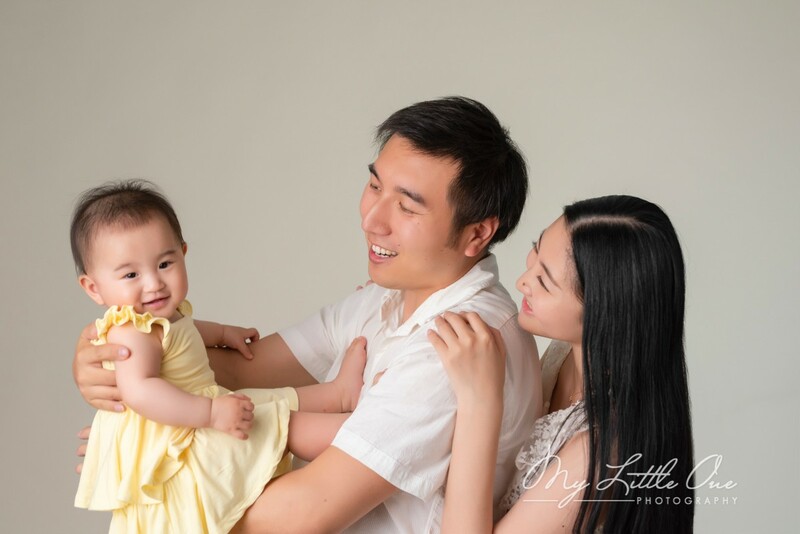 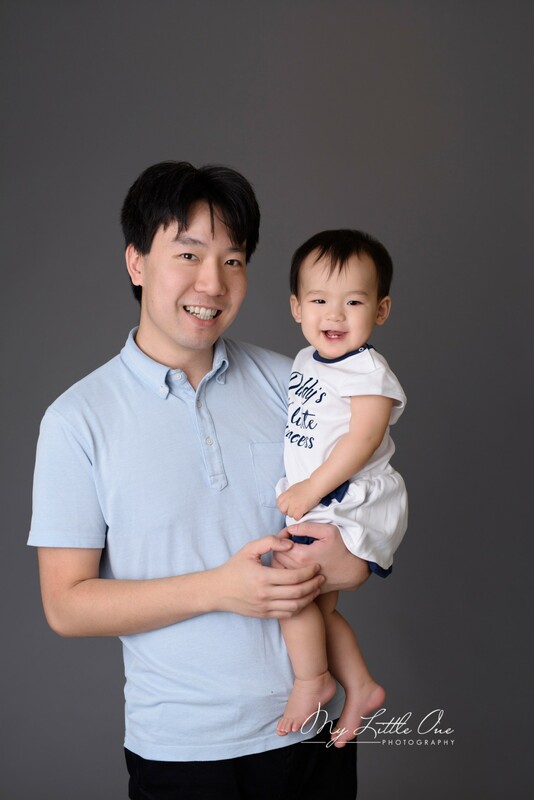 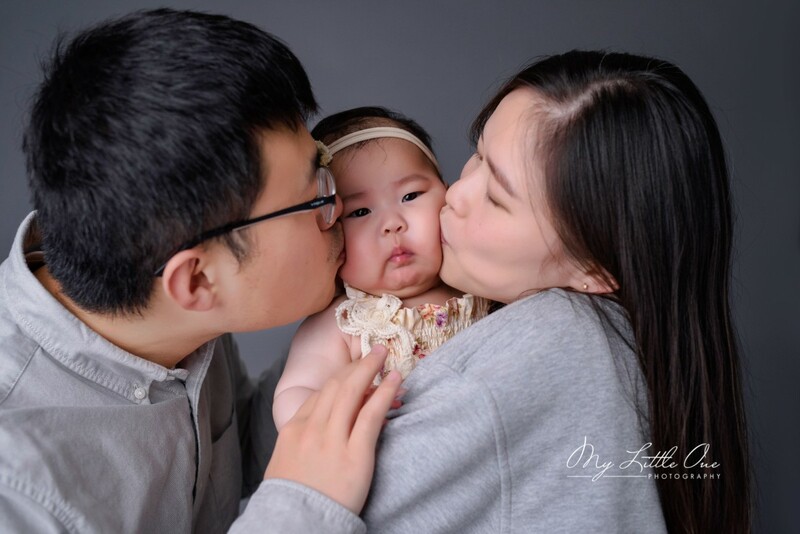 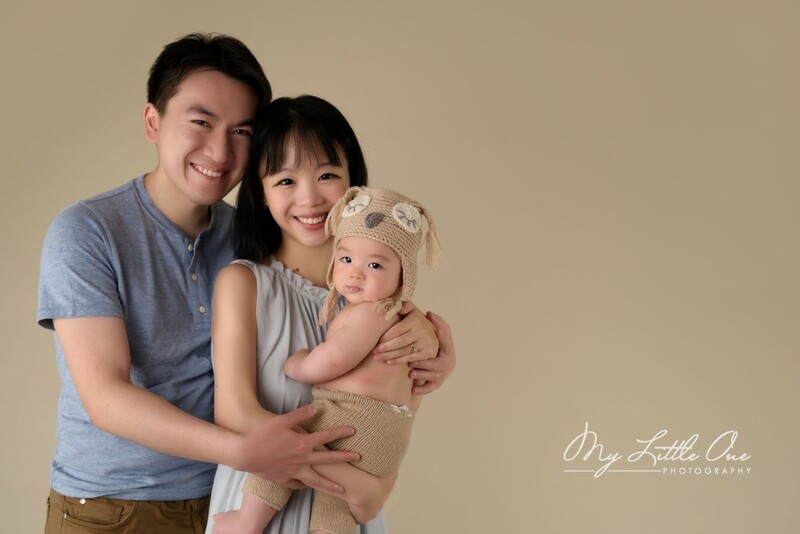 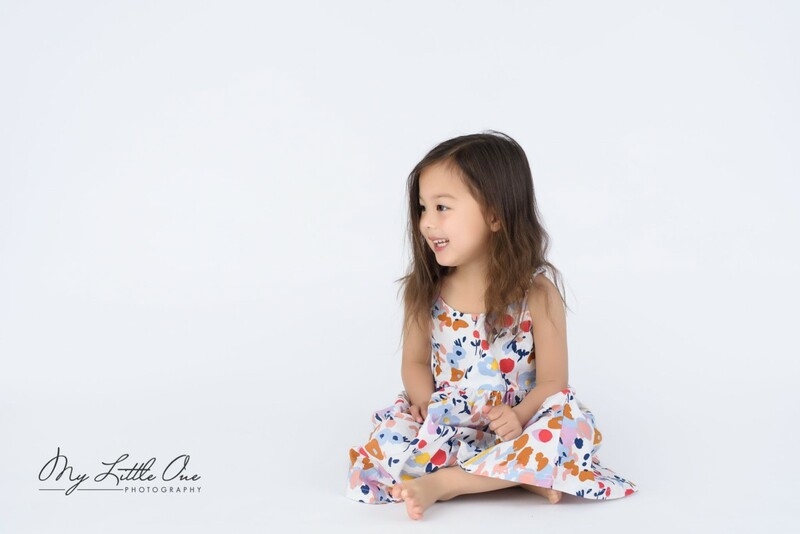 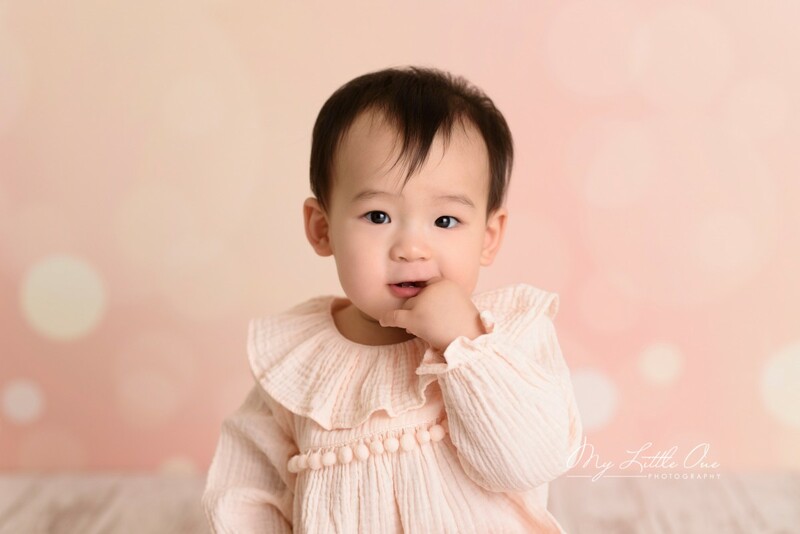 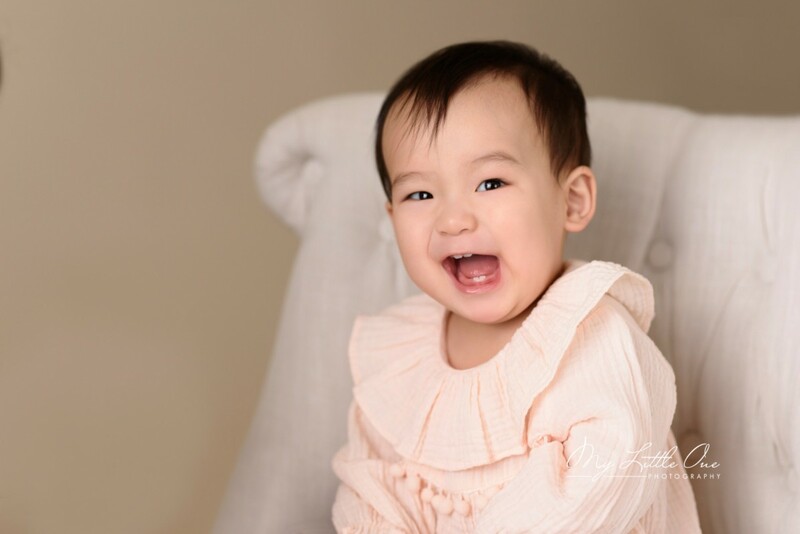 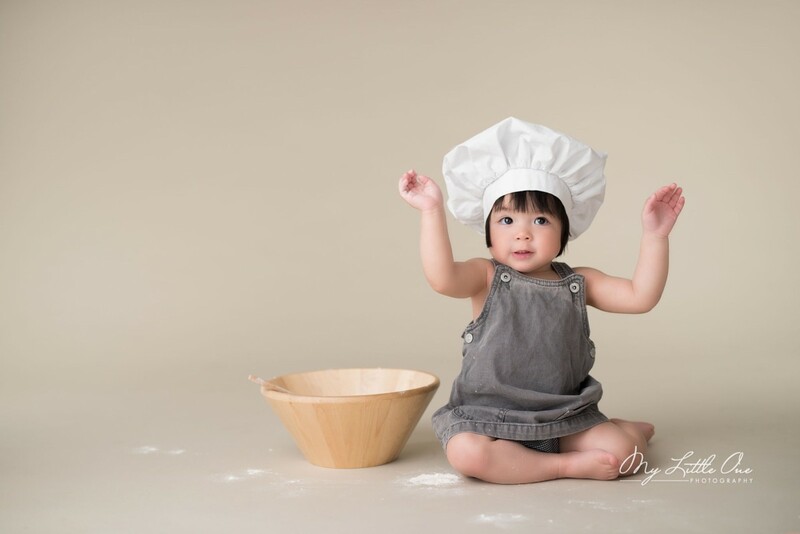 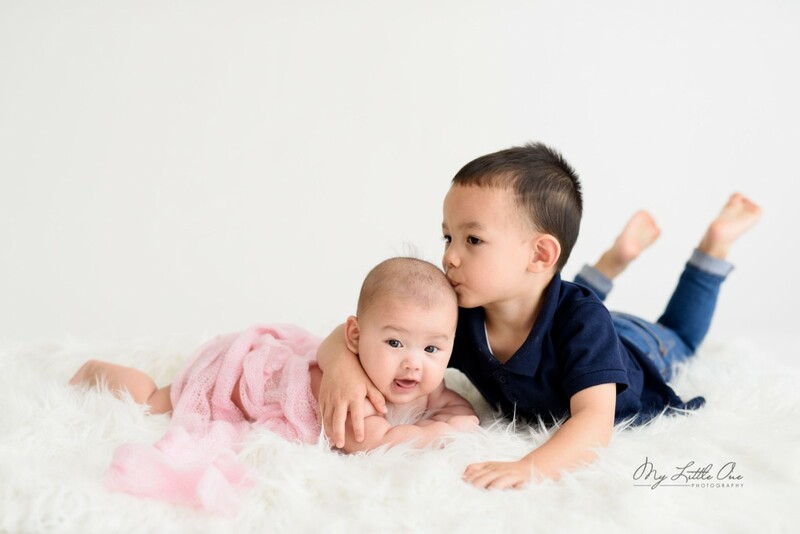 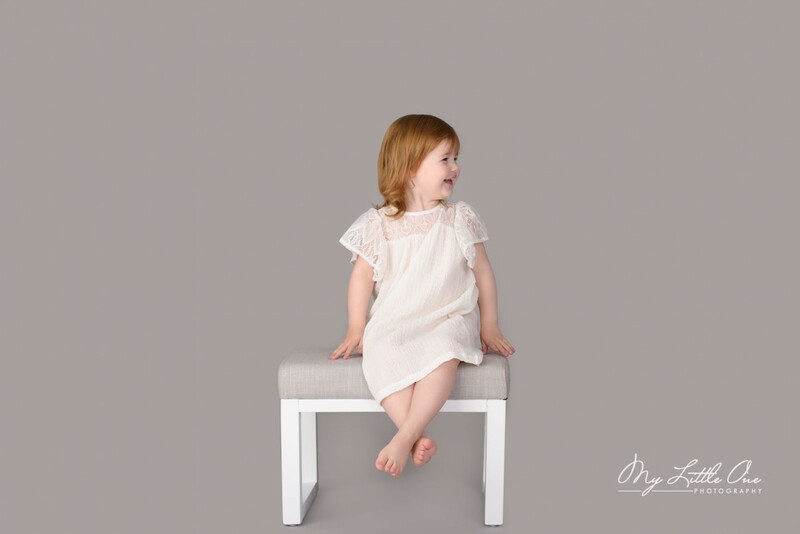 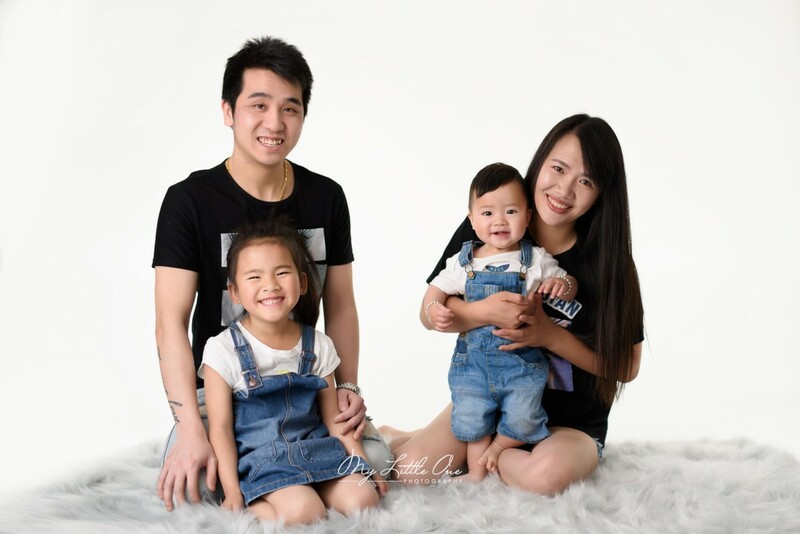 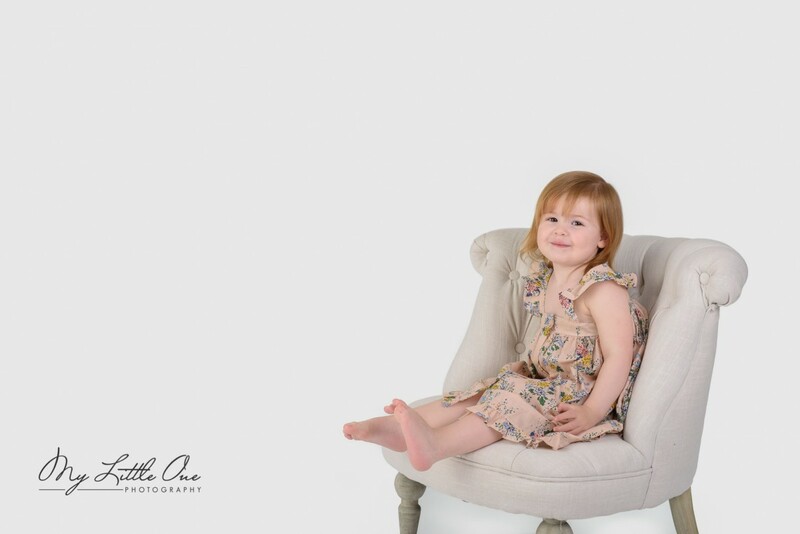 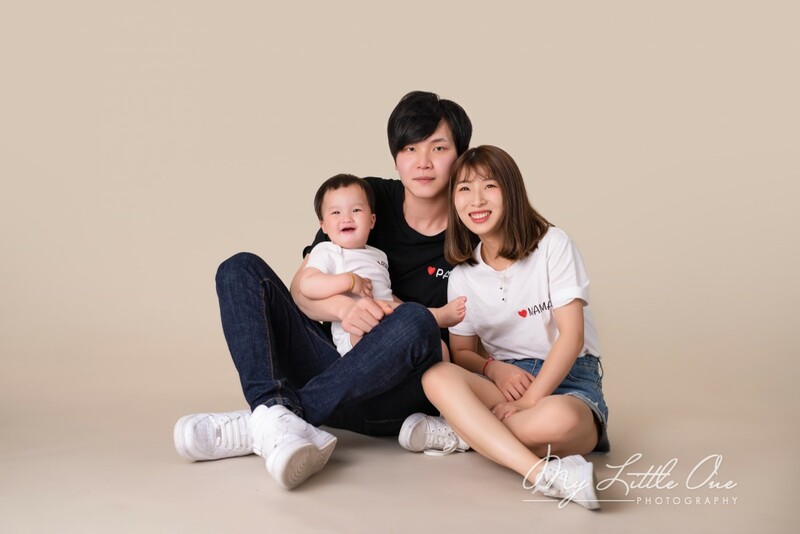 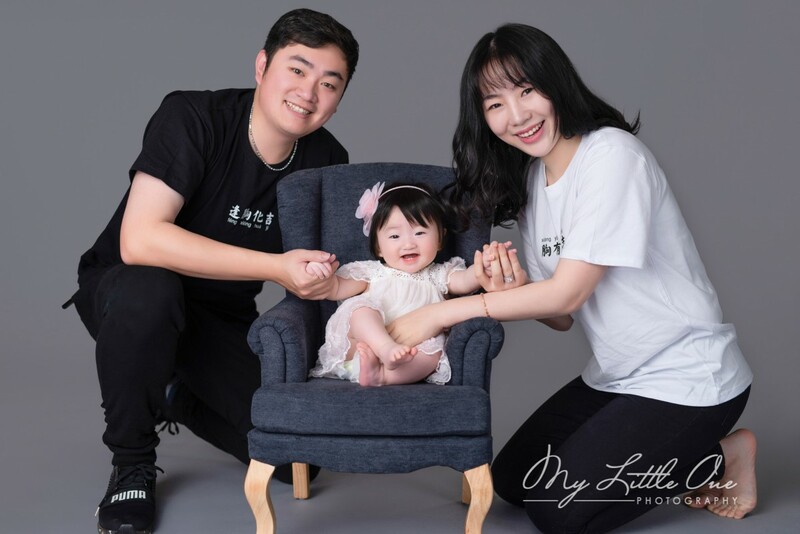 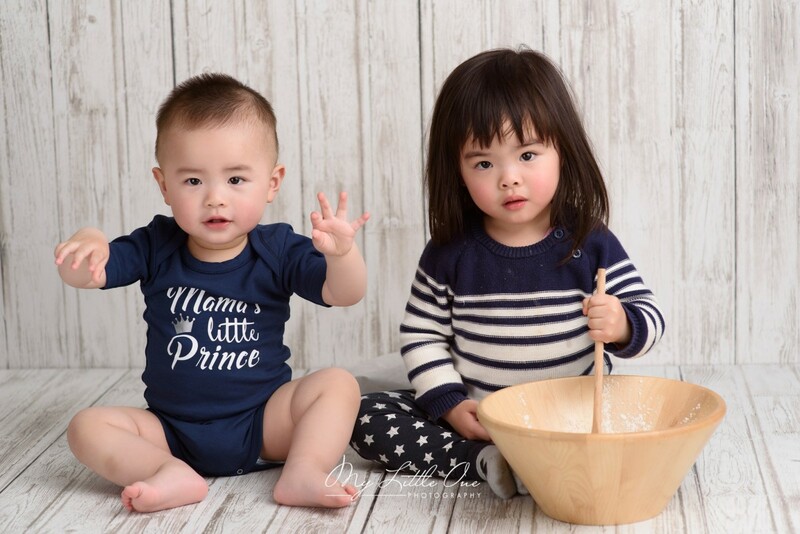 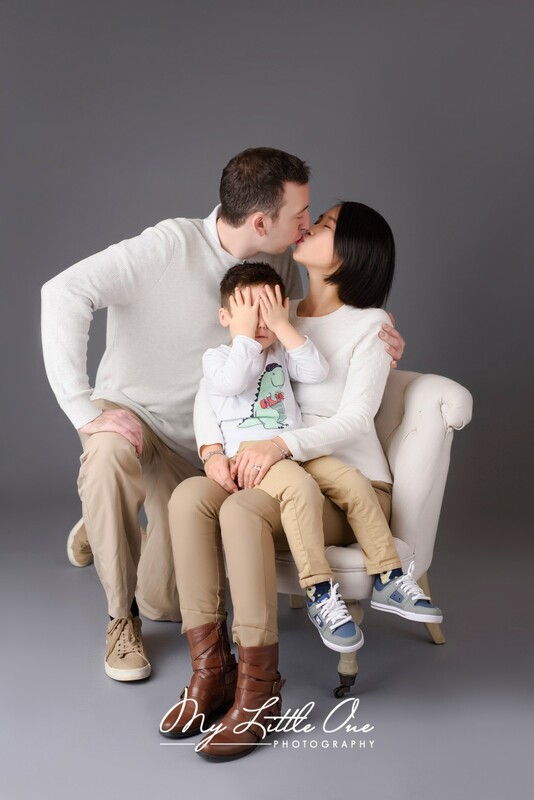 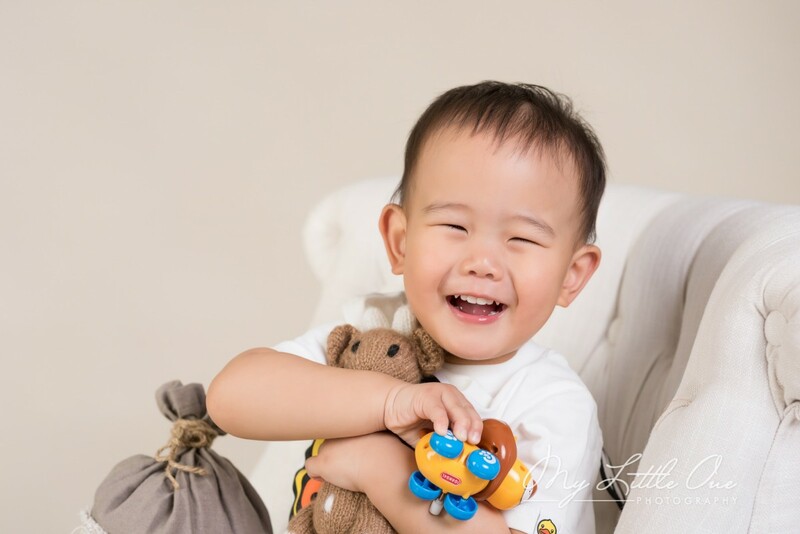 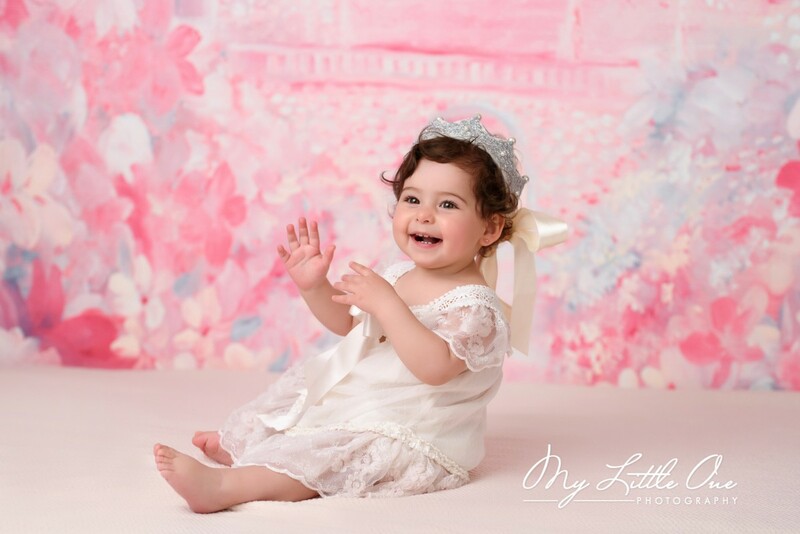 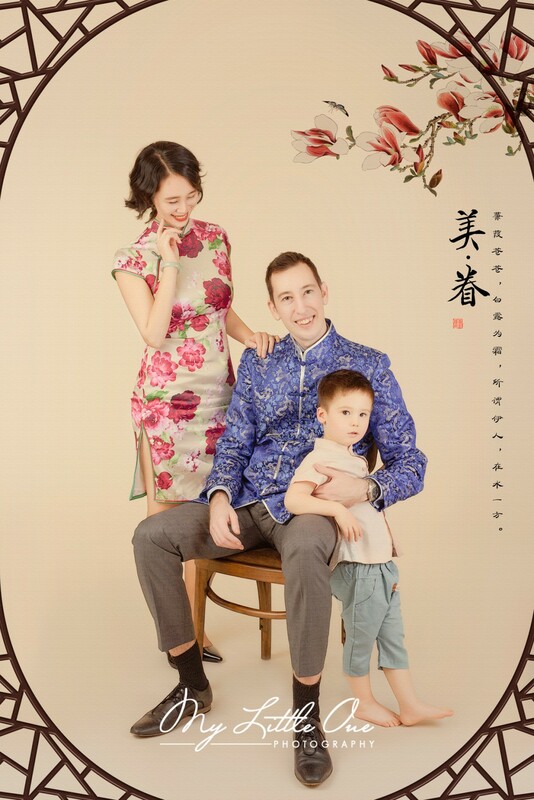 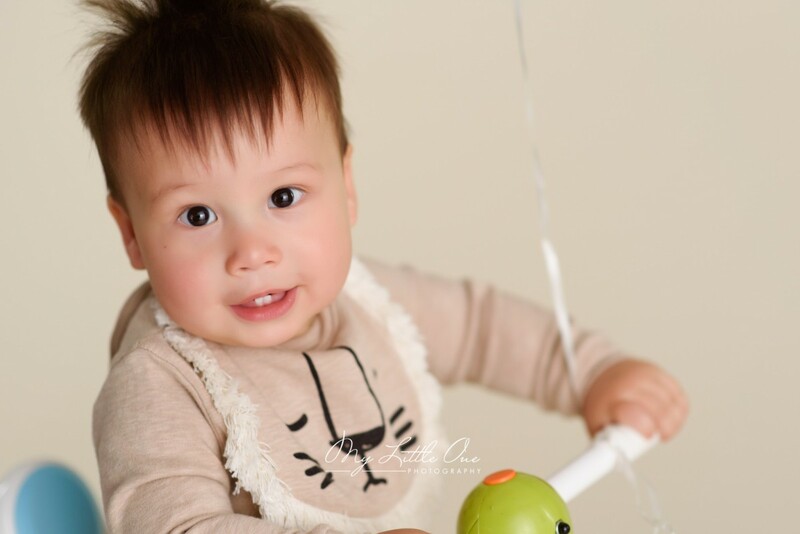 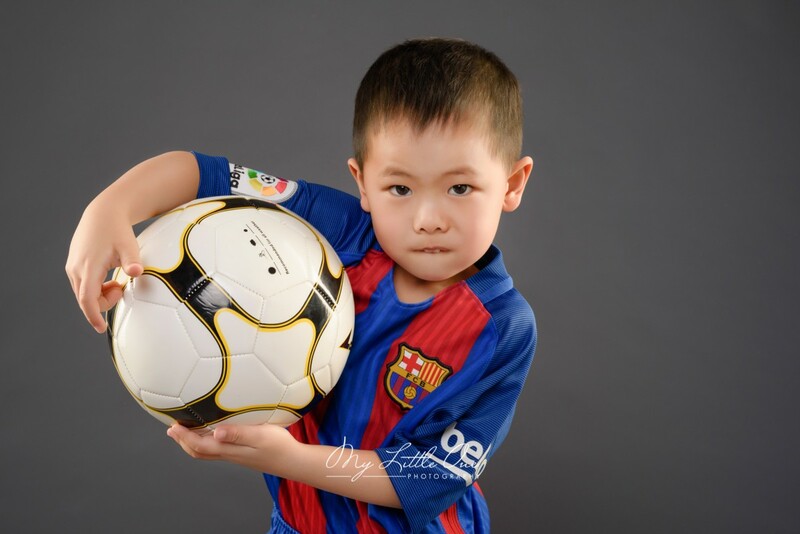 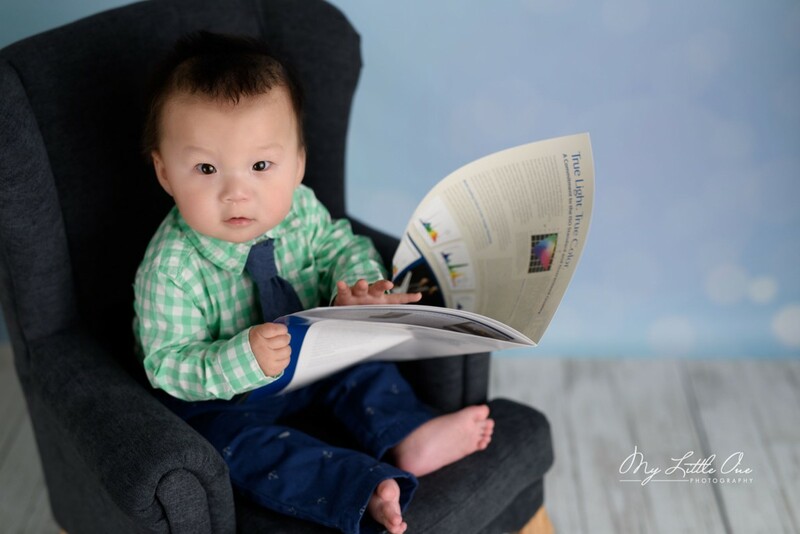 The tips for 1-year-old photo session is here. 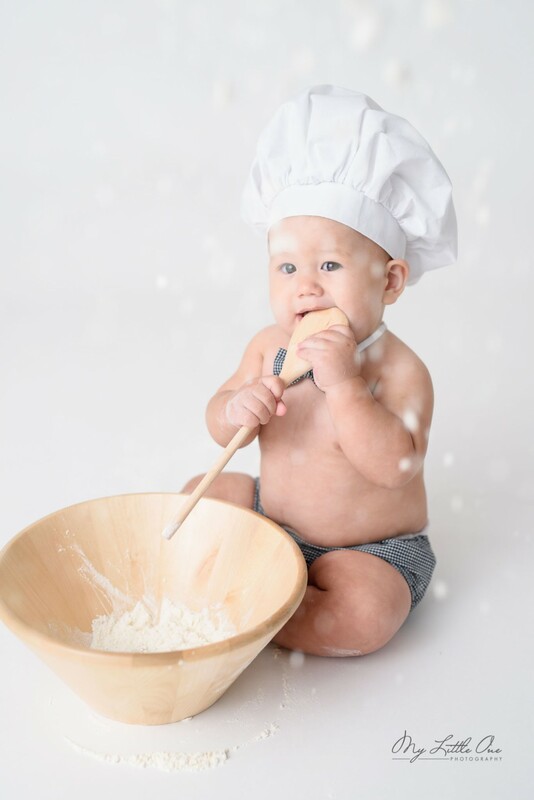 We also have self-feeding limited sessions offered for One-Year-Old babies. 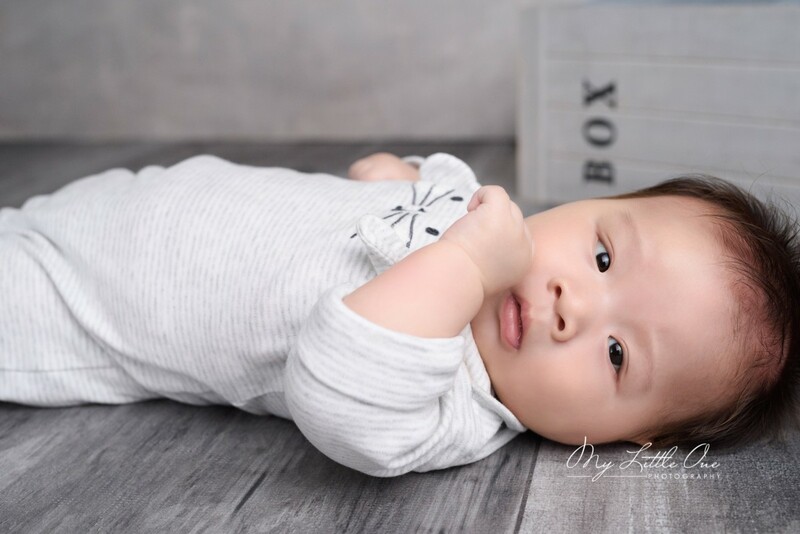 Please contact us to check the calendar and availabilities.